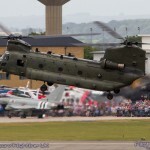 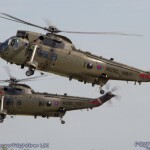 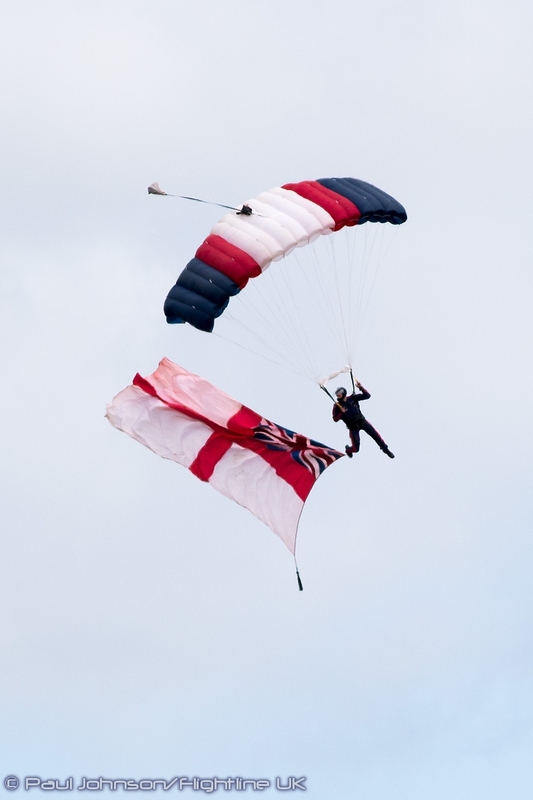 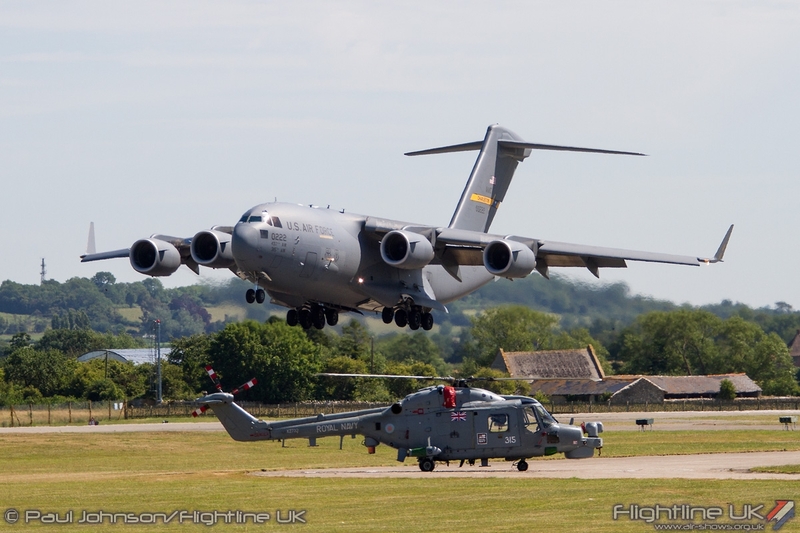 In a break from all the events commemorating the anniversaries of the Battle of Britain and VE/VJ Day, the International Air Day at RNAS Yeovilton celebrated the station’s own 75th Anniversary and was also the public event for the AgustaWestland centenary celebrations. 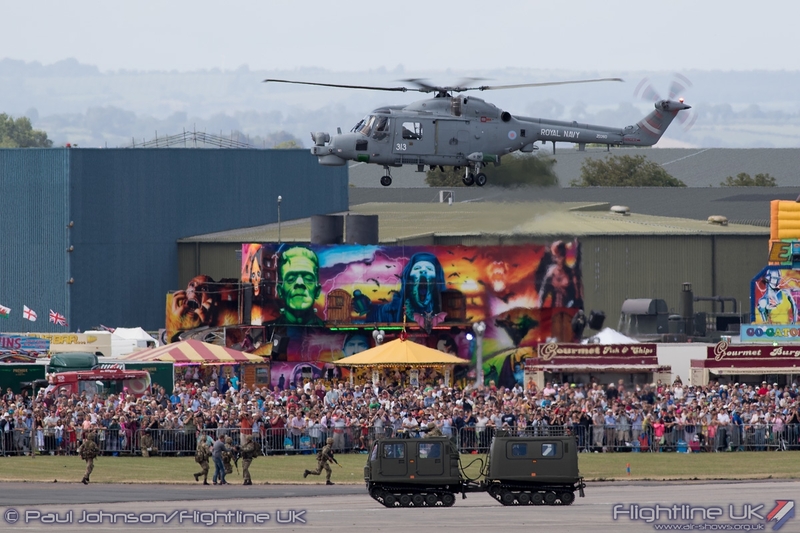 Both anniversaries attracted a diverse range of aircraft both in the air and on static display which made Air Day 2015 a very memorable event. 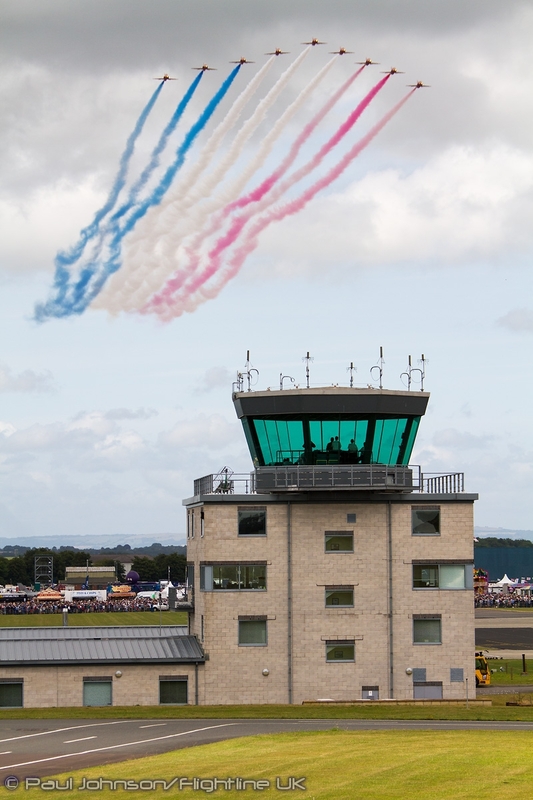 Sitting amongst the picturesque rolling hills of Somerset, the town of Yeovil has seen over 100 years of aviation history. 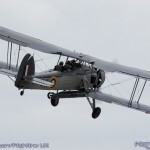 1915 saw the establishment of the Westland Aircraft Works which formed part of Petters Ltd, a company more associated with the manufacture of agricultural equipment. 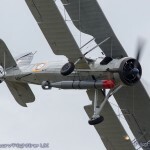 The first aircraft to be constructed at the site were licence built versions of Shorts Type 184 seaplanes which had to be transported to the water by horse and cart! 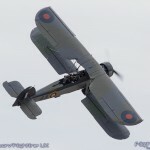 The company went on producing licence built aircraft, but in 1917 started to build their own designs starting with the Westland N1B. 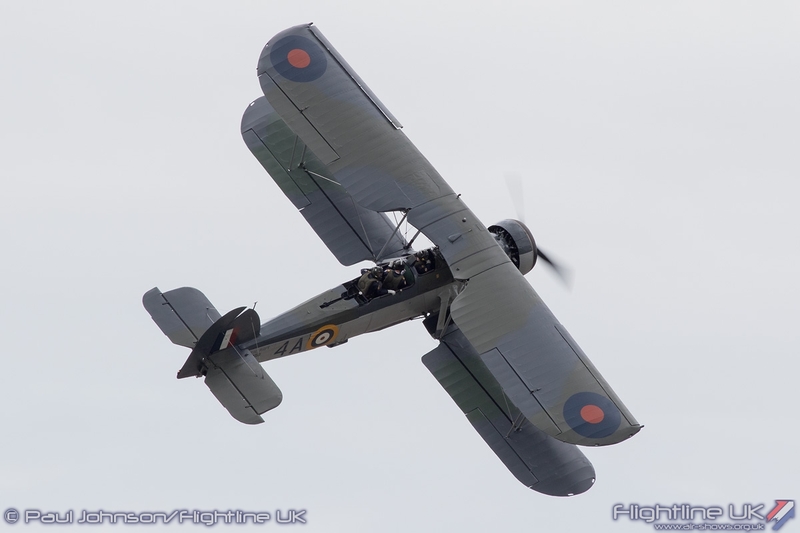 Westland Aircraft went on to design many famous military aircraft such as the Lysander and Whirlwind. 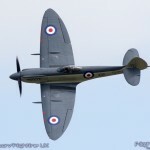 However, it was the Supermarine Spitfire that dominated their factory production during the Second World War. 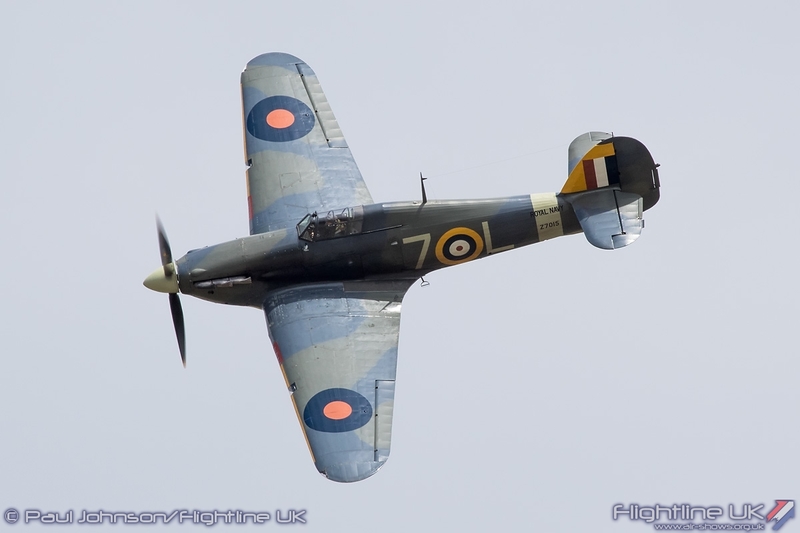 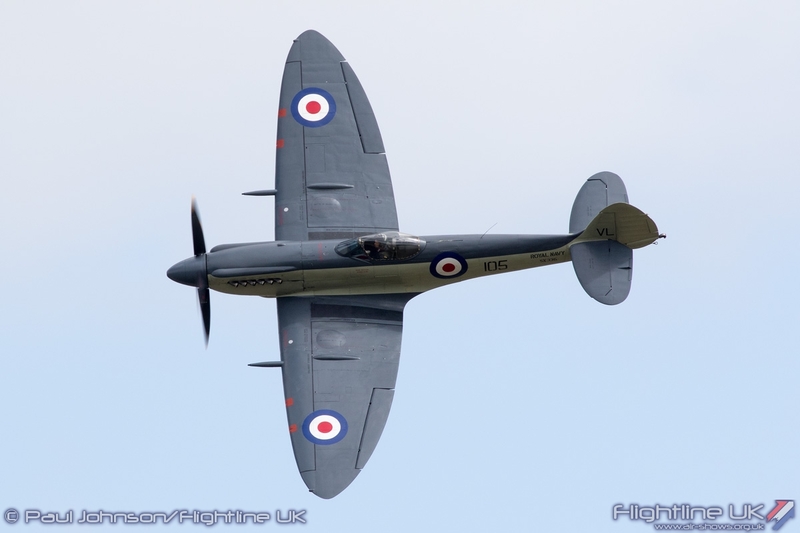 Their strong links with the Royal Navy were strengthened when they took on major design work for the navalised Spitfire, the Seafire. 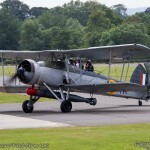 The Second World War also saw the establishment of HMS Heron or RNAS Yeovilton near to Westland’s own airfield in Yeovil. 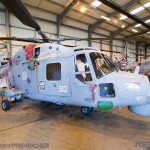 The construction of Yeovilton saw the ties between the Royal Navy and Westlands become increasingly entwined with the company setting up a repair facility at the base. 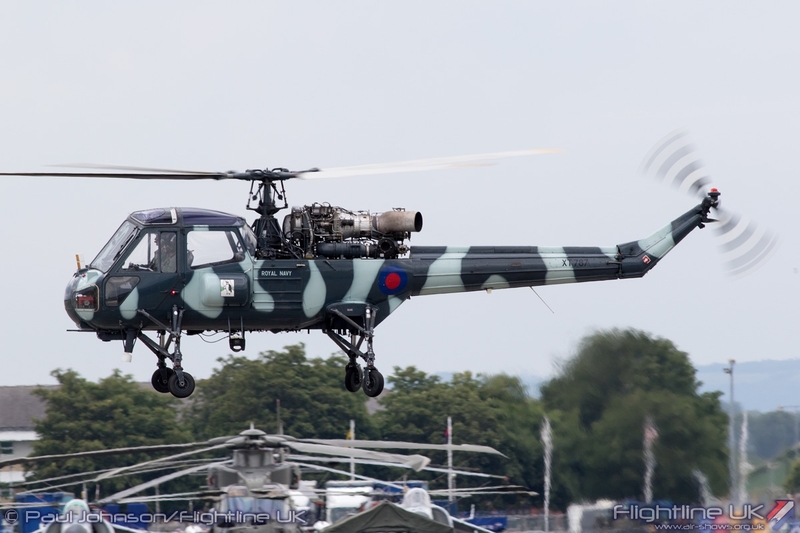 Post war, Westland moved into the design of helicopters, particularly for naval roles which has meant their aircraft have been ever-present at Yeovilton. 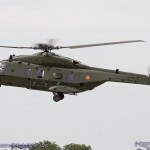 Now called AgustaWestland following a successful and fruitful merger with the Italian aerospace company, the company continues to produce world-beating design. 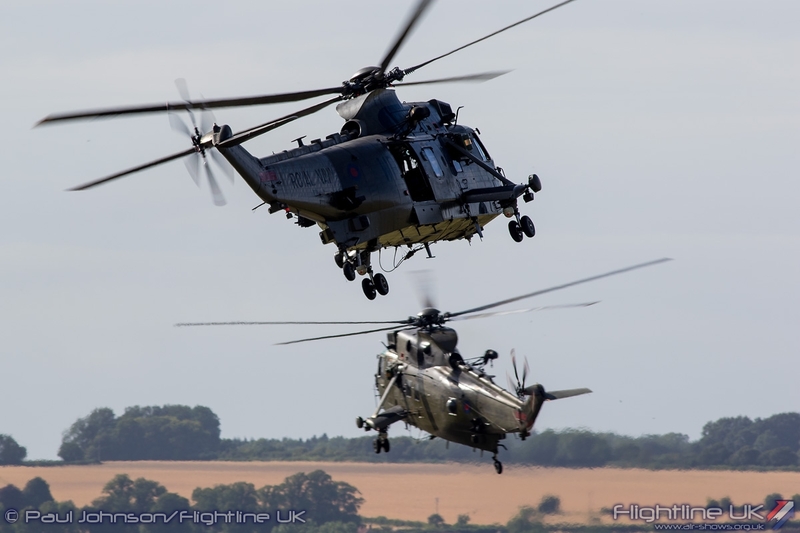 While a private event was held on Sunday 12th July, RNAS Yeovilton International Air Day played host to the public celebrations. 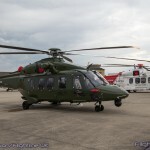 The centrepiece of “AW100” was a collection of historic and modern Westland products in the static park. 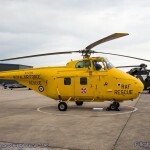 This included some of Westland’s best known products. 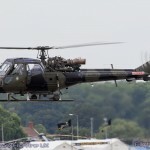 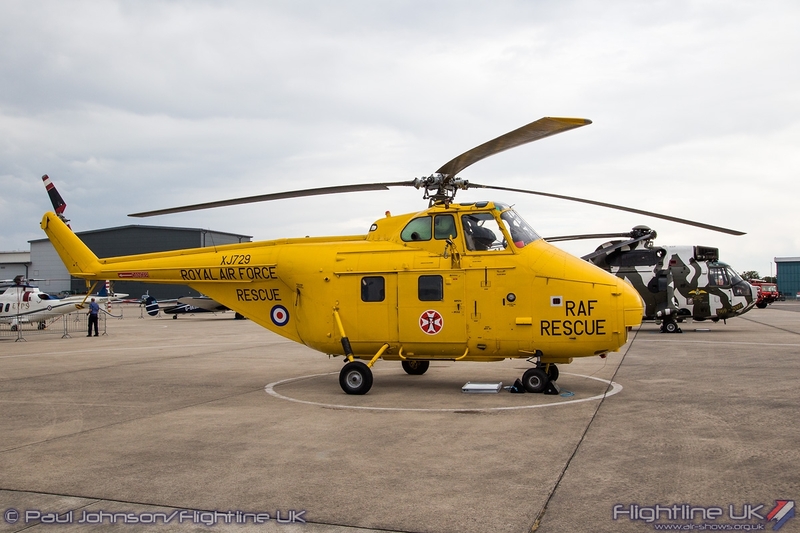 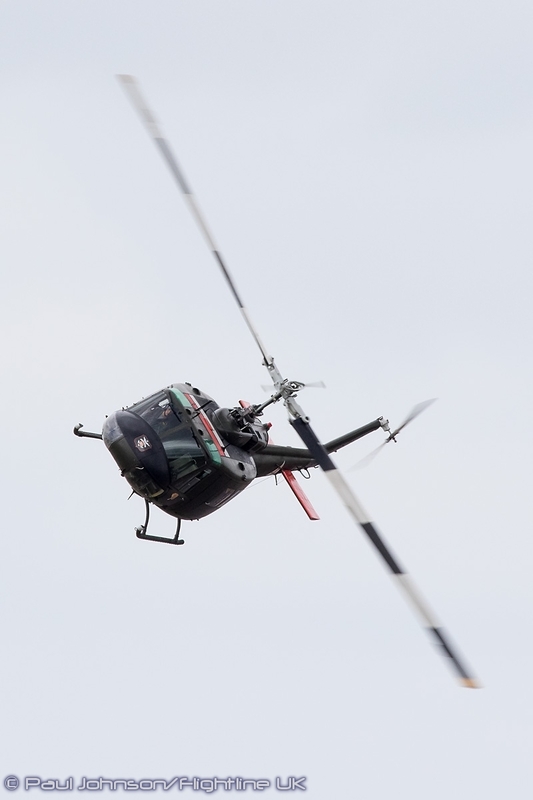 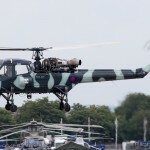 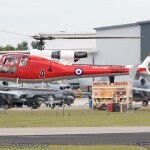 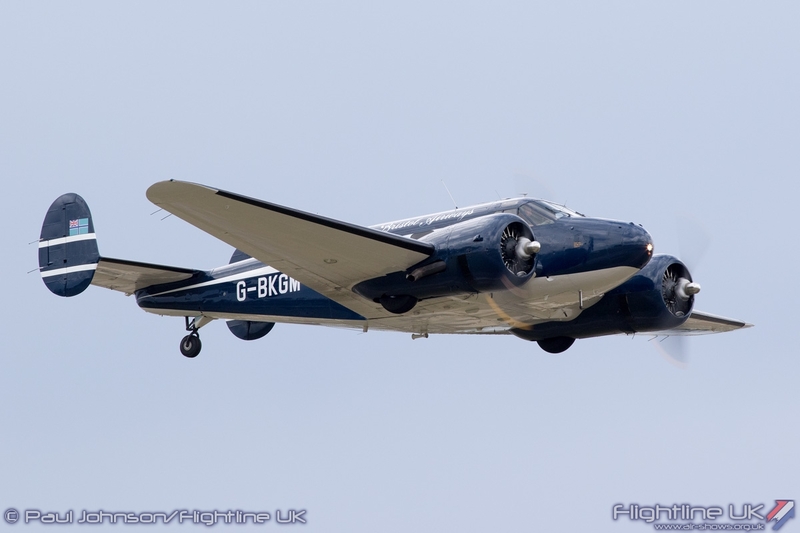 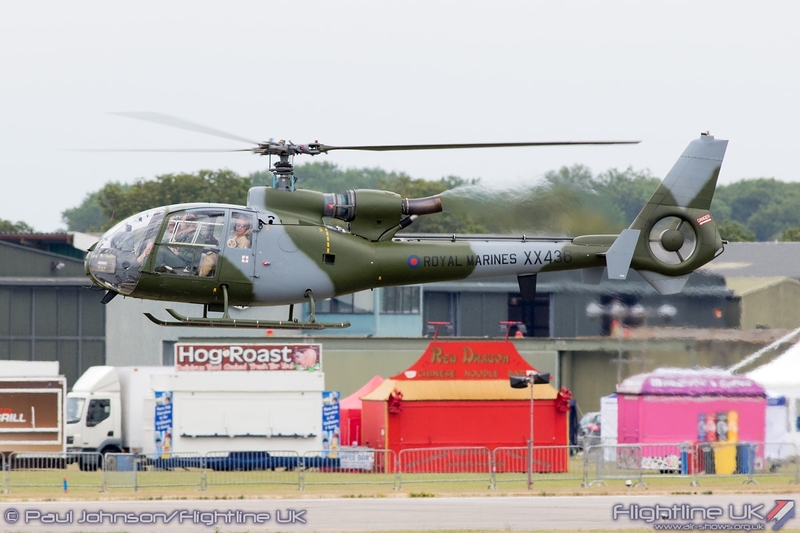 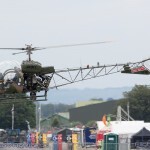 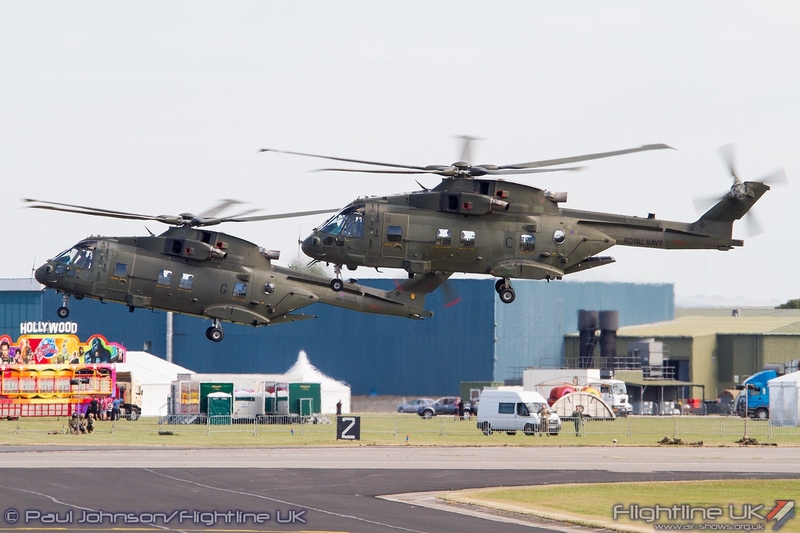 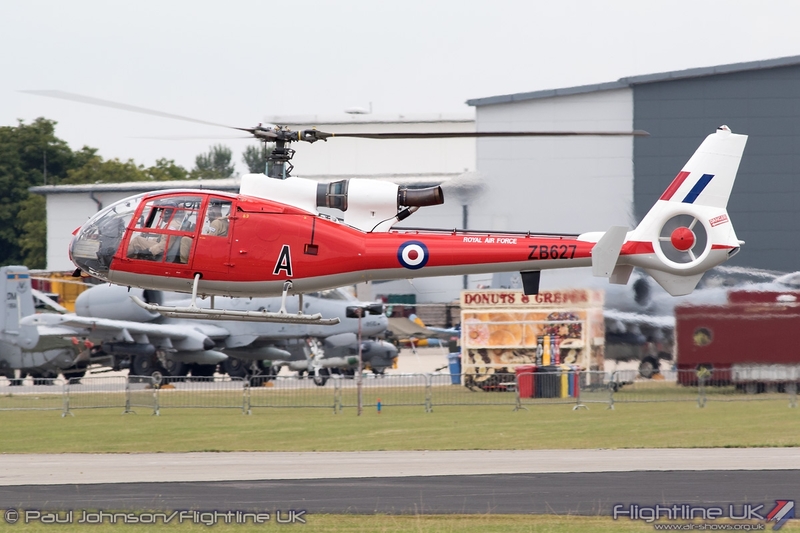 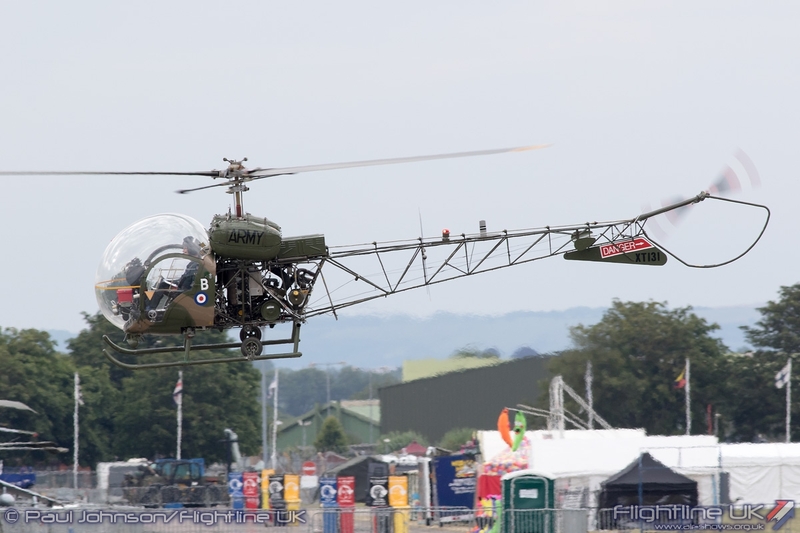 The Army Historic Aircraft Flight contributed it Westland Sioux AH1 and Westland Scout AH1 which have just returned to airworthiness following transfer to the civilian register. 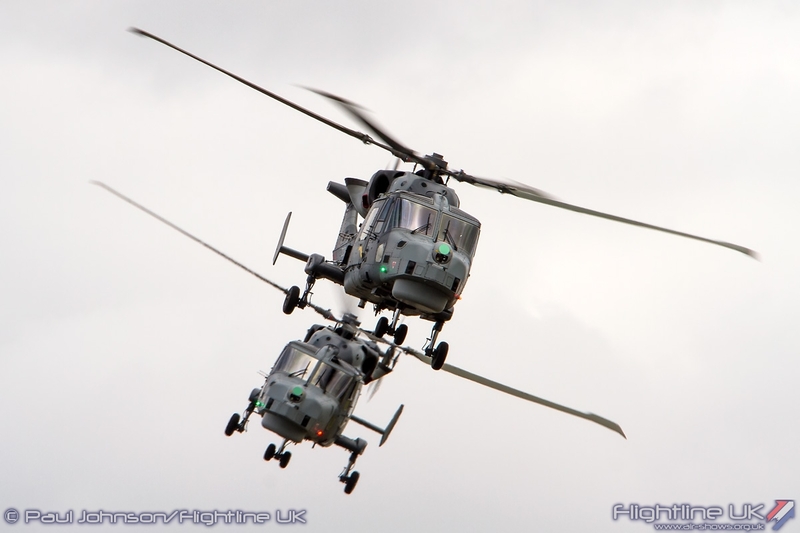 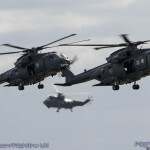 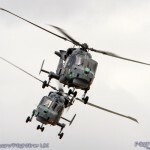 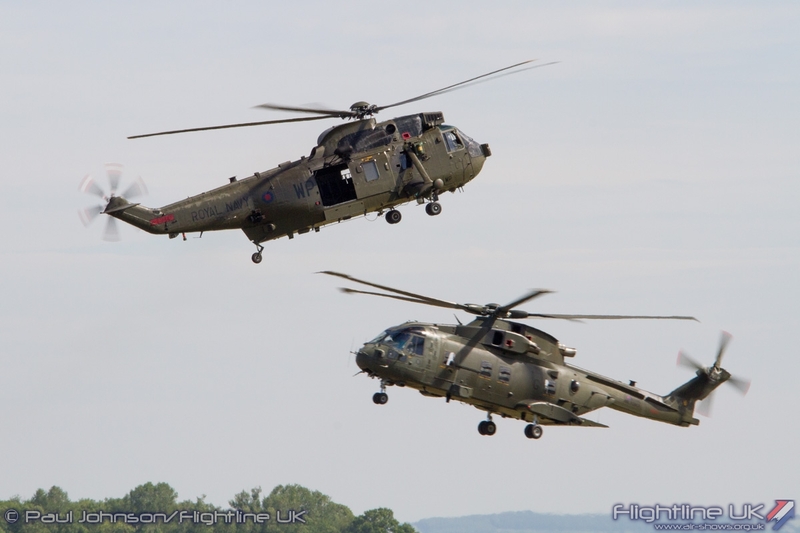 The Gazelle Squadron also sent a pair of their Gazelle HT2 and AH1 helicopters while the wonderful Whirlwind HAR10 also returned to Yeovilton. 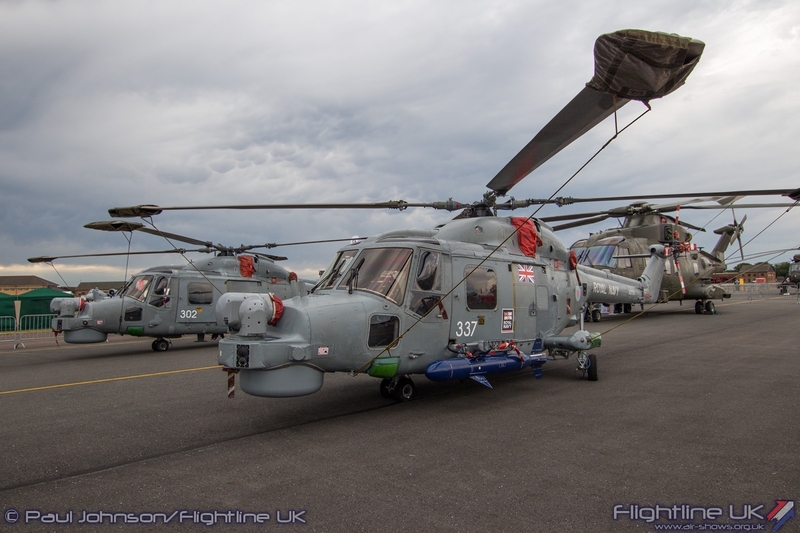 Westland’s current range of aircraft is well represented by the RNAS Yeovilton’s squadrons which had multiple examples of their aircraft on show. 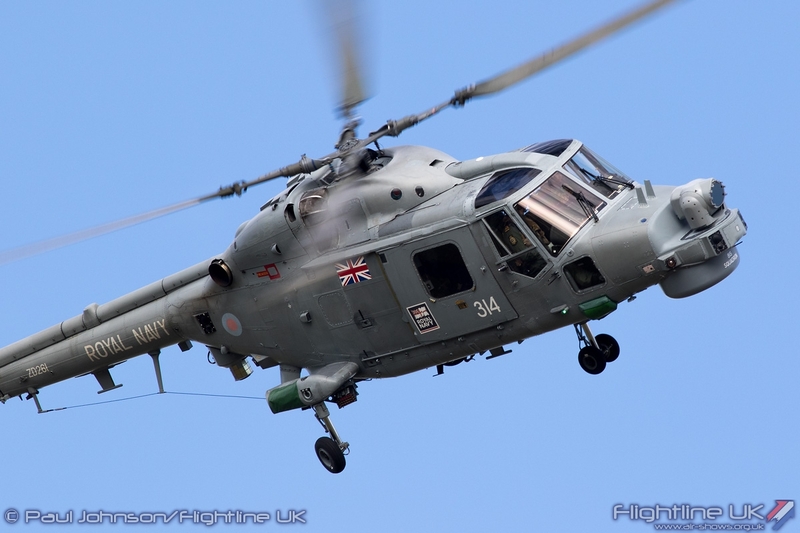 815 NAS is last unit flying the Westland Lynx HMA8 and will soon transition onto the Wildcat HM2 which is already in service with 825 NAS. 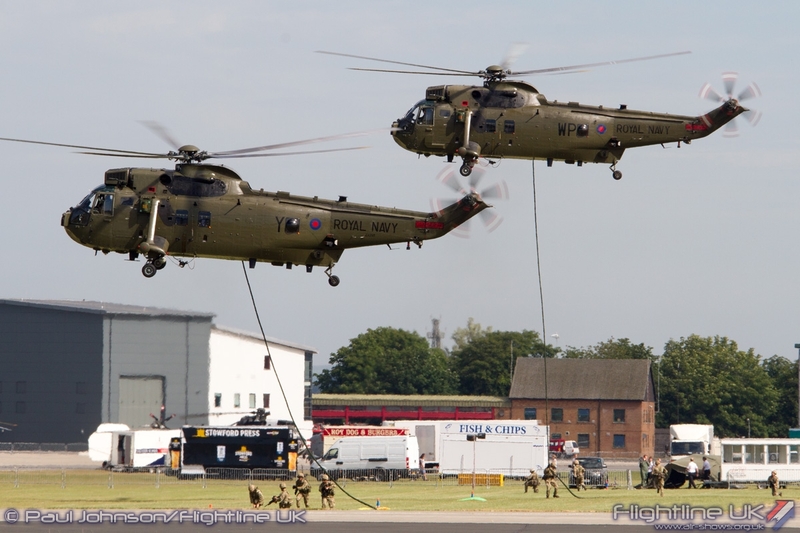 The Commando Helicopter Force is also in transition. 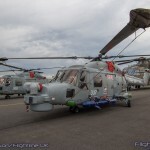 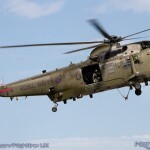 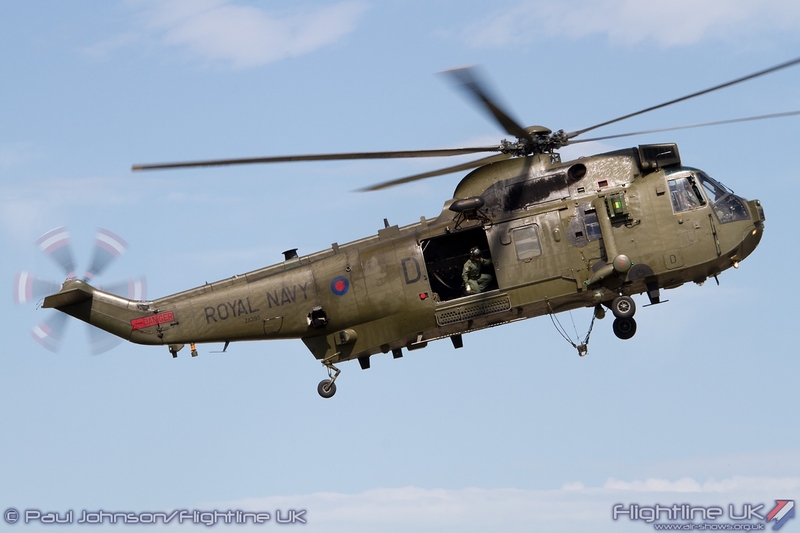 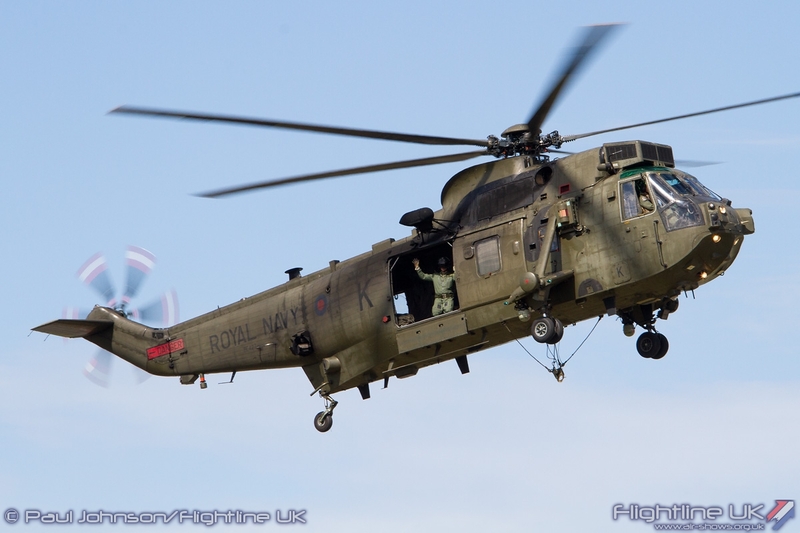 848 NAS is the last unit flying their venerable Westland Sea King HC4 and the 2015 Air Day was the final chance to see these old war-horses while they remain in service. 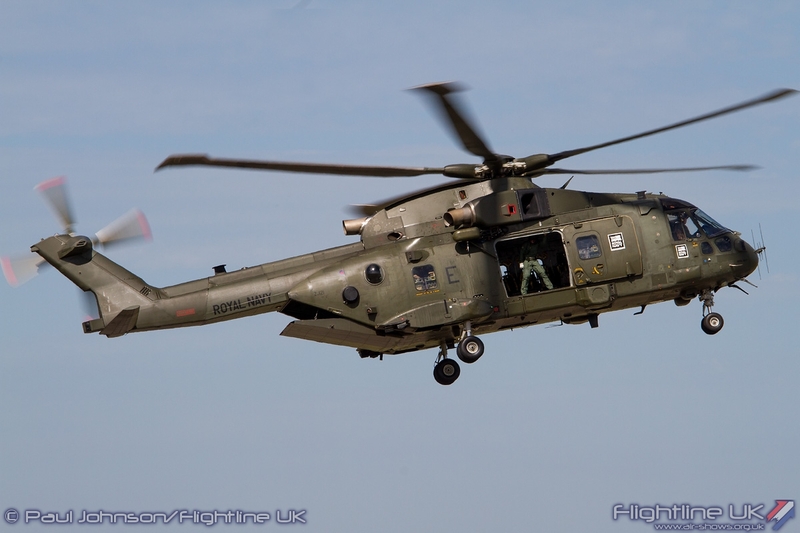 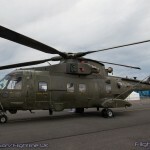 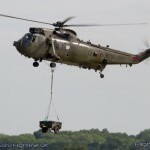 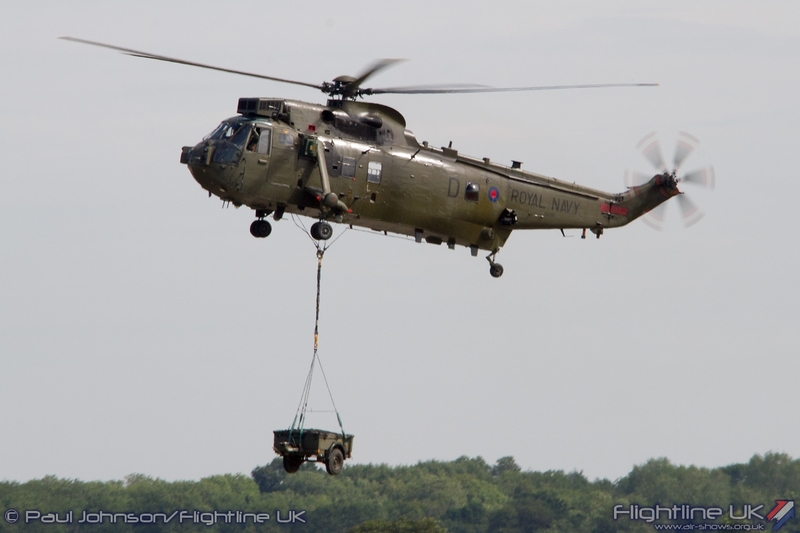 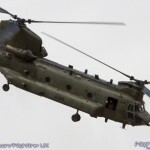 The CHF is currently transitioning to the AgustaWestland Merlin HC3 being transferred from the Royal Air Force. 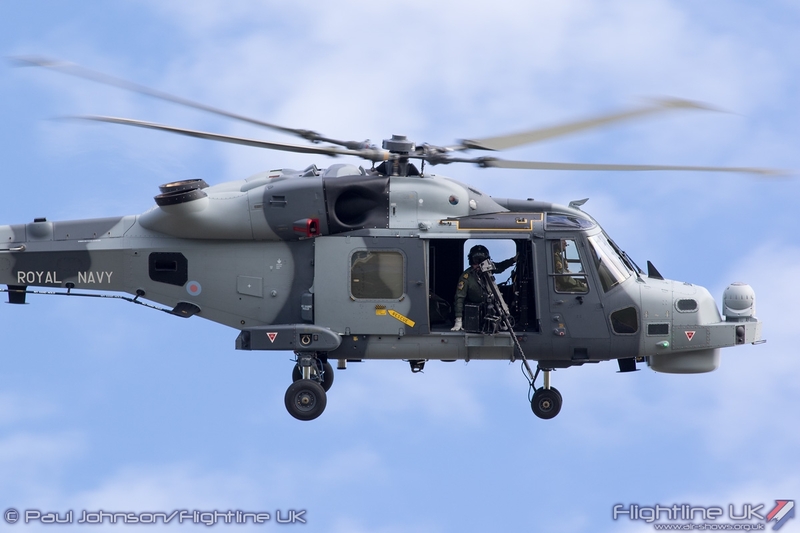 846 NAS has already started operations from Yeovilton on the type and the remaining CHF squadron will follow on in the near future. 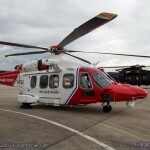 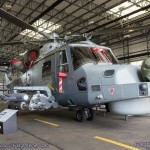 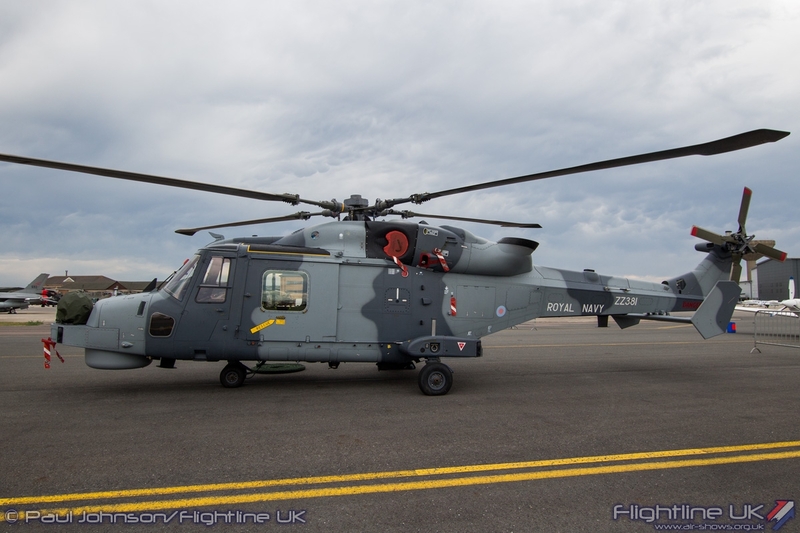 Yeoviton’s sister station, RNAS Culdrose also operates Westland helicopters and had examples of Merlin HM2 and Sea King ASaC7 in the static line-up and in the hangars. 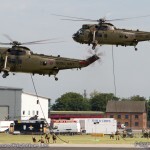 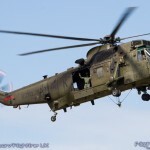 No 1 Regiment, Army Air Corps is a relatively new addition to the based units at RNAS Yeovilton. 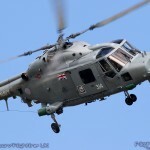 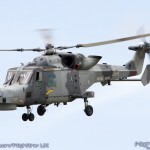 The regiment has recently returned from Germany and is replacing its ageing Lynx helicopters with the Wildcat AH1 which will also equip 847 NAS of CHF. 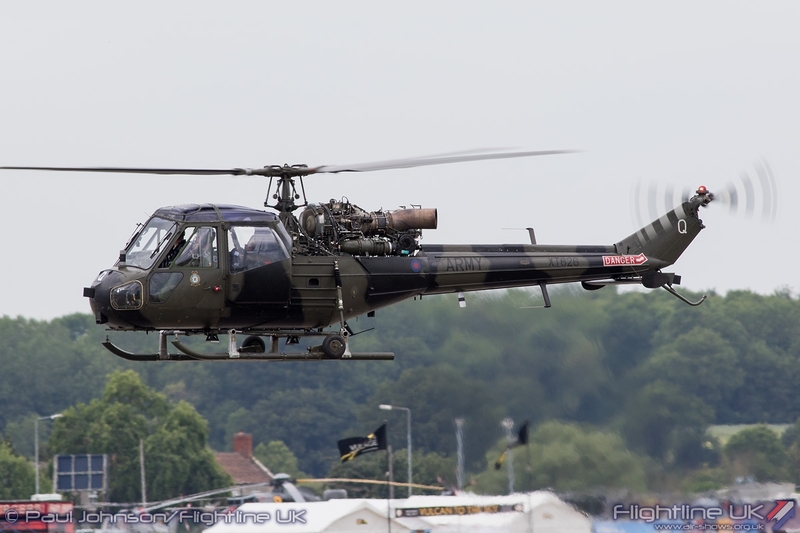 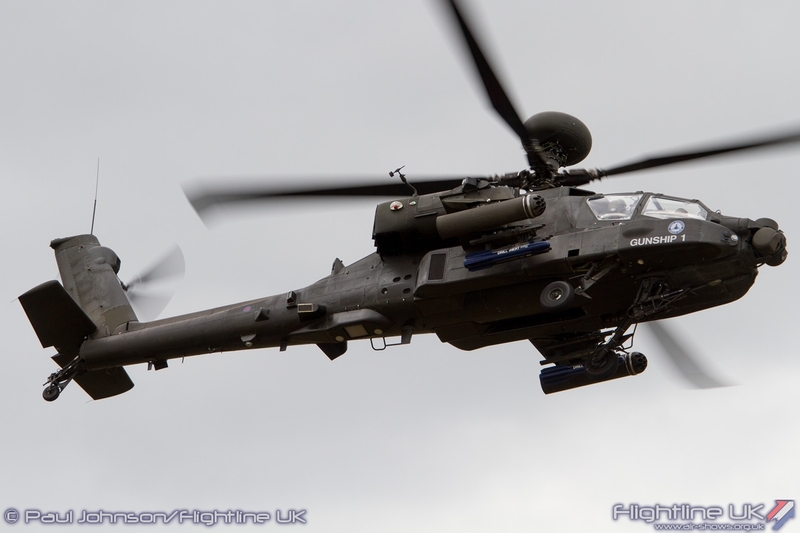 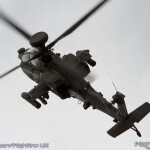 The AAC also had a WAH-64D Apache AH1 in the static display too. 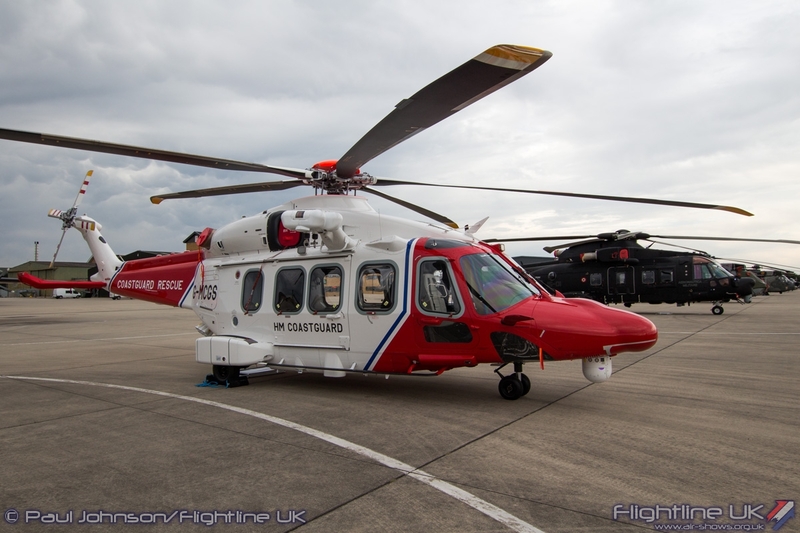 Though not strictly a product of the UK side of the business, QinetiQ sent one of their AgustaWestland AW109E Powers for static display. 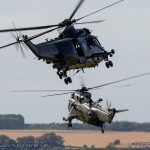 Alongside the home based Westland aircraft were a Westland Sea King Mk41 and a Sea Lynx Mk88 from the German Navy and the only international contributors to AW100. 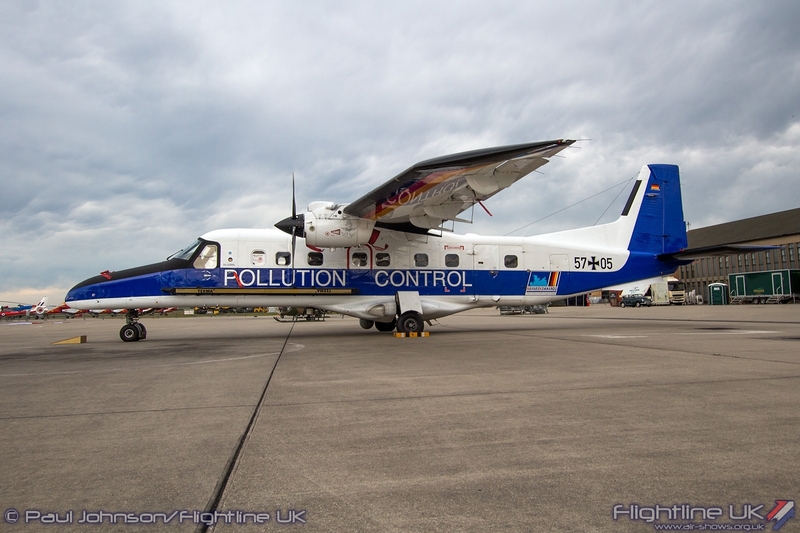 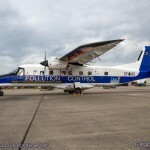 Completing the German Navy line-up was the colourful Dornier Do228-212LM used for Fisheries Patrol. 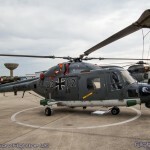 Though the Germans were the only international participants to AW100, there was an excellent selection of international visitors to the static park. 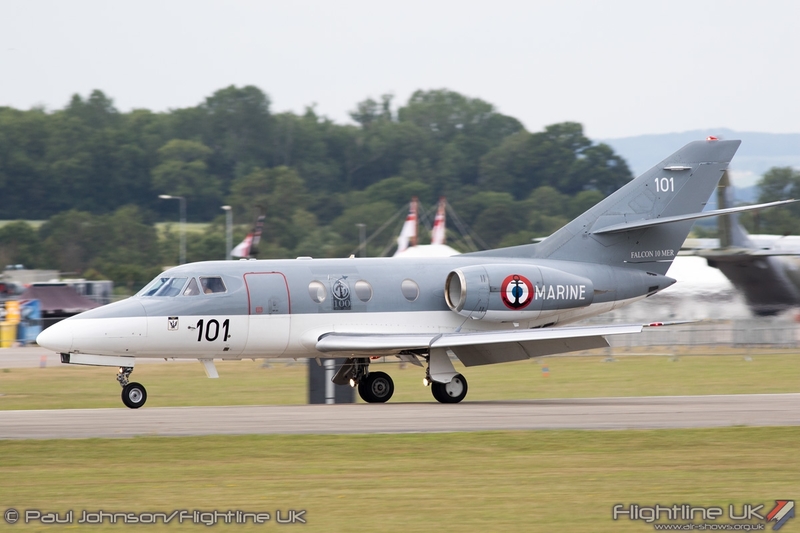 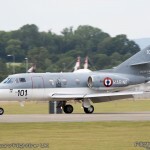 The Naval theme was enhanced with a French Navy Dassault Falcon 10MER and Polish Navy PZL M-28-B1R Bryza. 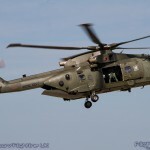 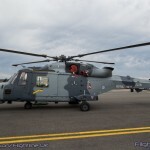 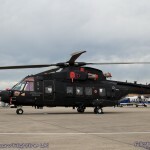 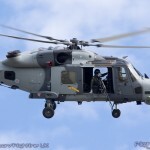 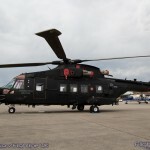 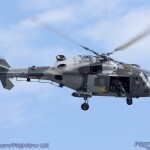 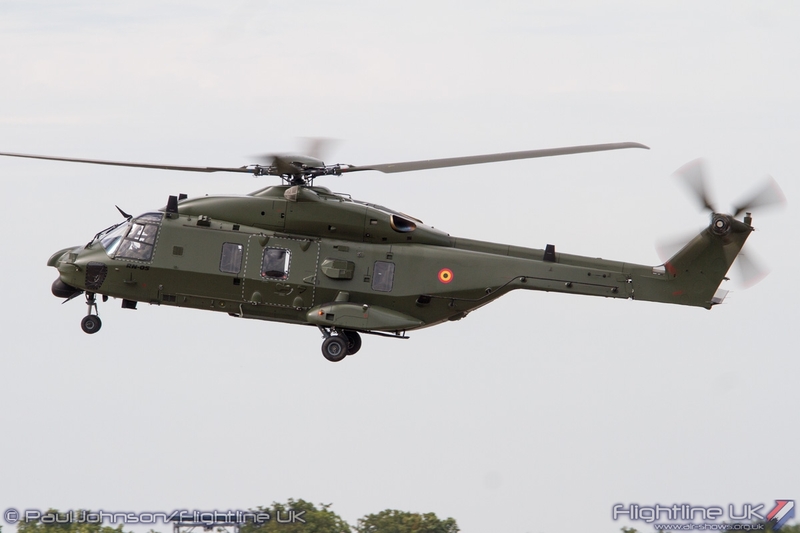 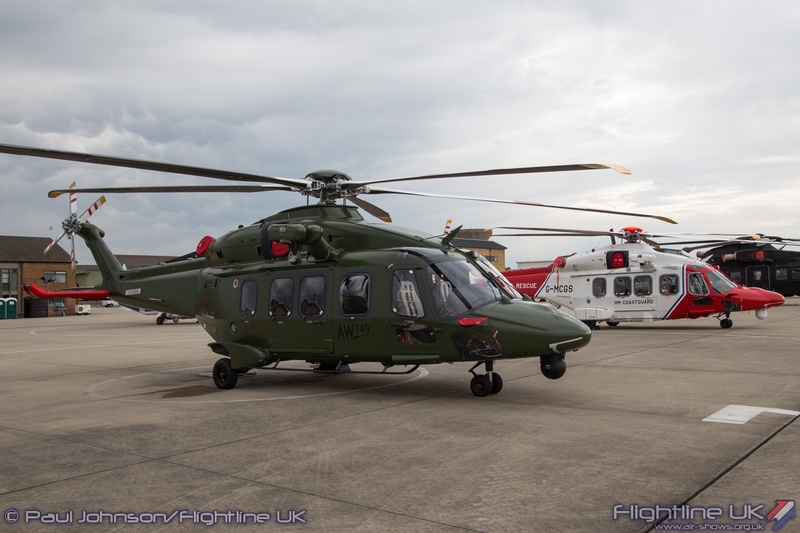 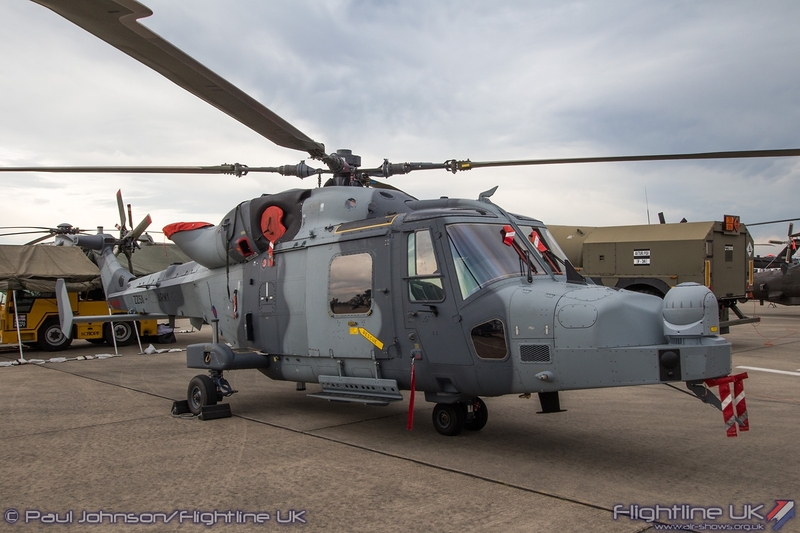 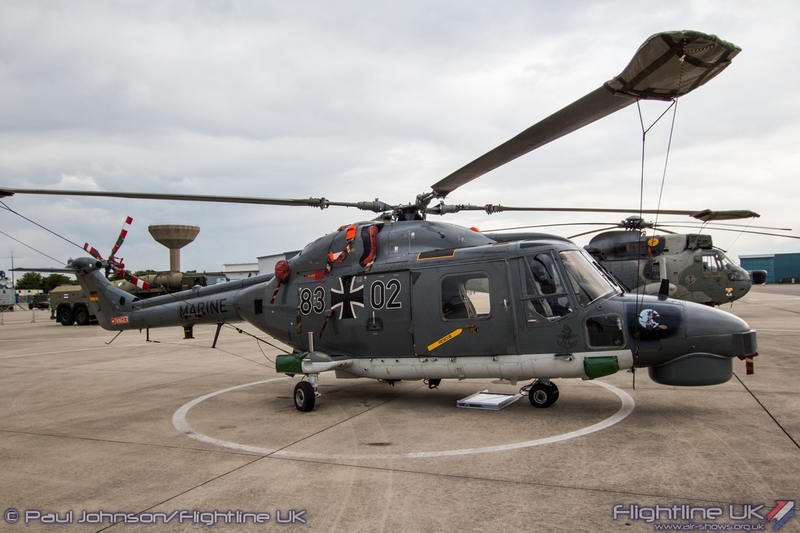 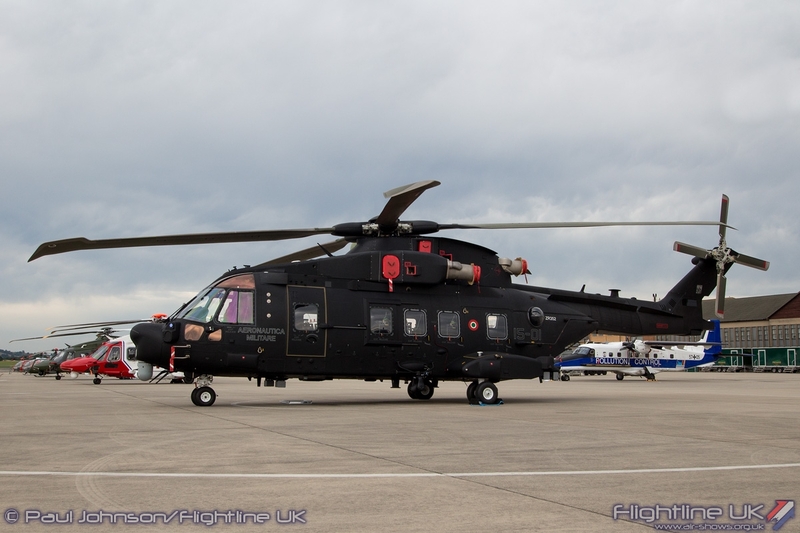 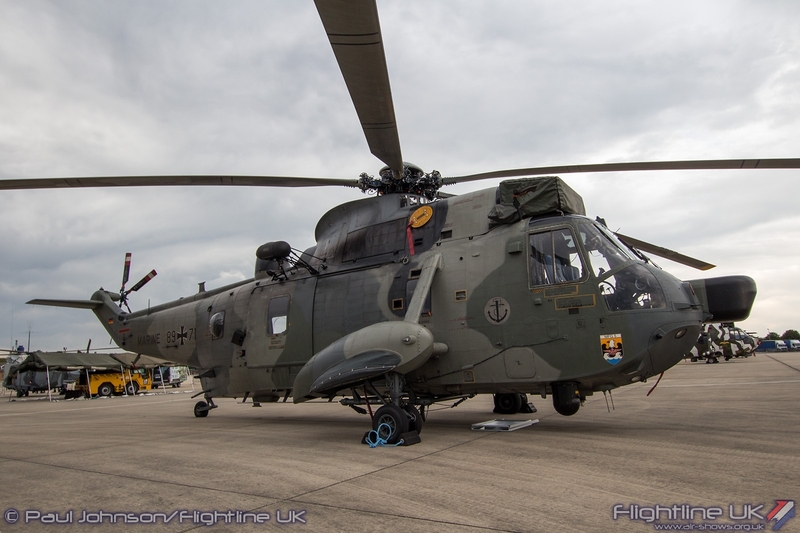 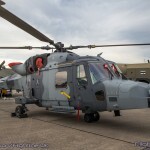 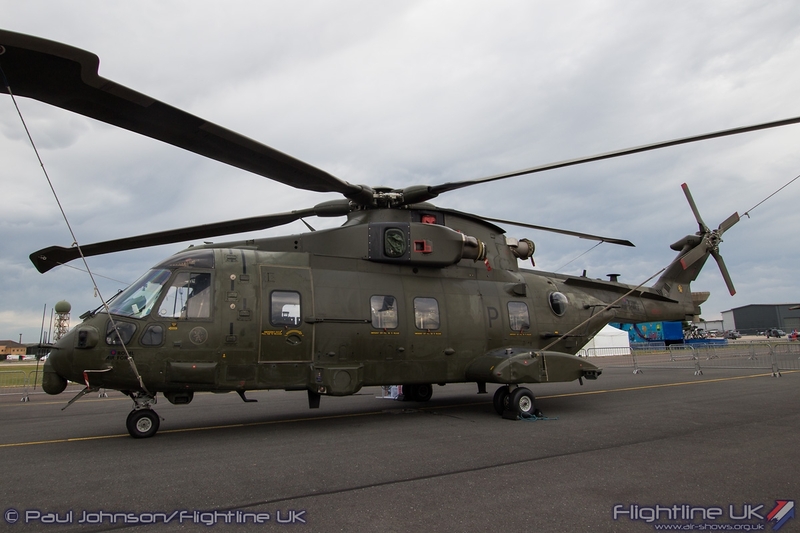 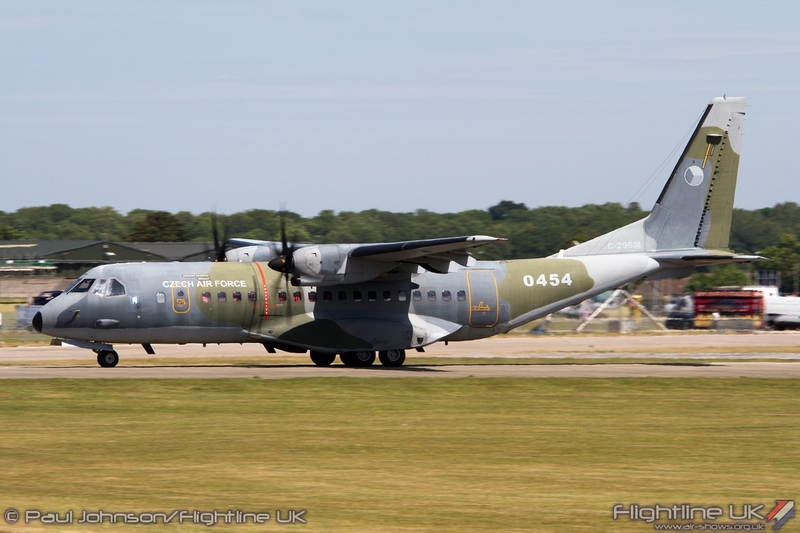 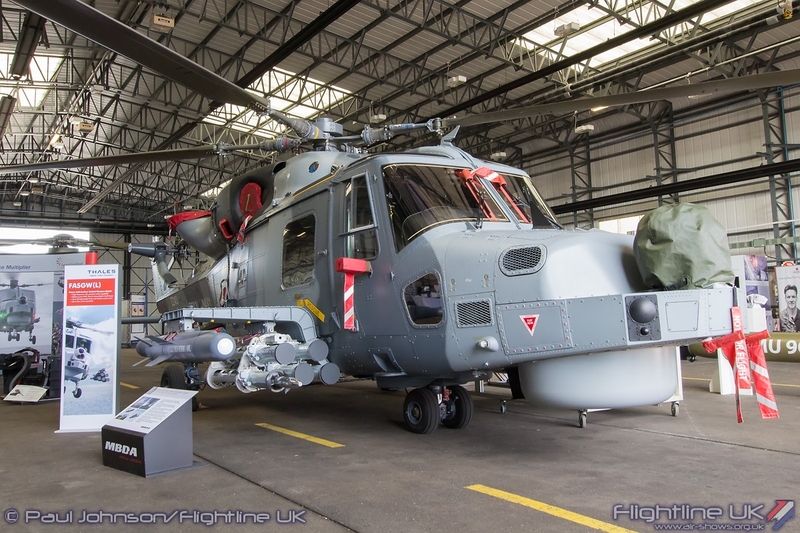 The Belgian Air Force presented one of their new NH Industries NH90-TTH helicopters which was the type’s UK public debut while the Czech Air Force had an Airbus Military CN295M on show and supporting its flying display participants. 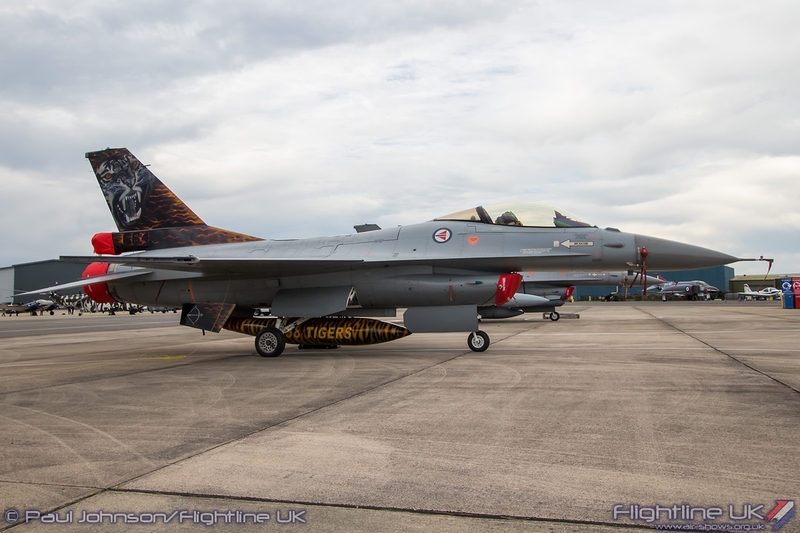 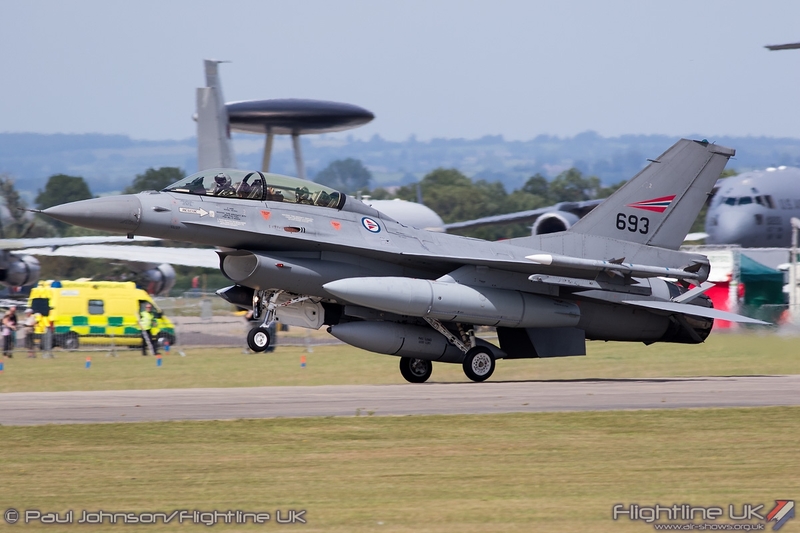 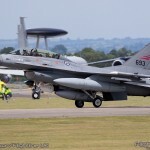 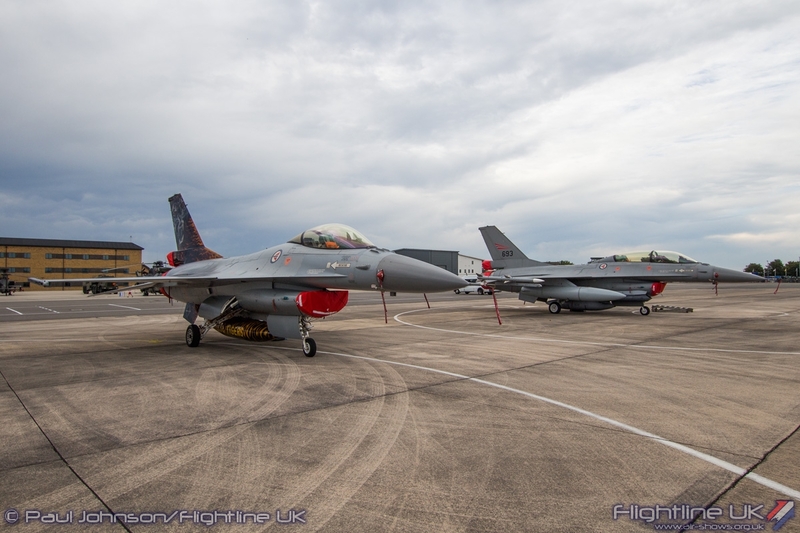 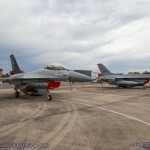 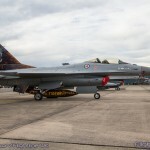 The Royal Norwegian Air Force were the only European based air arms to send fast jets for the static display with a pair of Lockheed Martin F-16AM/BM Fighting Falcons. 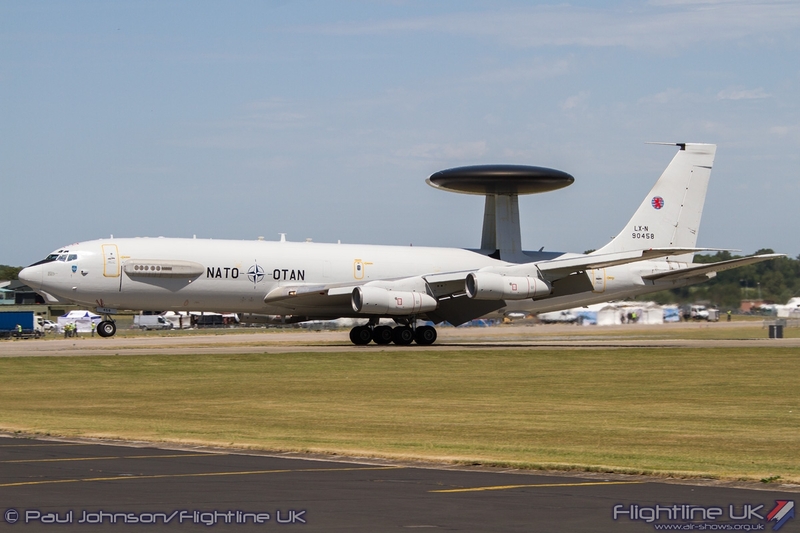 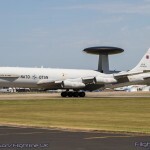 The NATO AEW component also made a rare UK appearance with a Boeing E-3A Sentry in the large aircraft parking area. 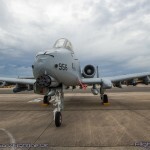 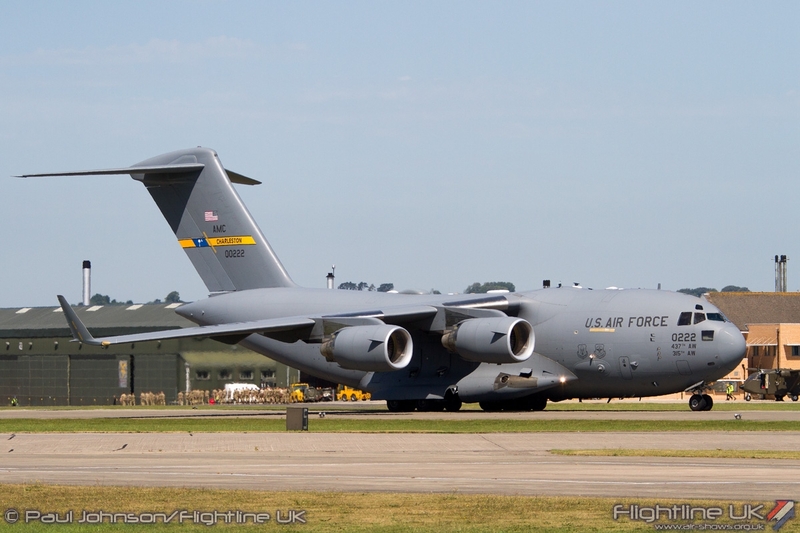 The biggest stars of the static display were from the United States Air Force. 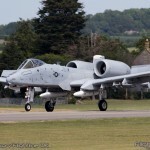 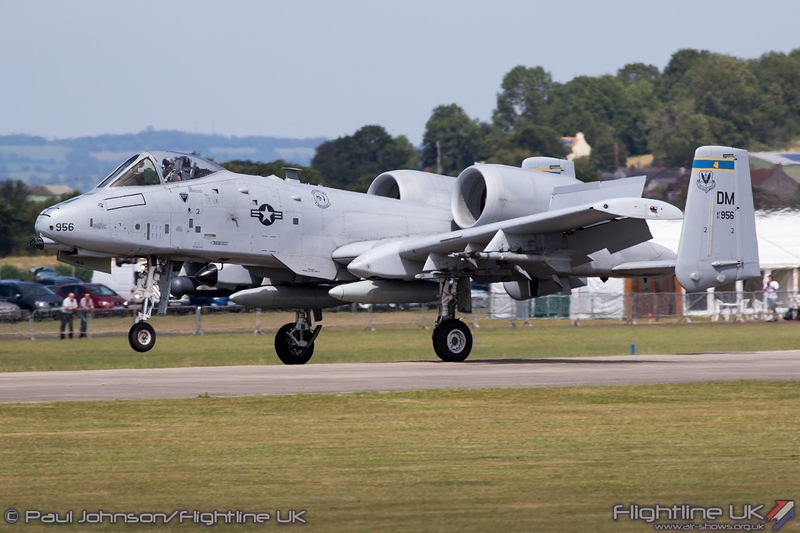 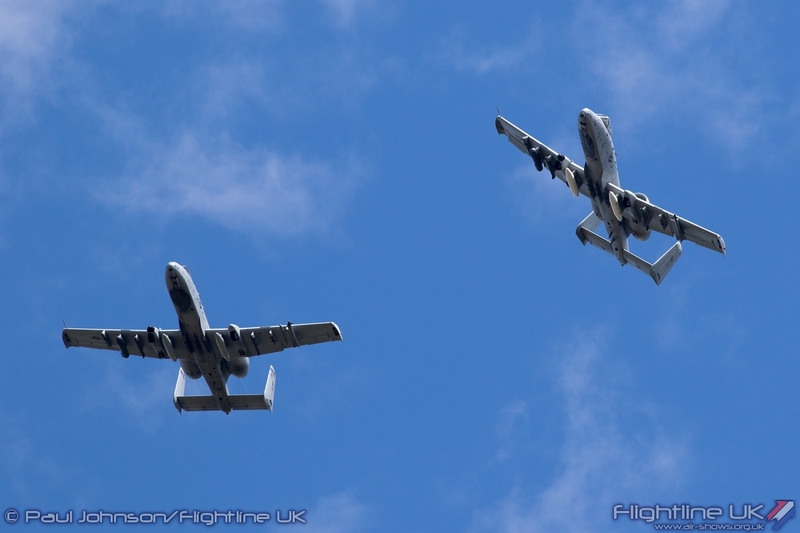 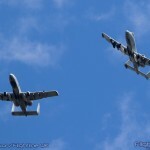 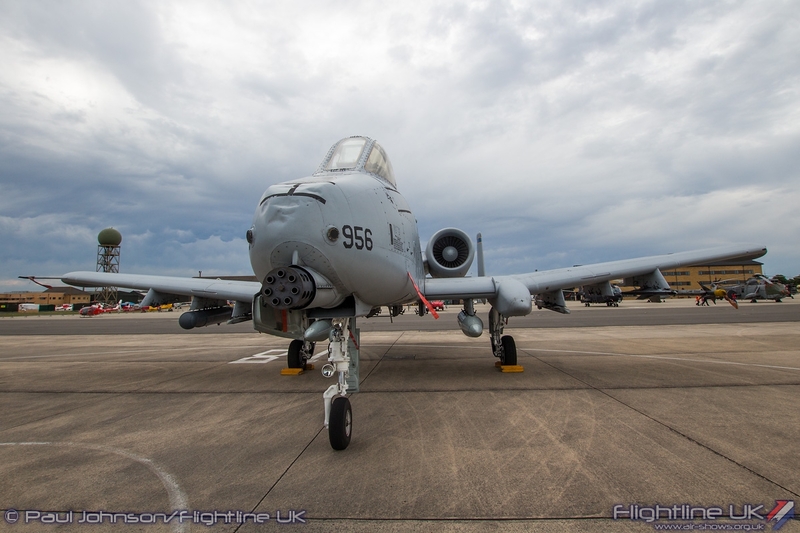 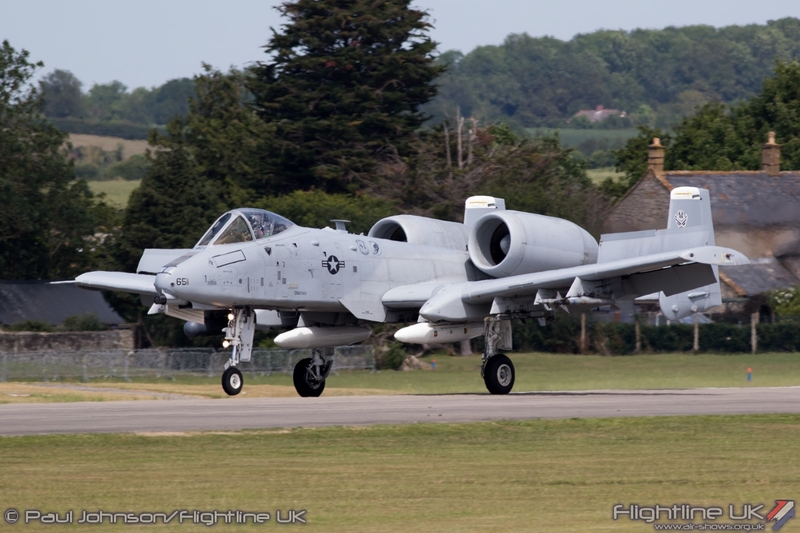 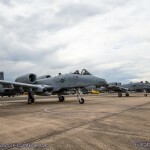 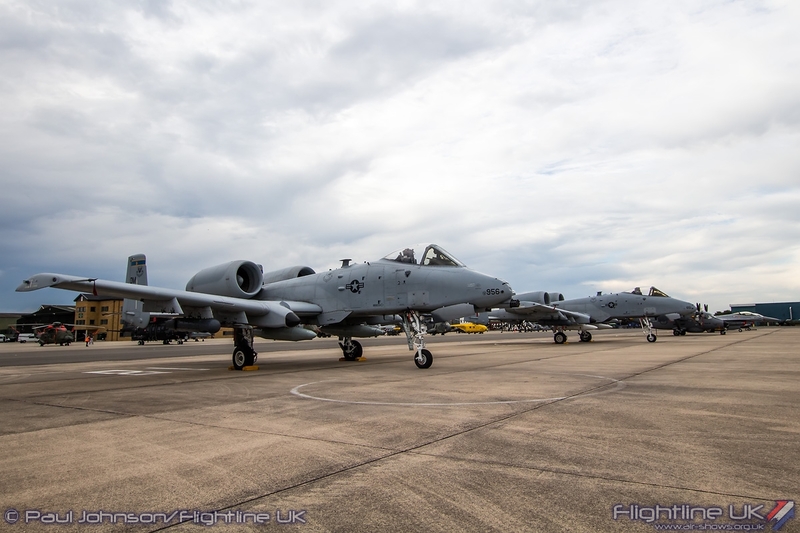 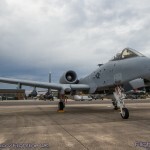 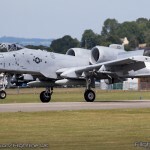 It was great to see a pair of Fairchild A-10C Thunderbolt IIs back at a UK show. 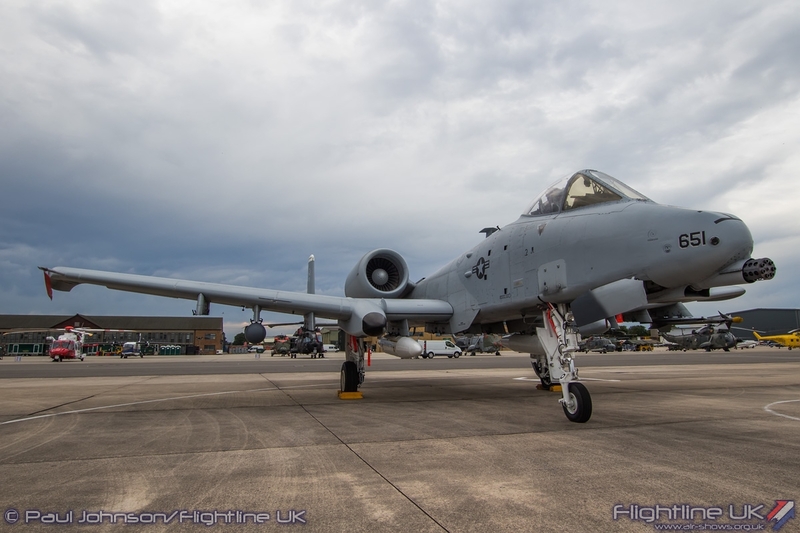 These aircraft, from 354th Expeditionary Fighter Squadron, Davis Monthan AFB, are in Europe supporting security operations in Eastern Europe. 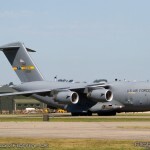 The USAF also contributed a Boeing C-17A Globemaster III which towered over the static displays. 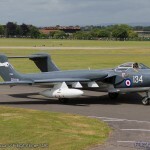 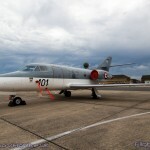 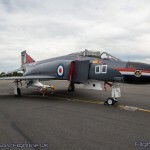 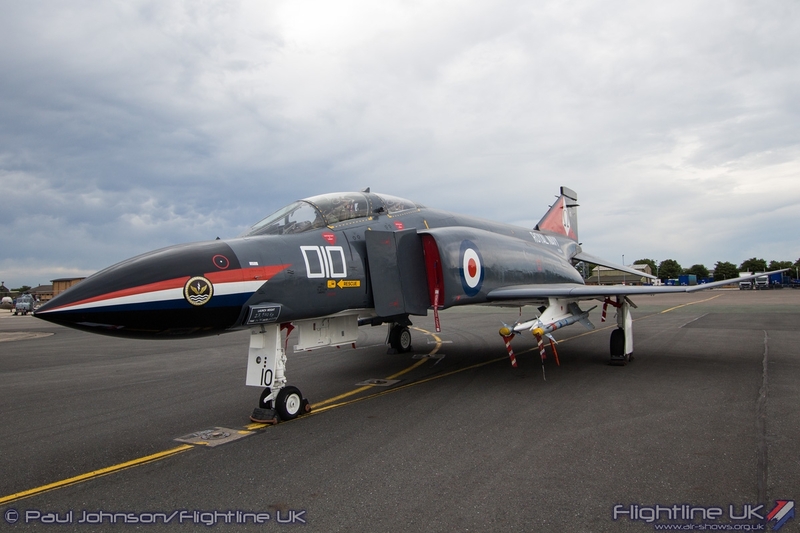 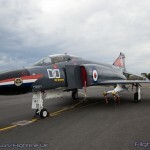 Royal Navy aircraft past and present were also in the static displays. 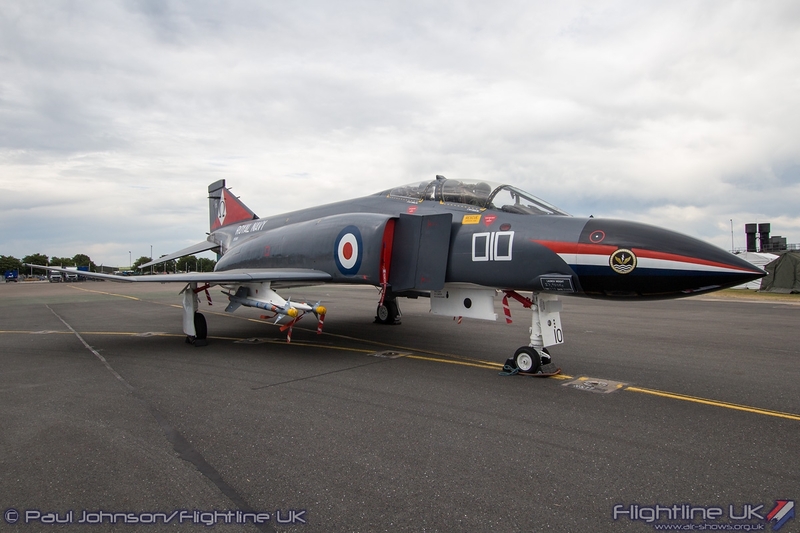 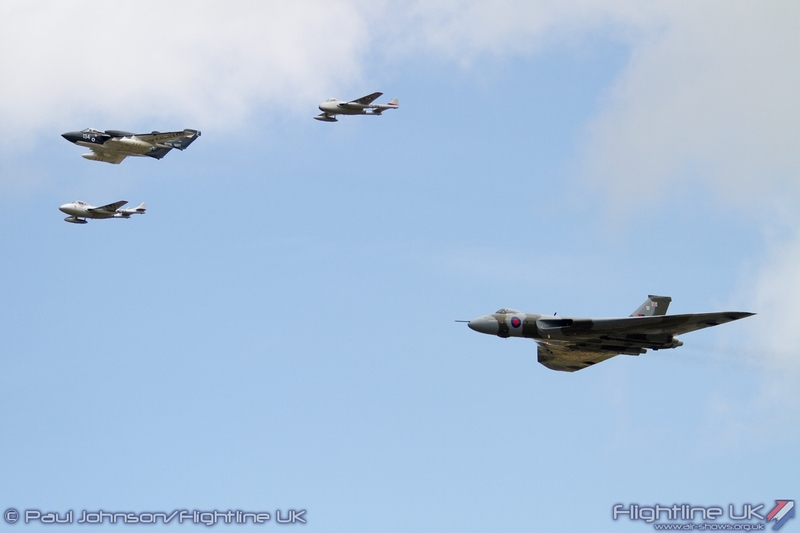 The Royal Navy Historic Flight had their Fairey Swordfish LS326 and Sea Fury FB11 VR930 on public view while the beautiful based F-4K Phantom and Sea Harrier F/A2s provided a glimpse back to past fast jet carrier operations. 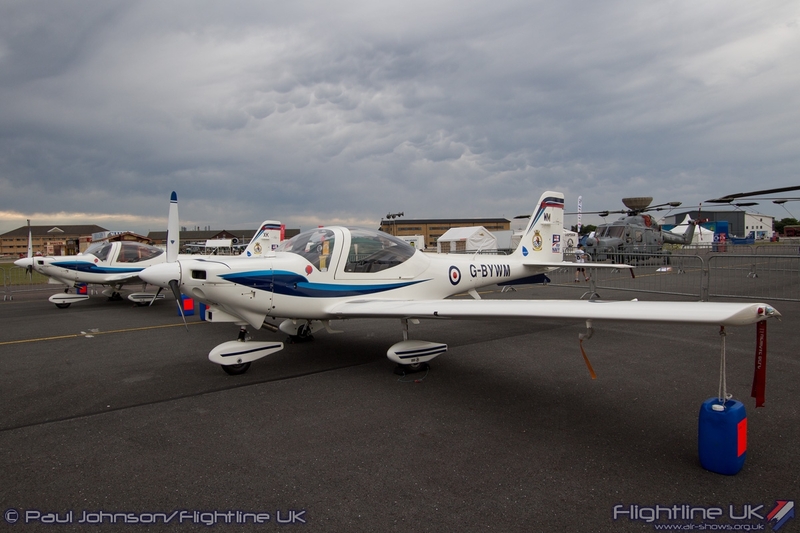 Alongside the multitude of Westland products, examples of the Grob Tutor T1, Beechcraft Avenger T1 and BAE Systems Hawk T1 could be found around the main static display. 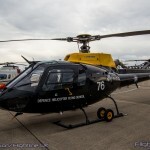 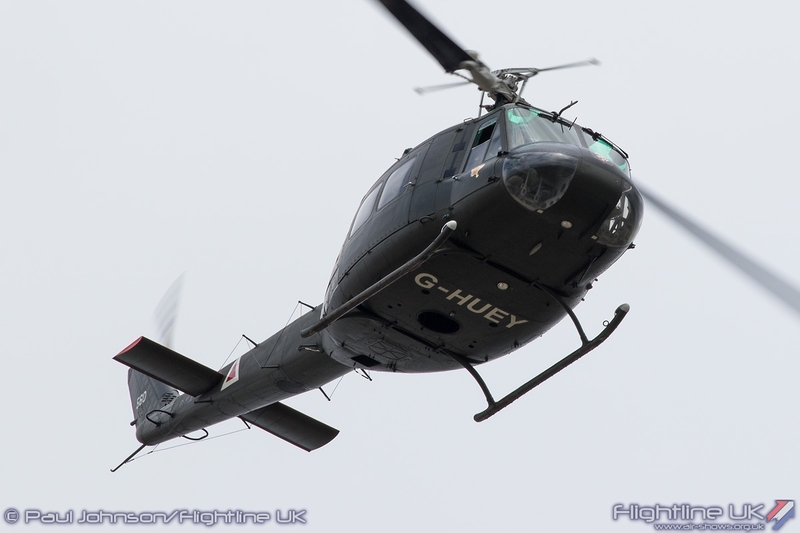 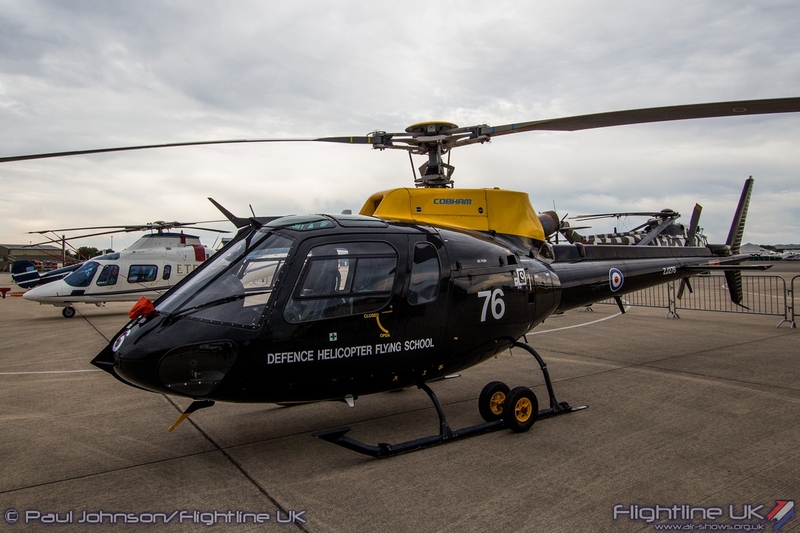 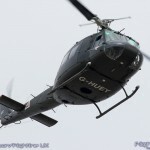 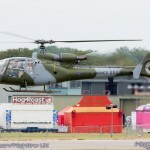 The Defence Helicopter Flying School also contributed a Airbus Helicopters Squirrel HT1. 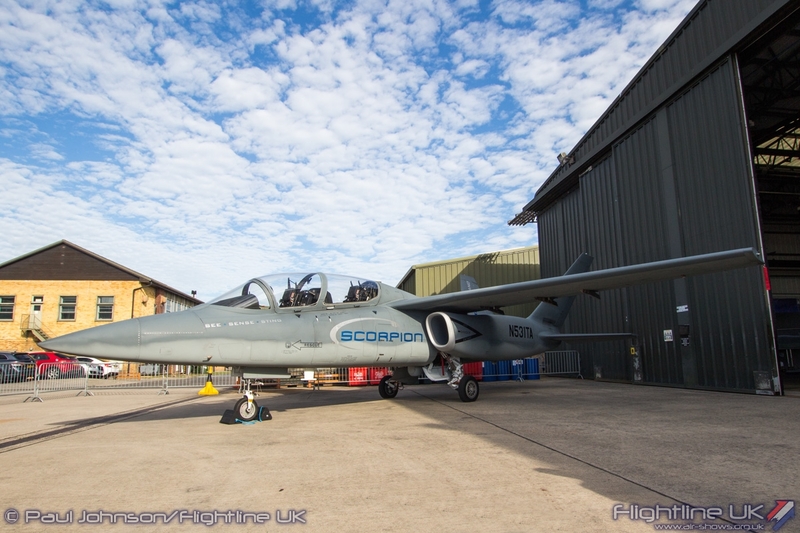 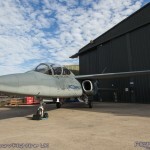 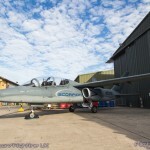 Also in the static park was the Textron AirLand Scorpion demonstrator. 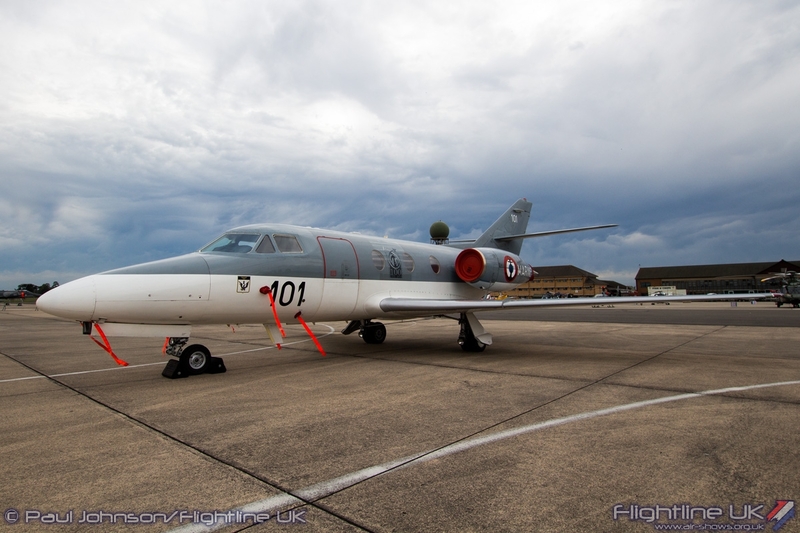 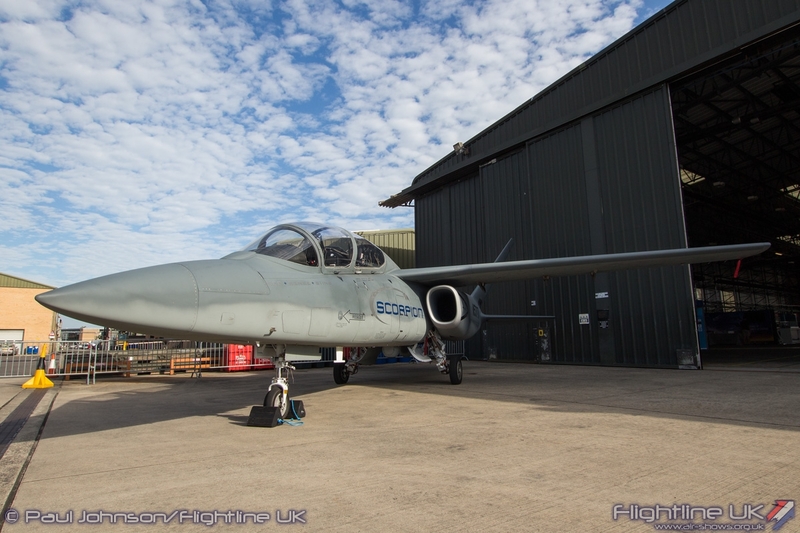 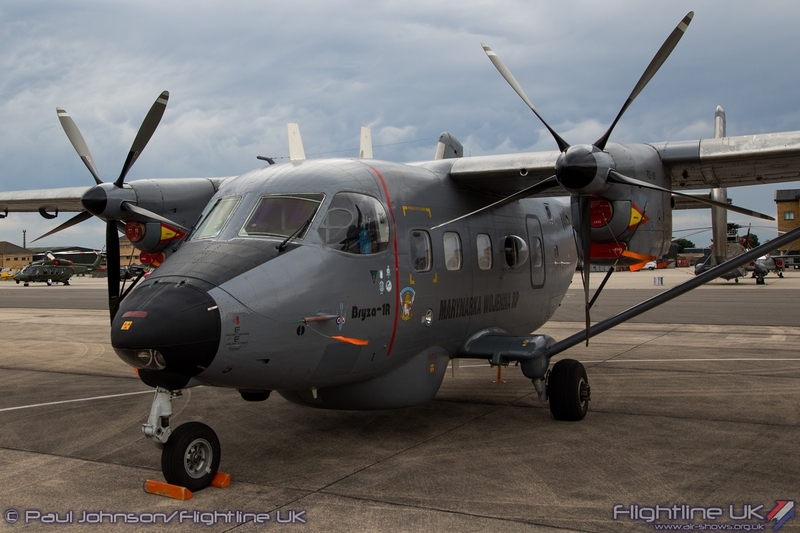 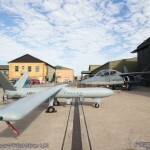 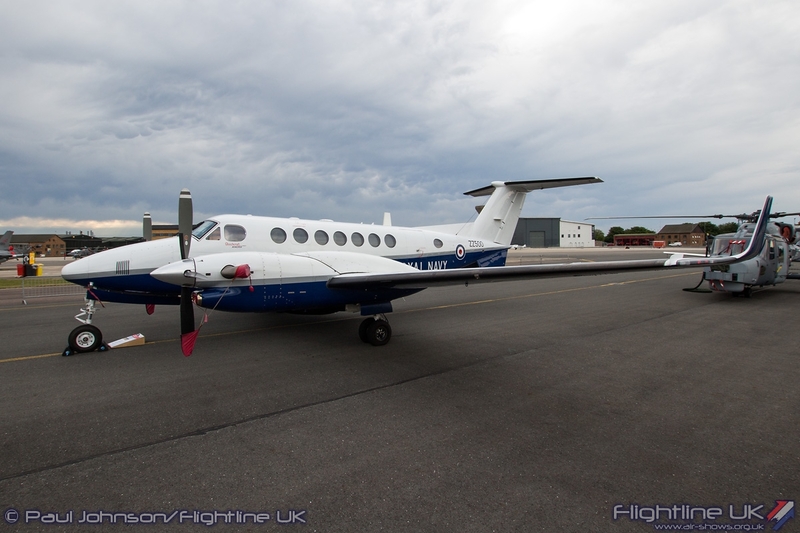 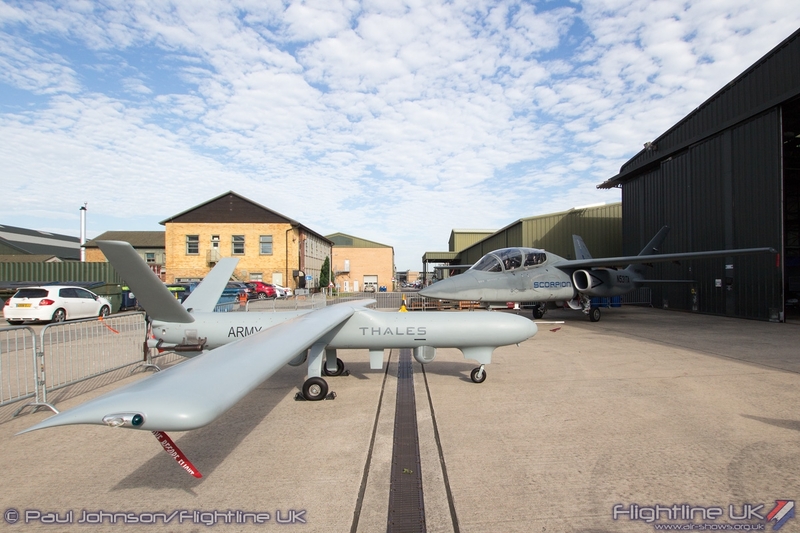 This multi-role jet can fulfil a number of roles and is currently being evaluated by the UK MoD for a number of different missions including martime surveillance. 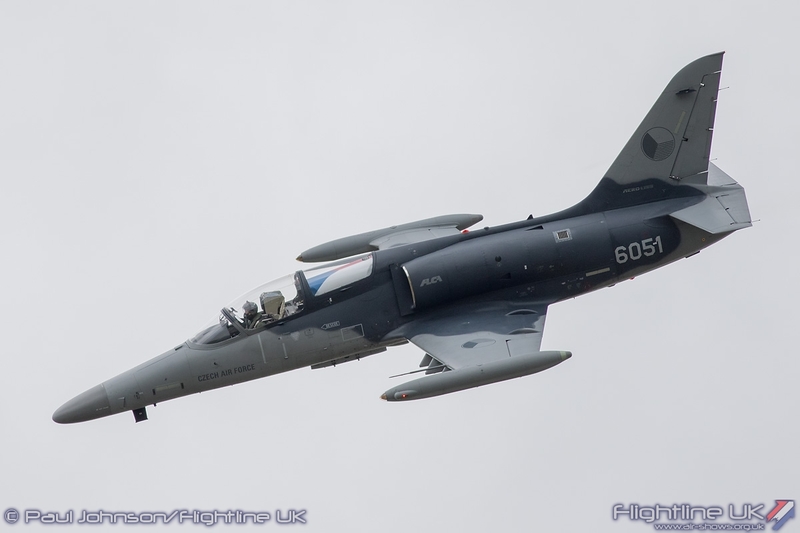 International interest in the aircraft is also high as a potential close air support aircraft that could also perform training duties. 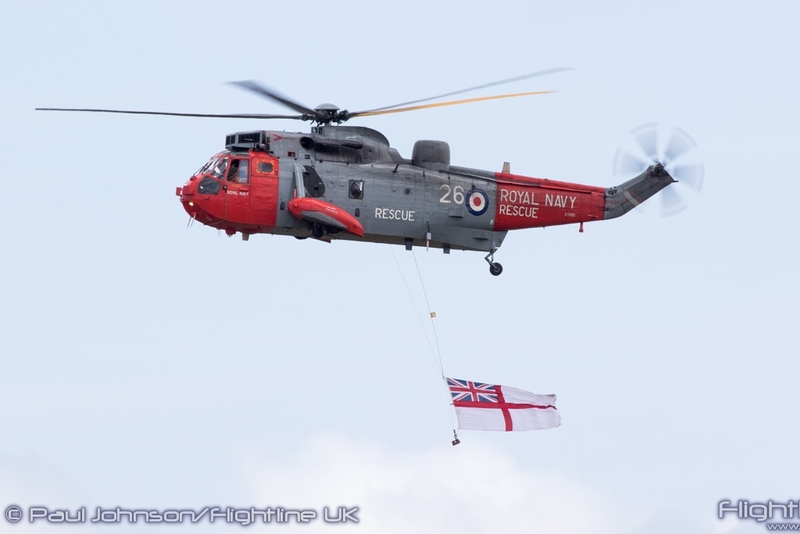 The flying display opened appropriately with a flypast from the Royal Navy with a 771NAS Westland Sea King HU5 from RNAS Culdrose. 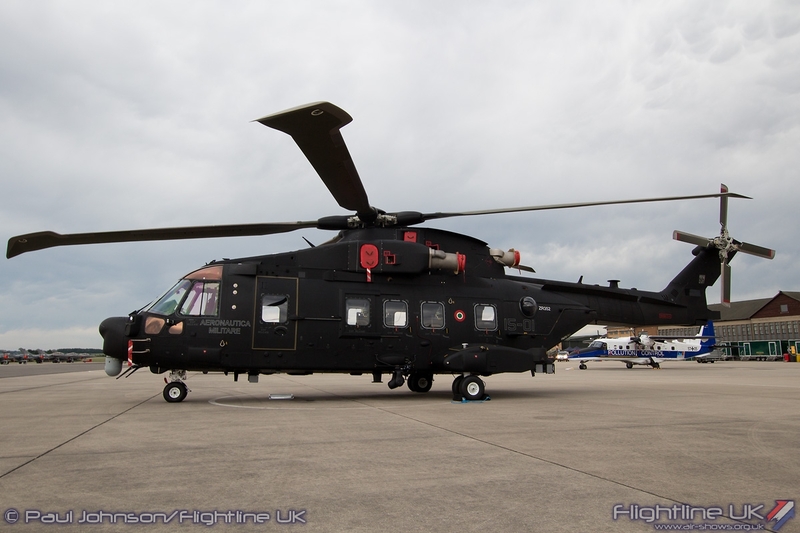 It was a sad occasion as it marked the final time an active service Sea King HU5 would be seen at Air Day. 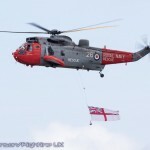 In salute the Sea King flew a large Royal Navy Ensign as it passed down the crowd line. 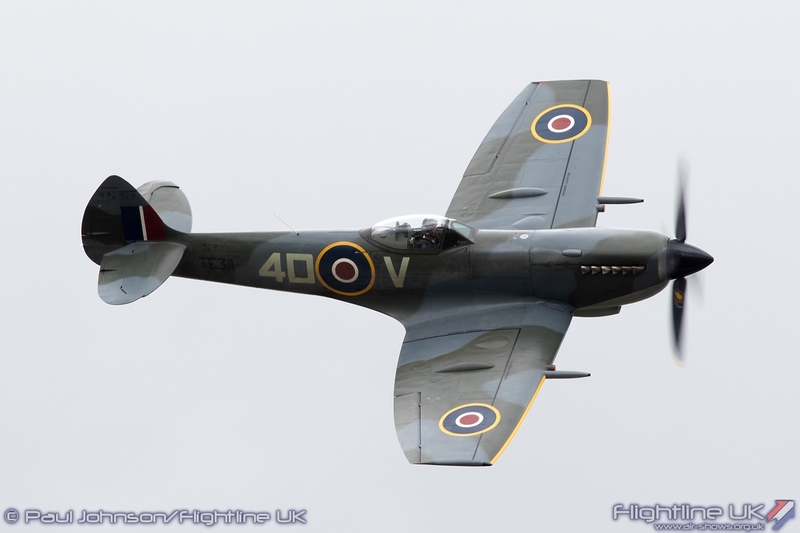 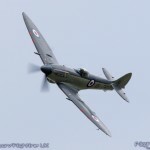 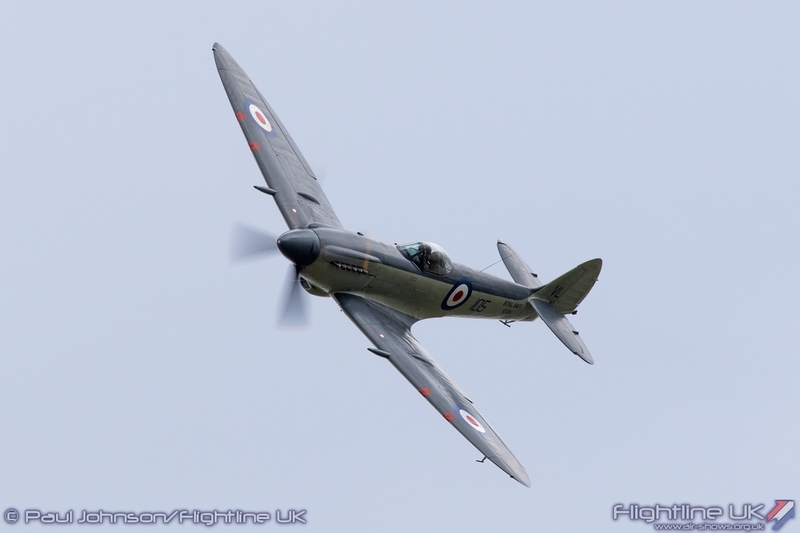 The first full display of the day was Kennet Aviation’s beautiful Supermarine Seafire XVII flown by Chris Gotke. 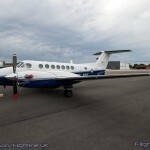 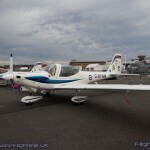 The aircraft has recently returned to flight after a landing accident and it looks and sounds better than ever. 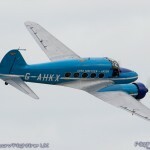 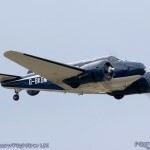 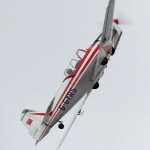 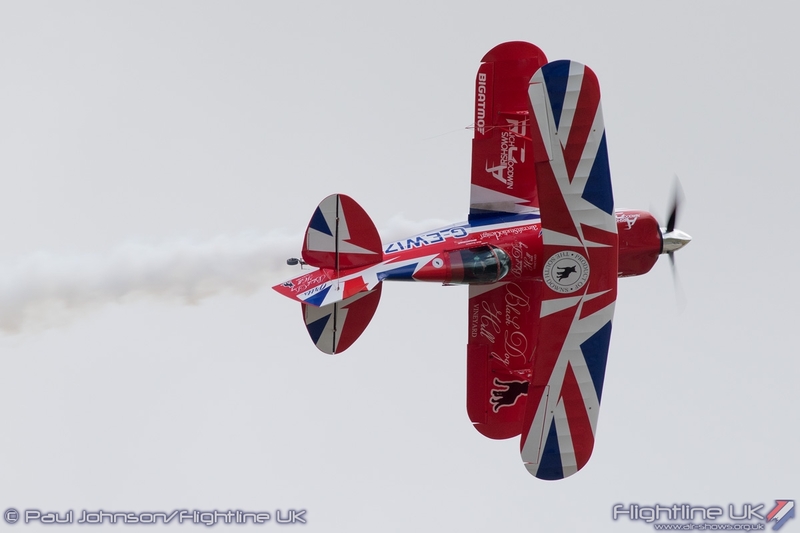 Chris clearly enjoyed flying her too with a spirited flowing routine of aerobatics about the aircraft’s former home. 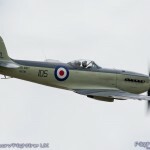 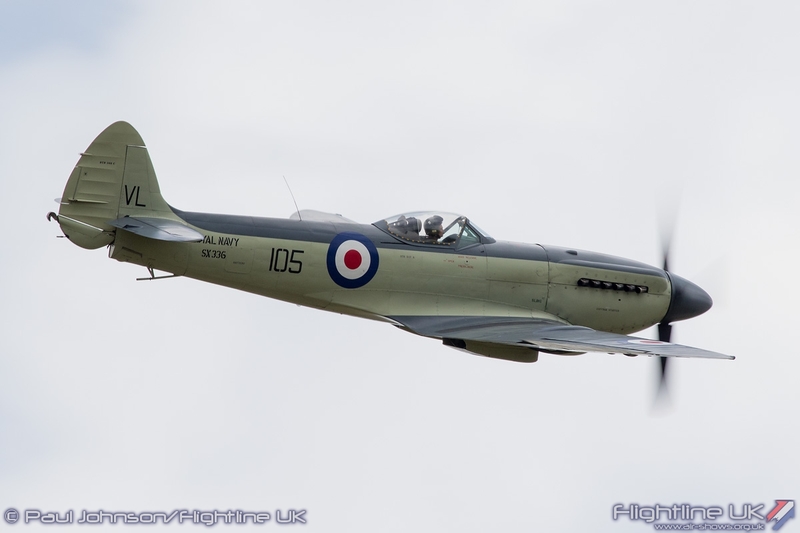 The Seafire was just one of a number of displays recalling the 75 year history of the Somerset Air Station. 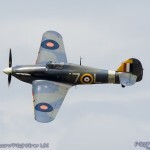 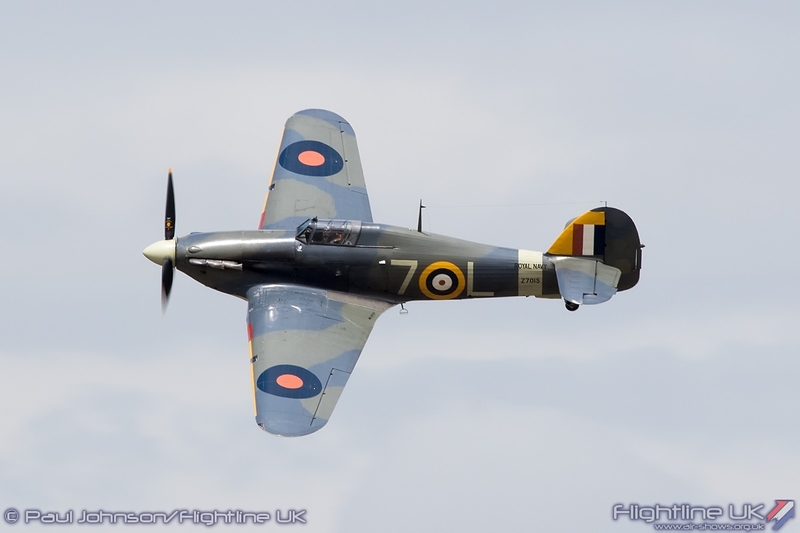 The Shuttleworth Collection’s Hawker Sea Hurricane Ib made a rare appearance away from Old Warden to recall the earliest days of Yeovilton in 1940 as did the BAE Systems Heritage Flight’s Avro XIX which represented the early Ansons that were based at Yeovilton. 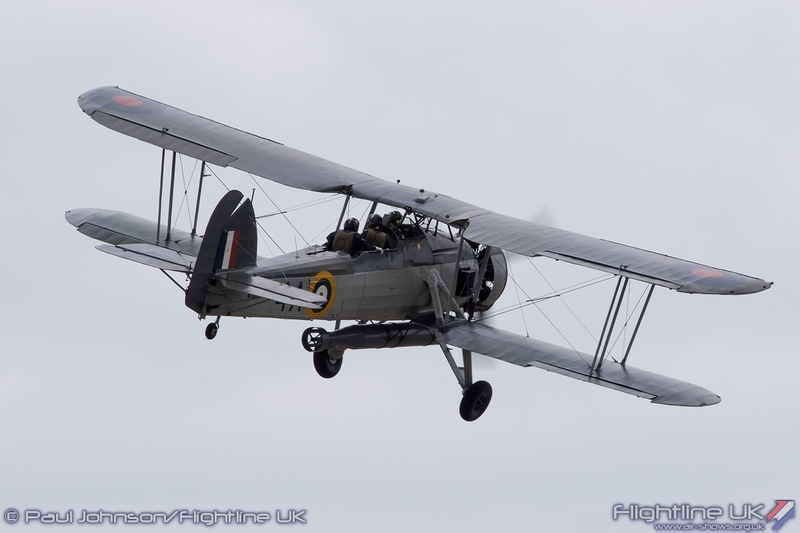 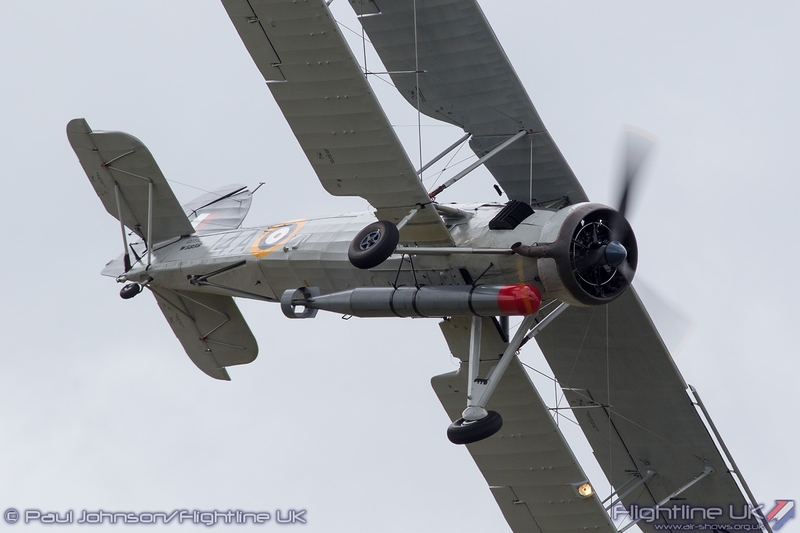 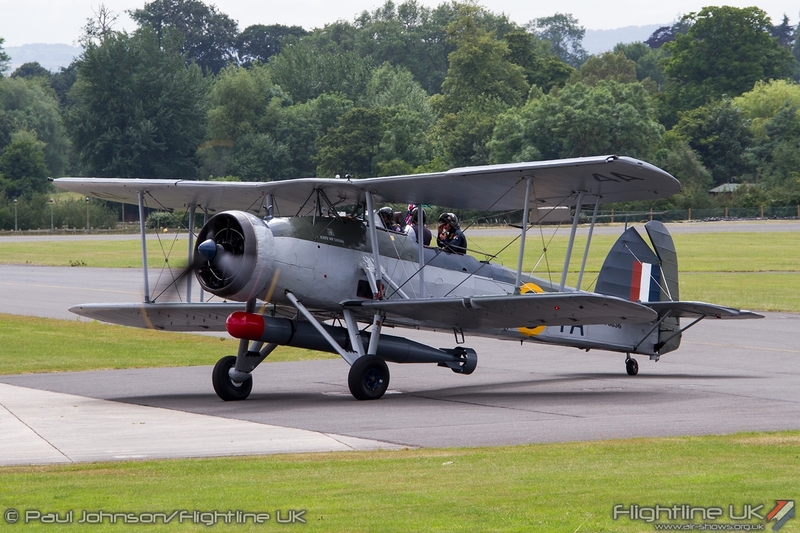 Playing a starring role during the afternoon was the Royal Navy Historic Flight’s Fairey Swordfish I making its first public display in over 12 years. 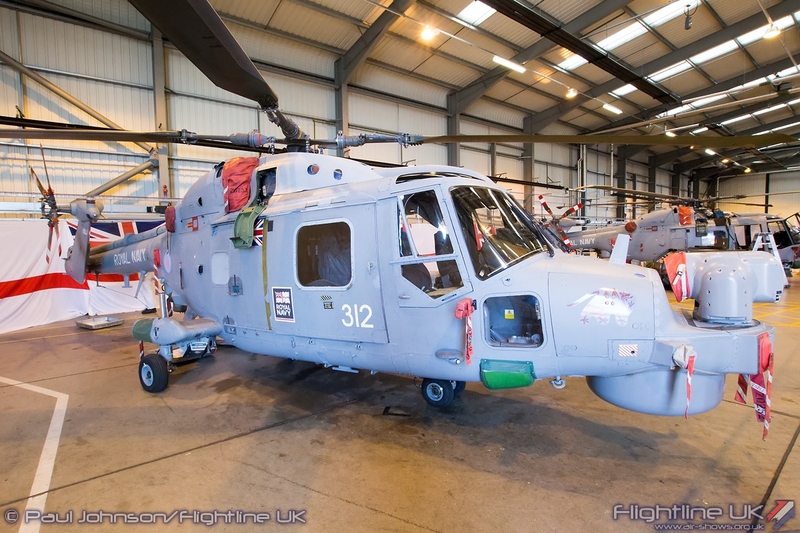 It now wears the colours of an 825 NAS machine embarked on HMS Ark Royal during the operations to sink the Bismarck. 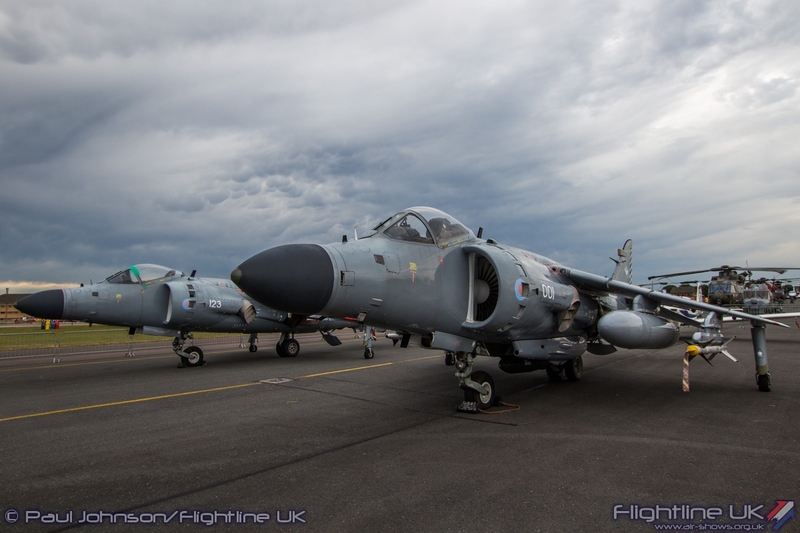 It looks absolutely immaculate and a huge credit to the dedicated members of the flight who press on despite all the difficulties they face to salute the proud history of the Fleet Air Arm and its veterans. 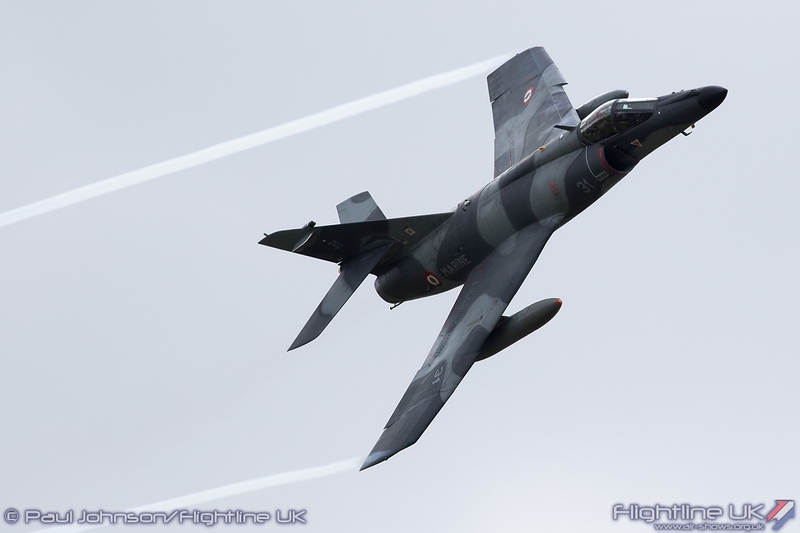 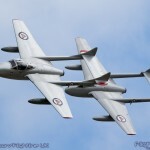 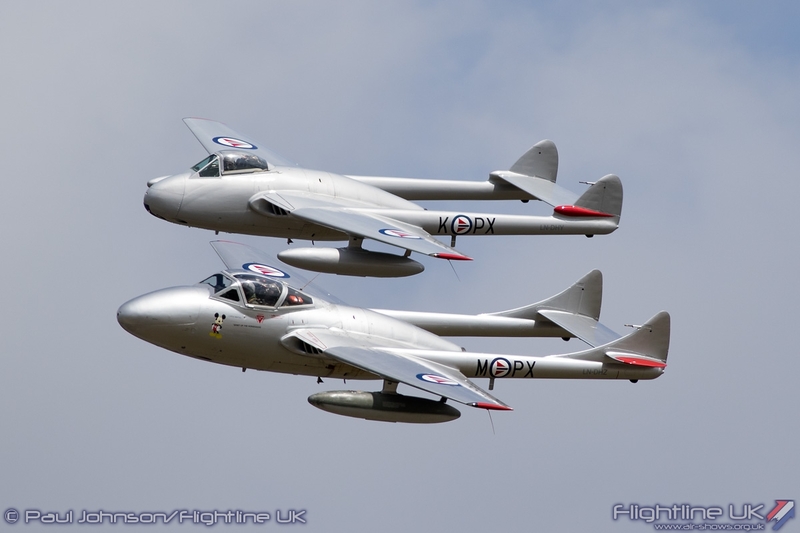 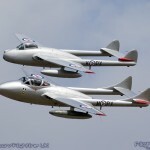 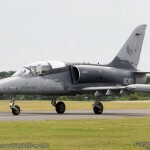 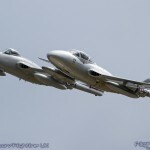 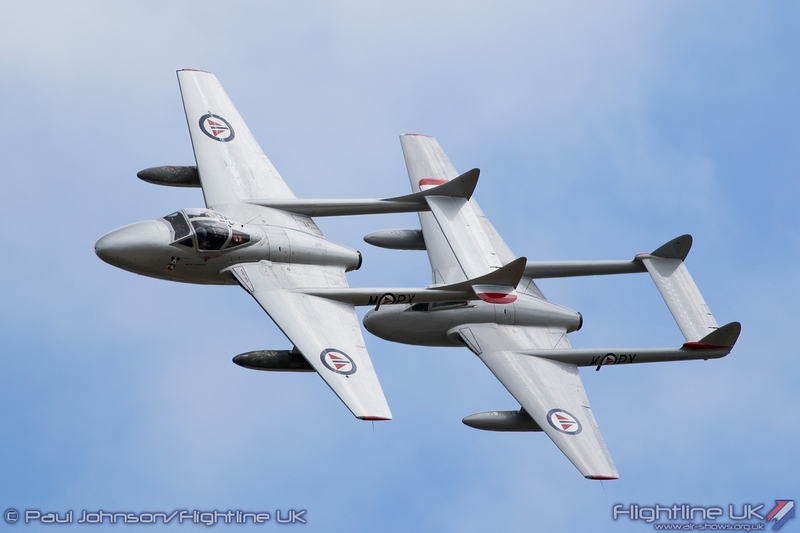 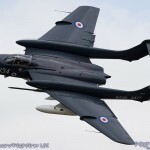 The Norwegian Air Force Historical Squadron, sadly without their MiG-15, flew their pair of de Havilland Vampires to mark the early jet age at Yeovilton and herald the start of one of the many highlights of the afternoon. 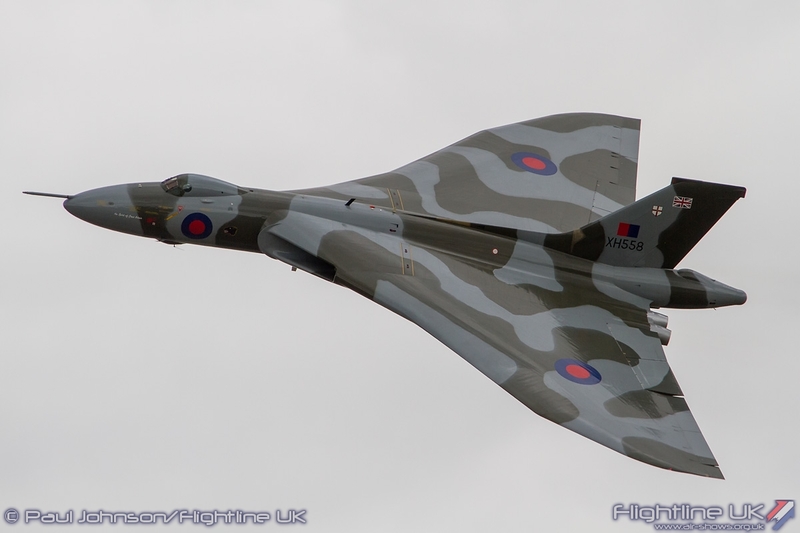 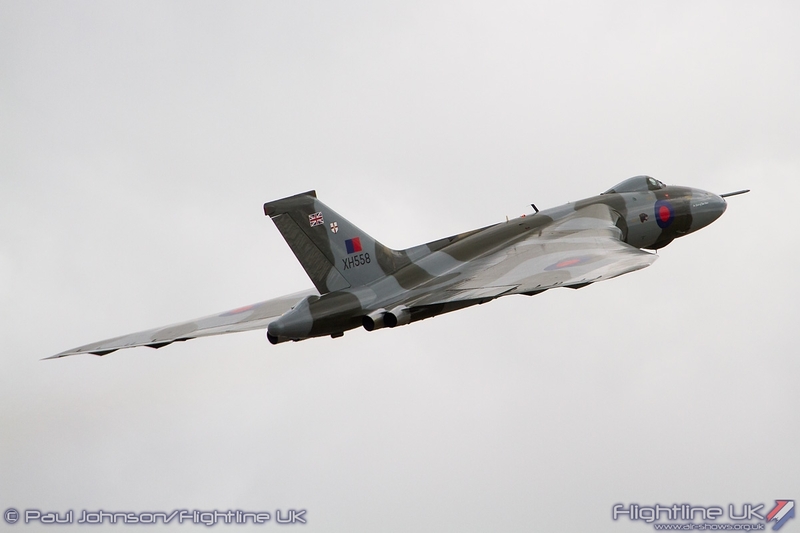 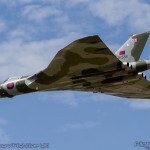 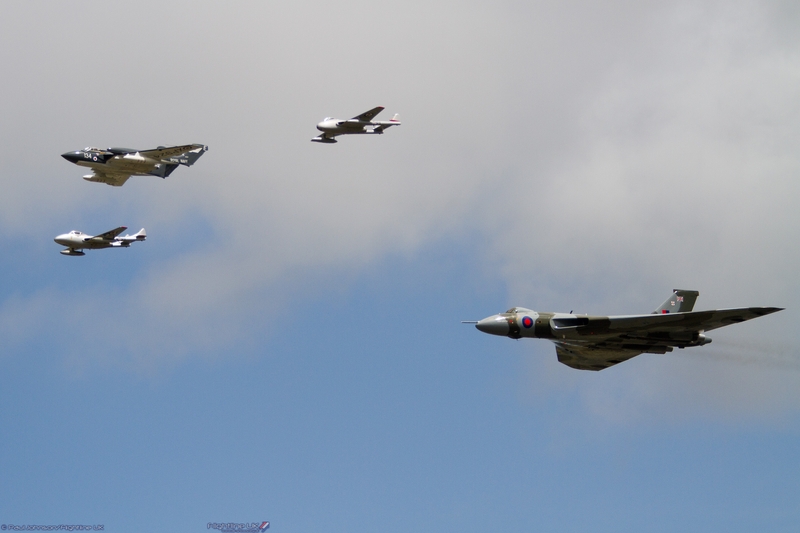 They got airborne shortly after Avro Vulcan XH558 and the de Havilland Sea Vixen FAW2 which disappeared to the east. 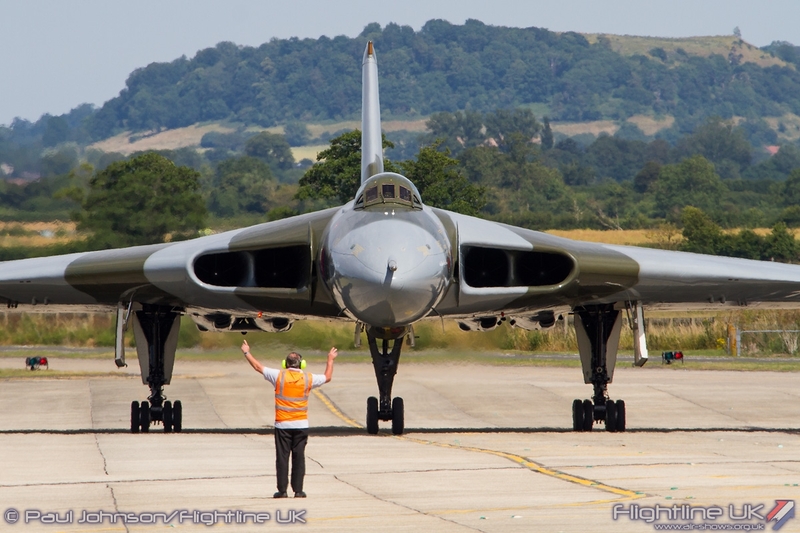 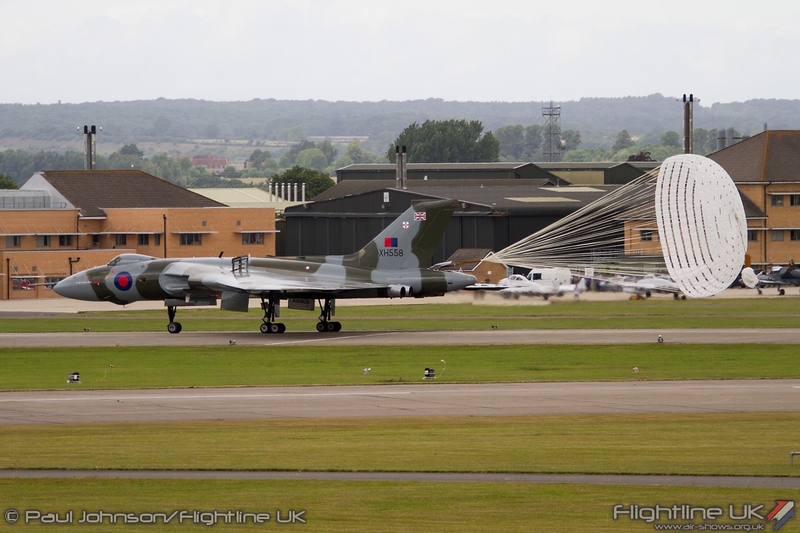 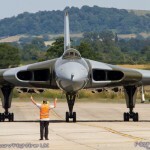 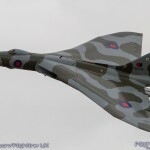 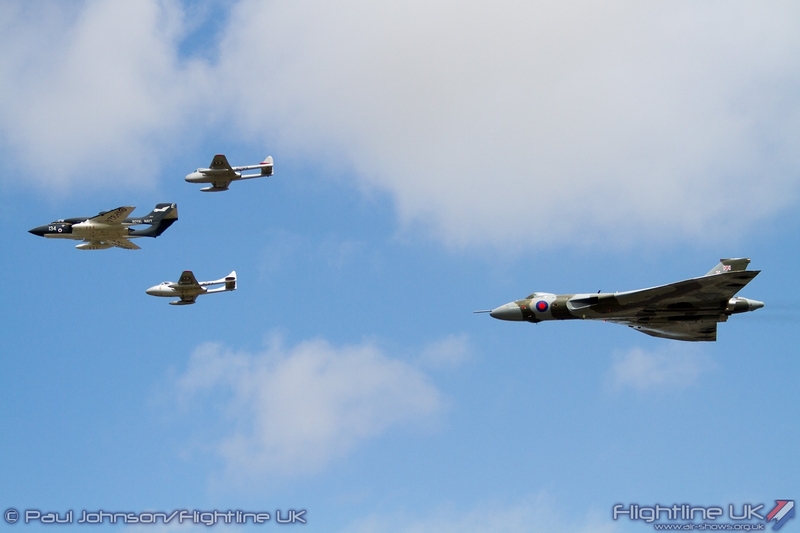 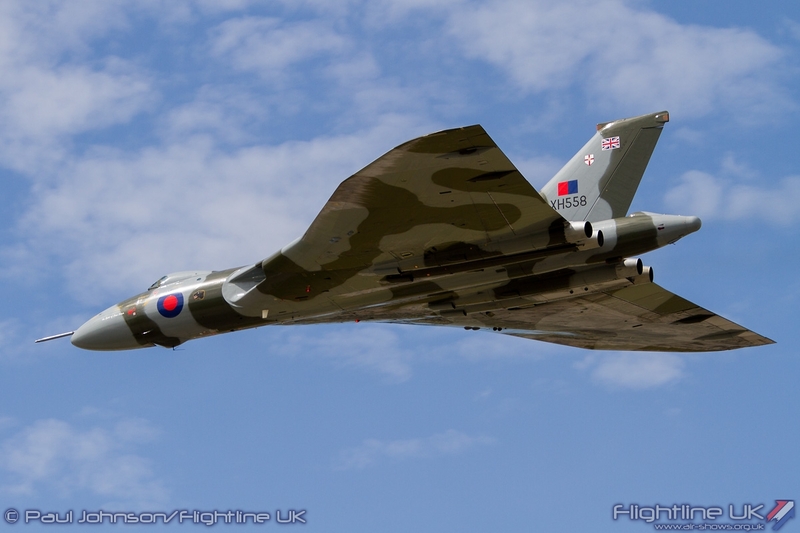 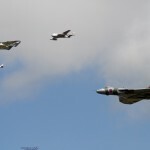 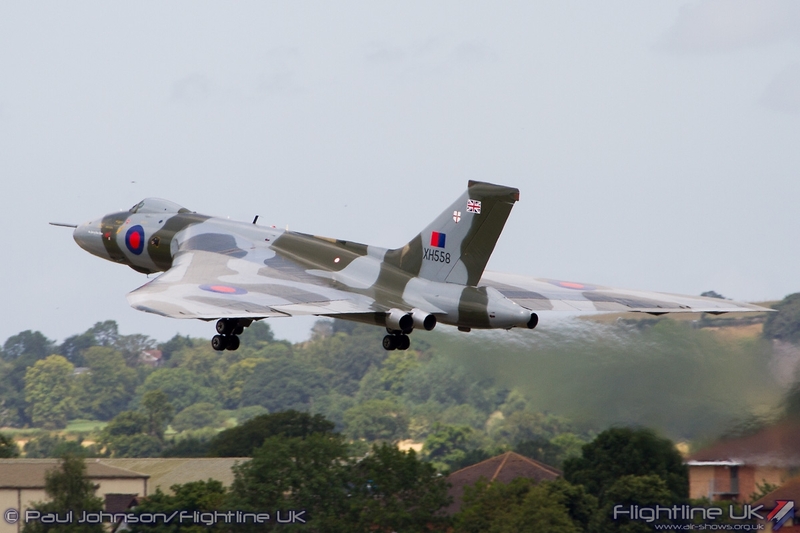 After the Vampires had completed their display they too headed out to the end before all four aircraft returned in the “V-Jet Formation” in part honouring these Cold War warriors but also to give Vulcan XH558 a true Yeovilton send-off for its final display at the base. 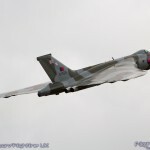 Following the flypast, the Vulcan disappeared out west to complete displays in South Wales before returning for its own solo display. 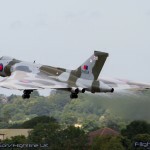 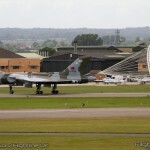 On touch down the Vulcan released its drag chute for a final flourish at a venue which has seen the Vulcan appear almost every year since its return to flight in 2007. 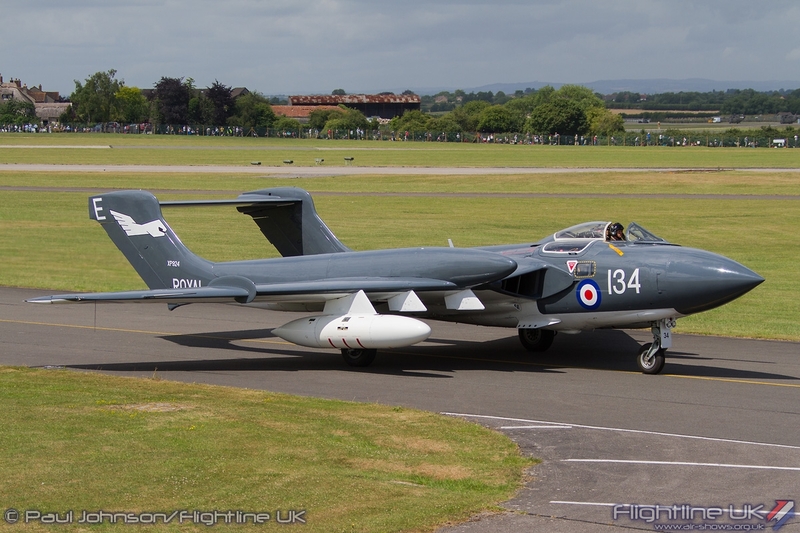 It was a special day for the Sea Vixen too. 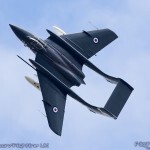 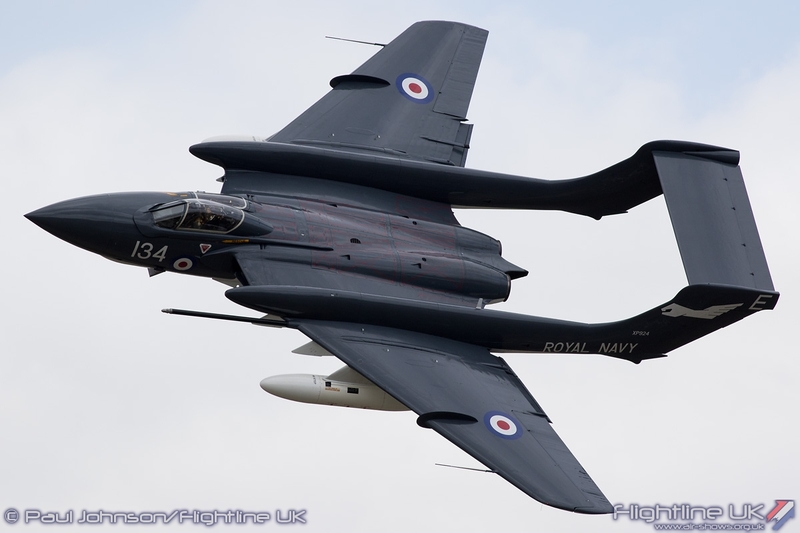 Flown by Simon Hargreaves, the Vixen was marking its first public display since it was handed over to the Fly Navy Heritage Trust. 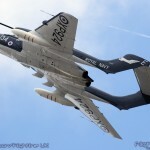 Yeovilton is the aircraft’s new home and Simon put on a very powerful routine in the distinctive twin-boom jet. 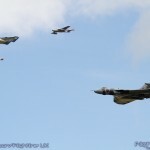 With so many historic and military displays there were just a handful of civilian displays. 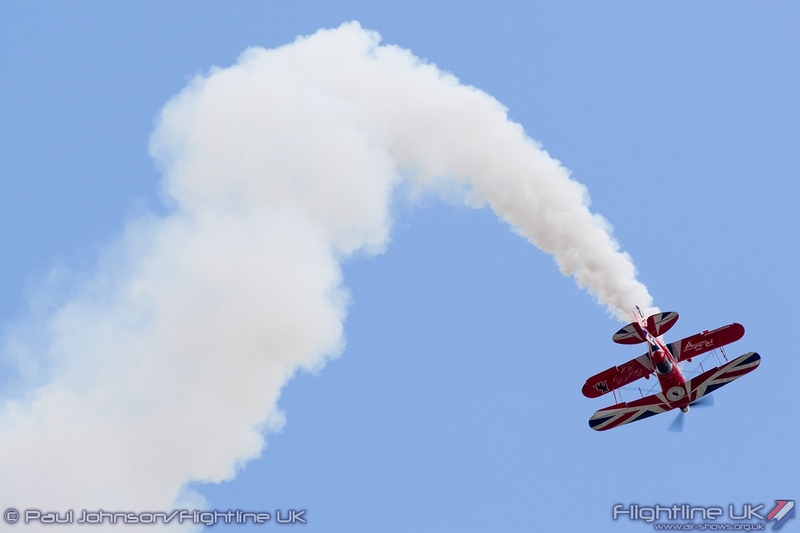 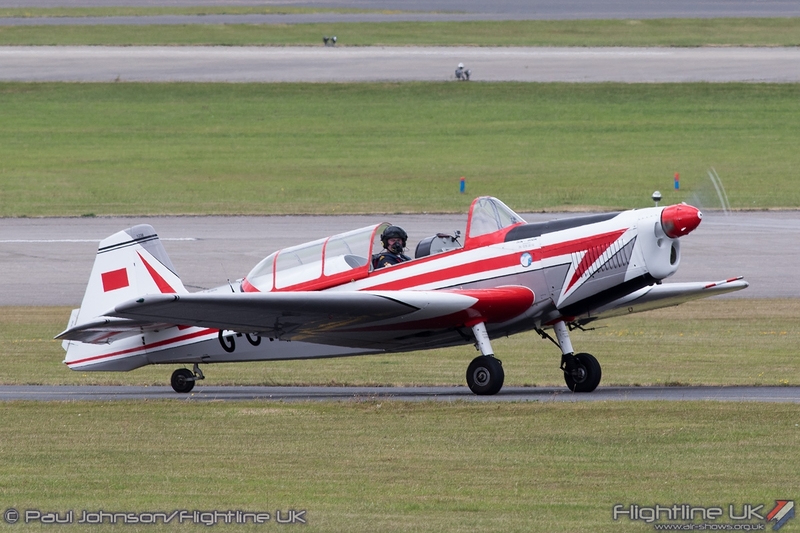 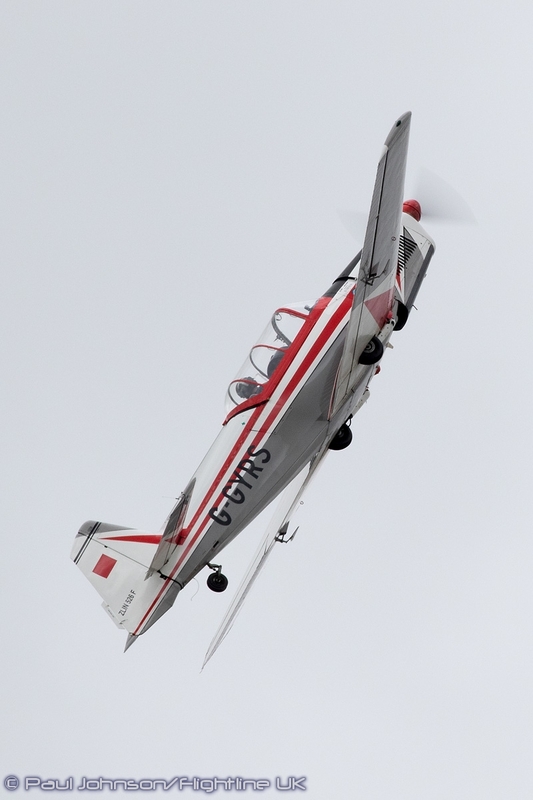 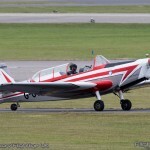 Richard Goodwin returned in his incredible Pitts S-2S Special “Muscle Biplane” while the new Czech Mates Display Team gave a much more classical aerobatic performance with a solo Zlin 526. 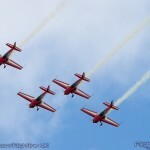 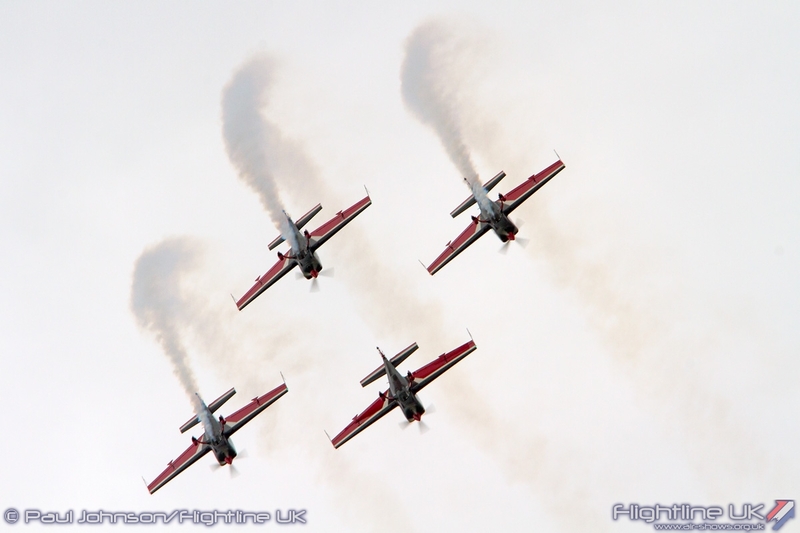 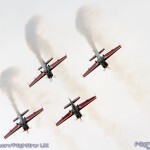 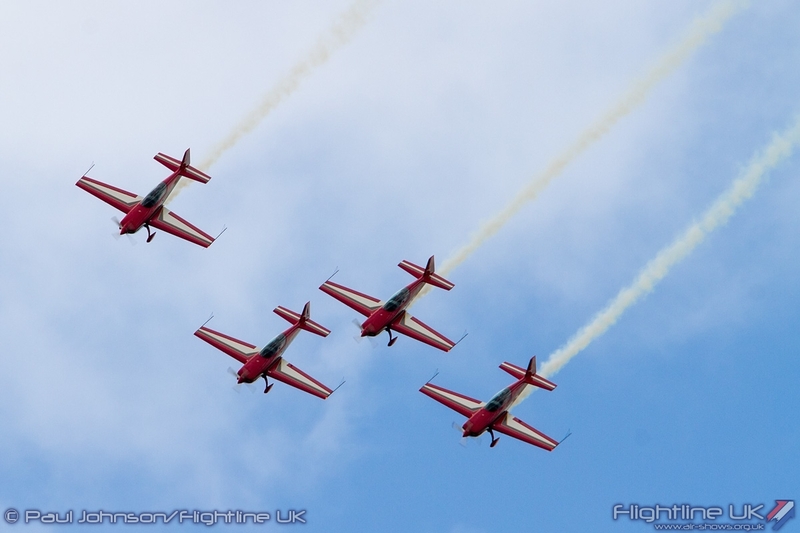 The Royal Jordanian Falcons presented a more modern take on aerobatics with their quartet of Extra 300Ls. 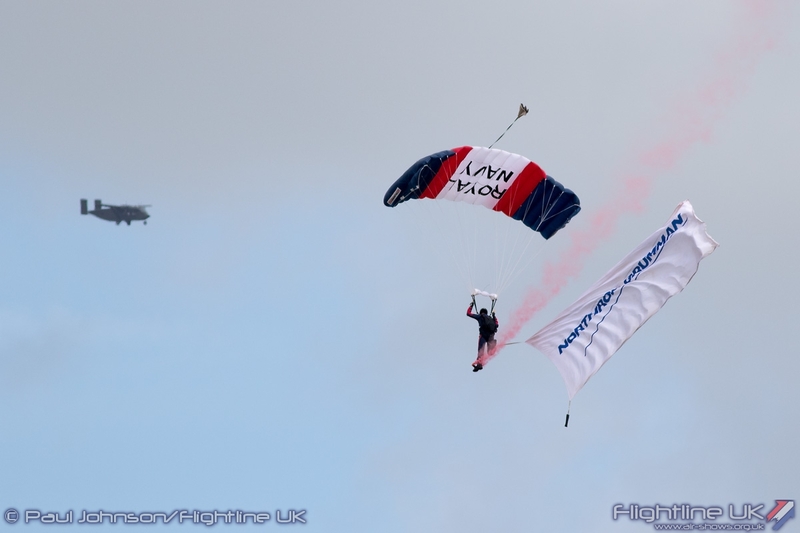 Yeovilton marked the start of the 2015 European tour which sees them visit a number of UK shows. 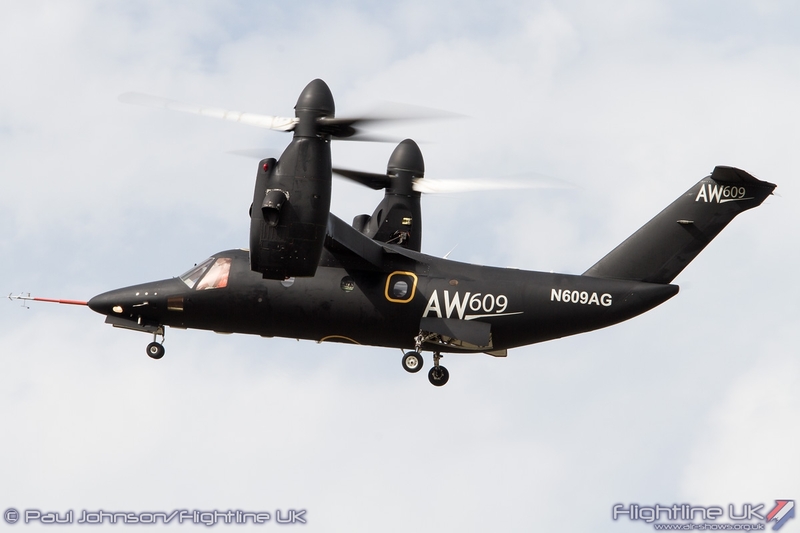 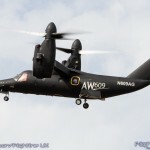 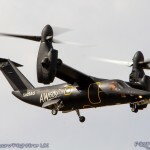 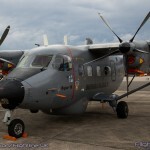 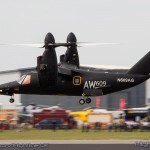 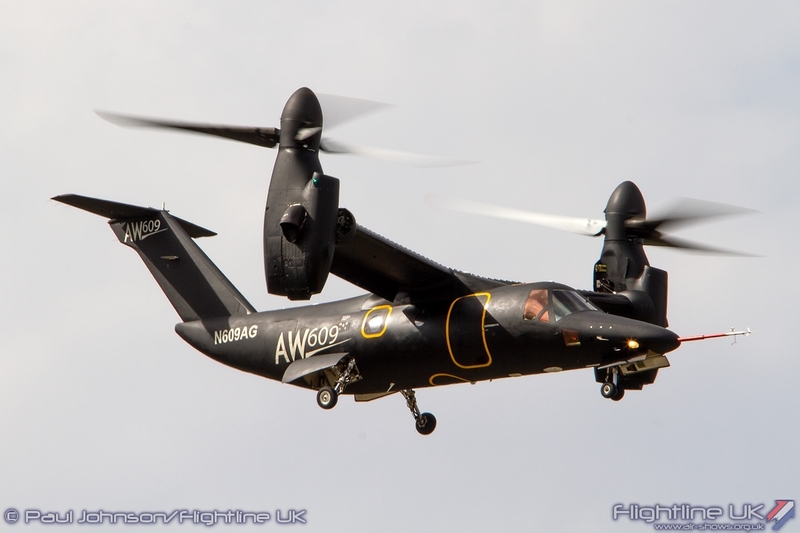 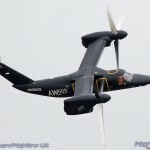 AgustaWestland’s centenary attracted a rare display from its civilian Tilt-Rotor concept, the AgustaWestland AW609. 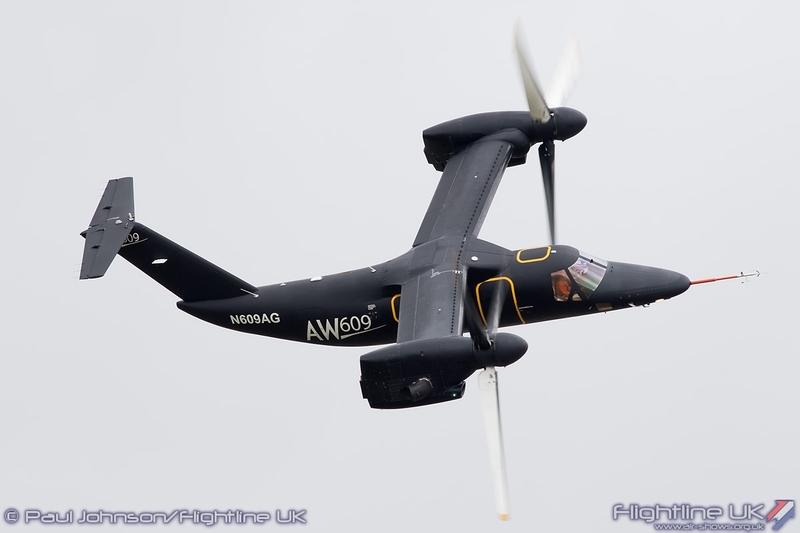 Sleeker and certainly much quieter than the military V-22, the AW609 is being marketed as a new form of high speed point-to-point executive transport. 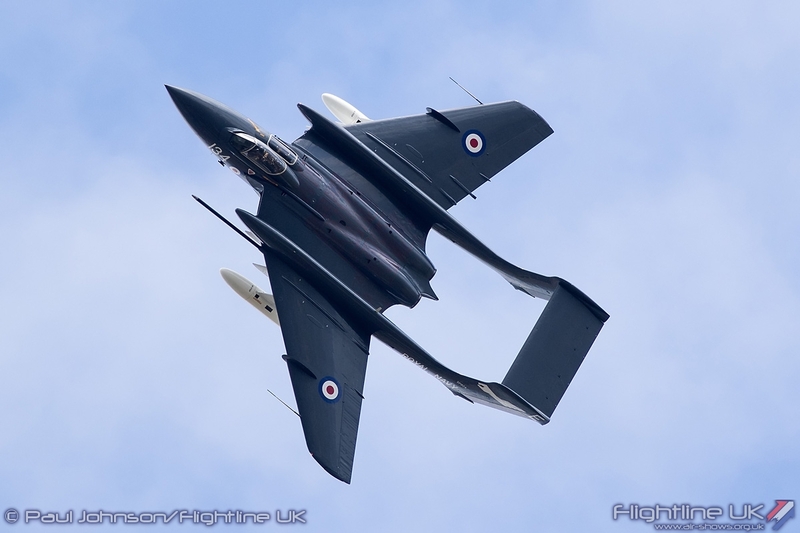 It is certainly an impressive performer, particularly in the somewhat sinister looking matt-black paint scheme the display aircraft was wearing. 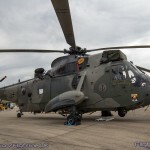 The Royal Air Force while almost entirely absent from the static displays did have a good contingent for the flying displays. 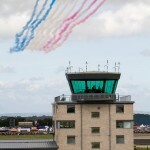 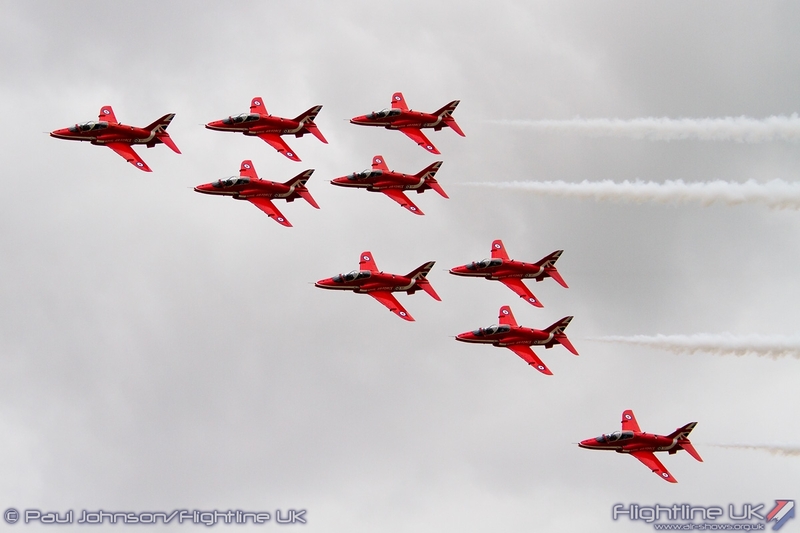 The Red Arrows flew early on in the flying programme operating from Cardiff Airport in support of both Yeovilton and the Wales National Airshow at Swansea. 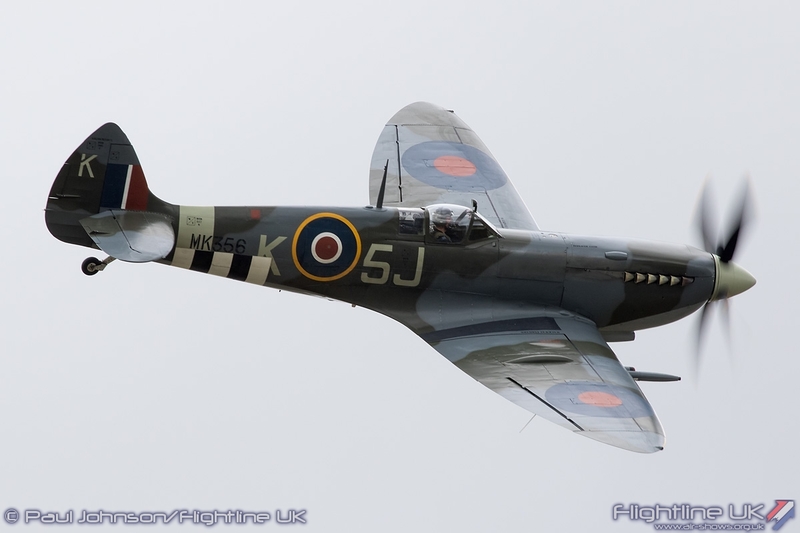 The Battle of Britain Memorial Flight continued the historical theme of Air Day with the pair of Supermarine Spitfire IX MK356 and Spitfire XVI TE331. 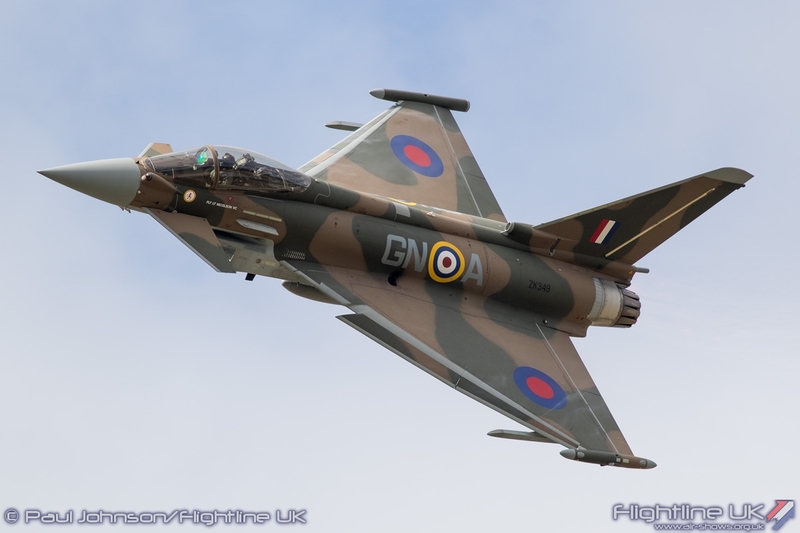 Bringing the air defence story back right up to date was Flt Lt Jonny Dowen’s solo routine in the camouflaged Eurofighter Typhoon FGR4. 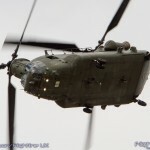 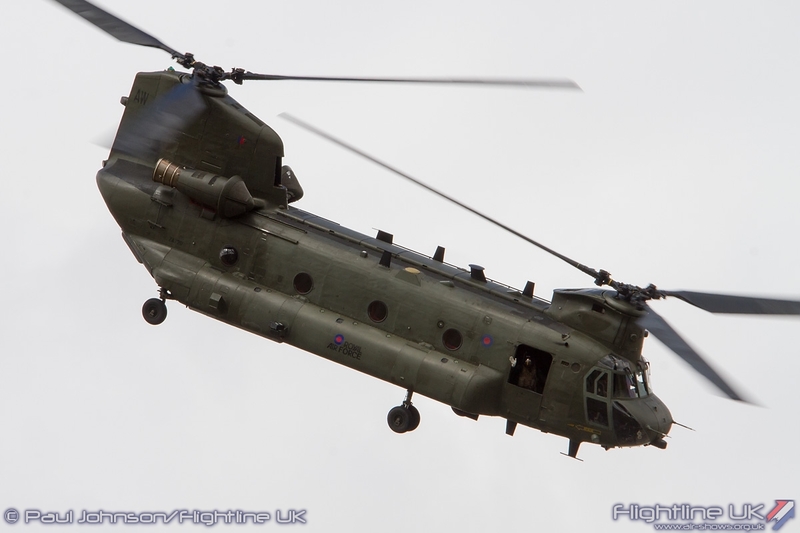 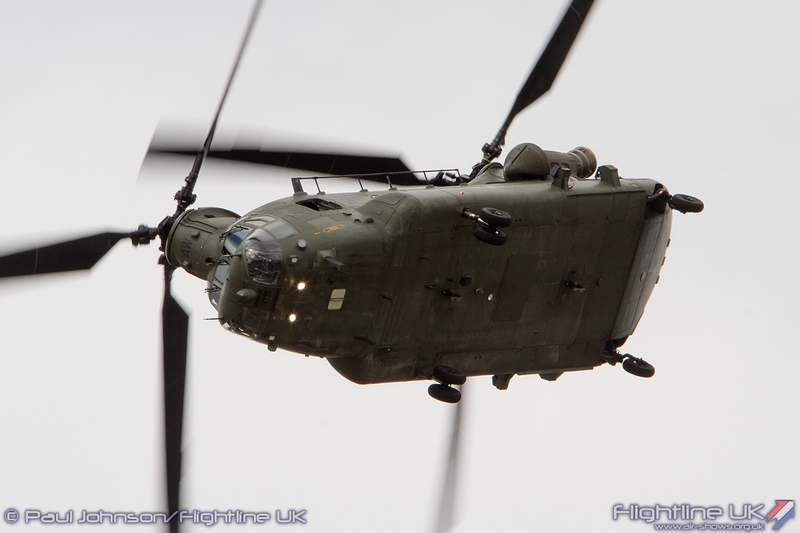 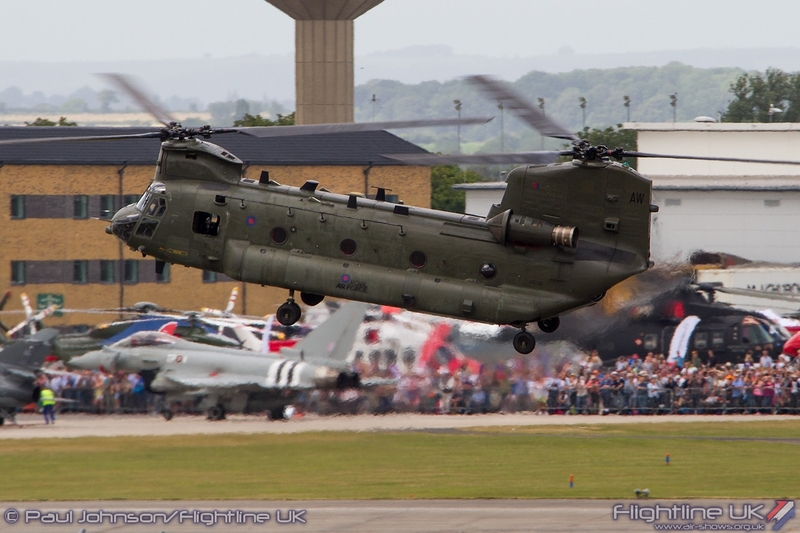 It was another award winning weekend for the Boeing Chinook HC4 Display Team who picked up the award for the best rotary wing display at Air Day. 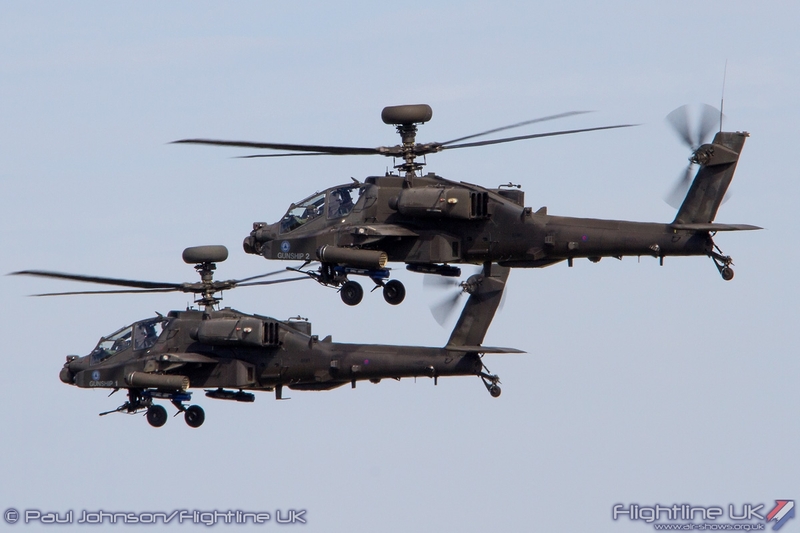 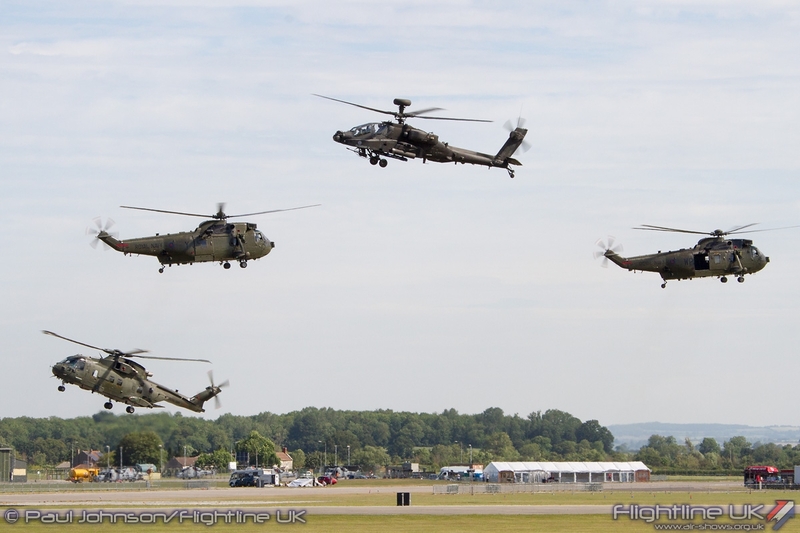 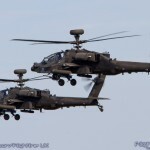 Further rotary action came from the Army Air Corps with the Attack Helicopter Display Team and their pair of WAH-64D Apache AH1s. 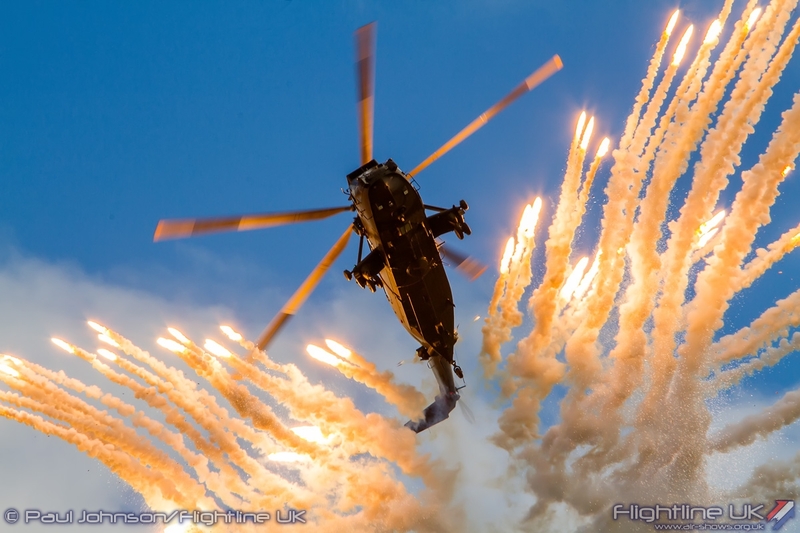 Complete with supporting pyrotechnics, the display team are always a highlight of any event demonstrating many of the tactics used by Army Air Corps Apaches in support of ground troops in operations around the world. 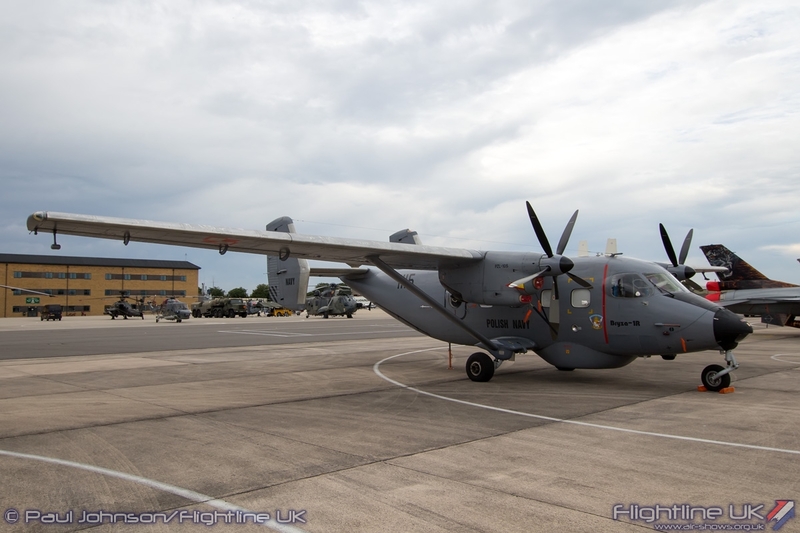 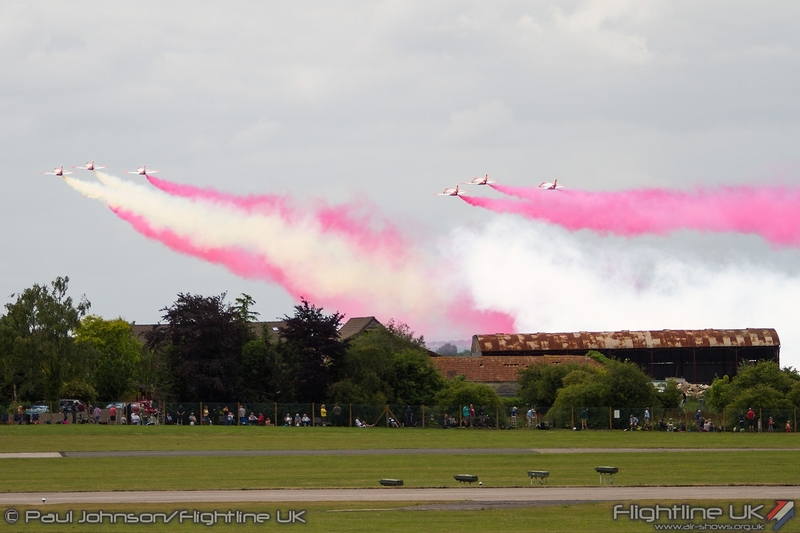 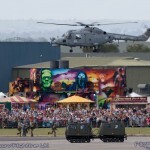 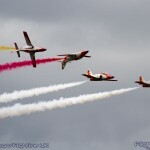 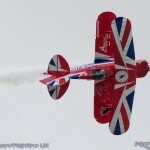 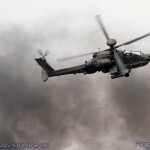 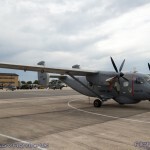 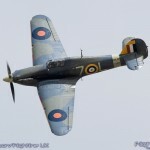 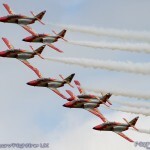 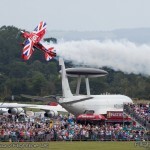 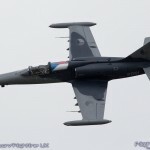 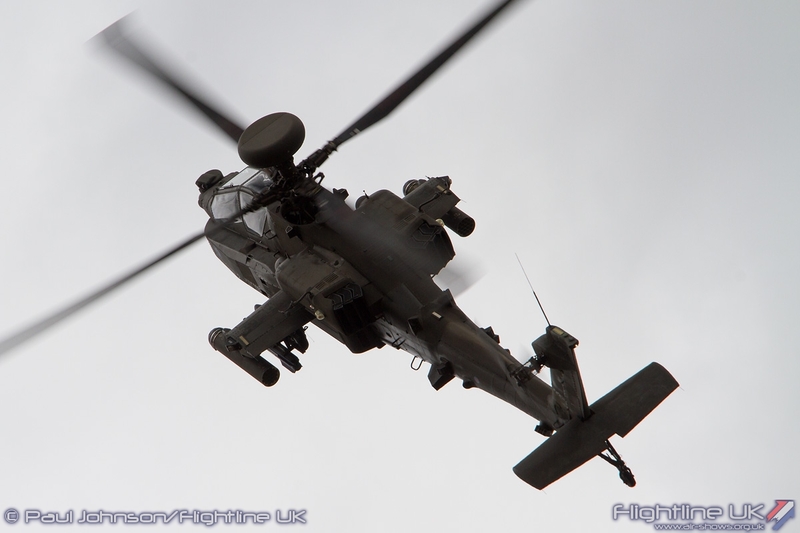 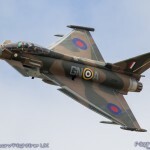 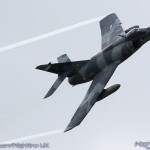 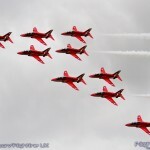 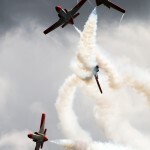 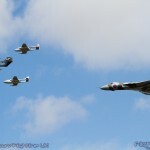 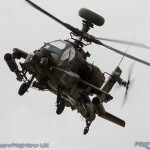 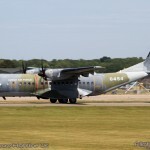 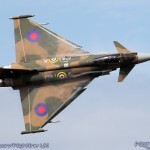 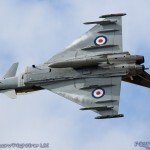 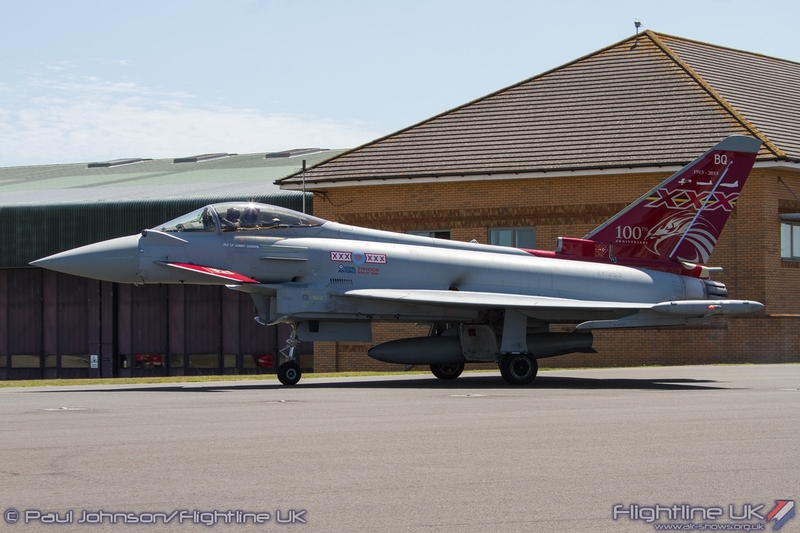 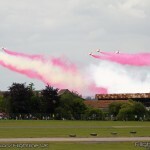 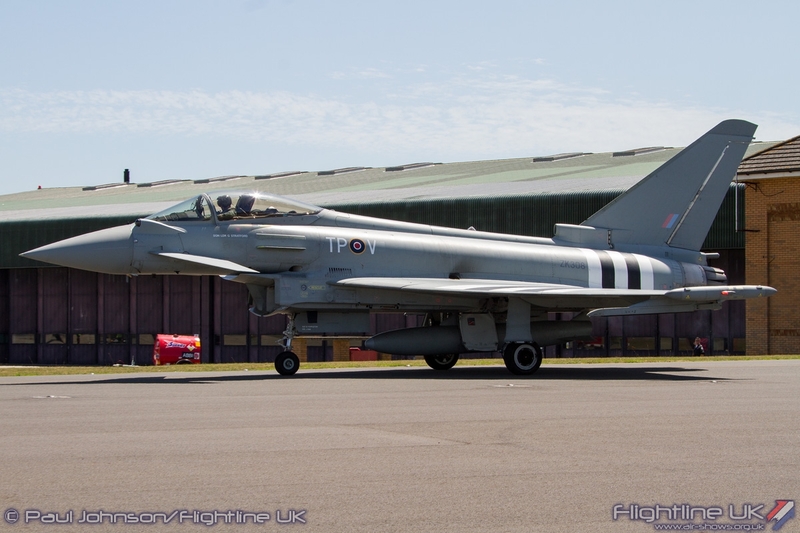 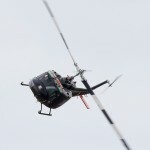 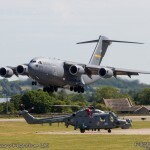 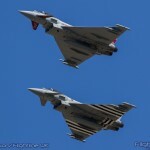 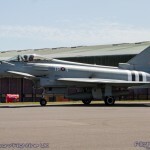 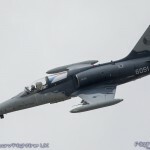 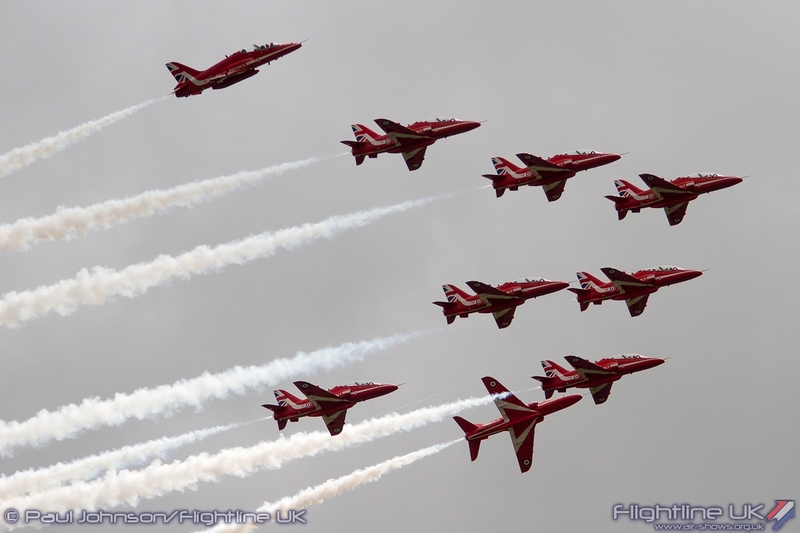 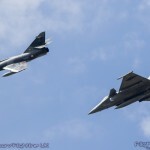 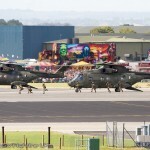 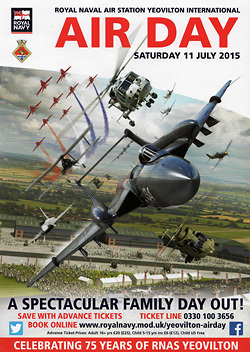 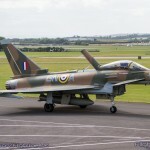 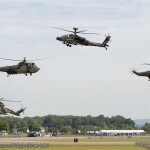 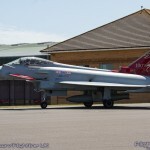 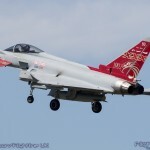 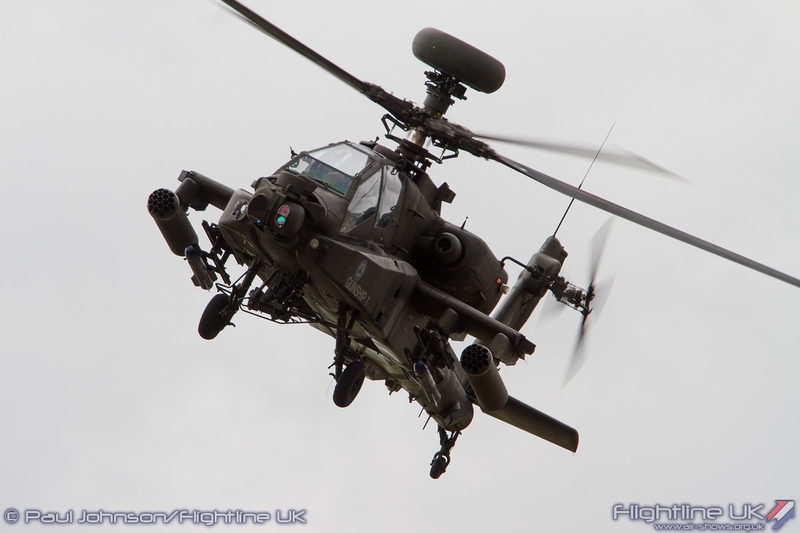 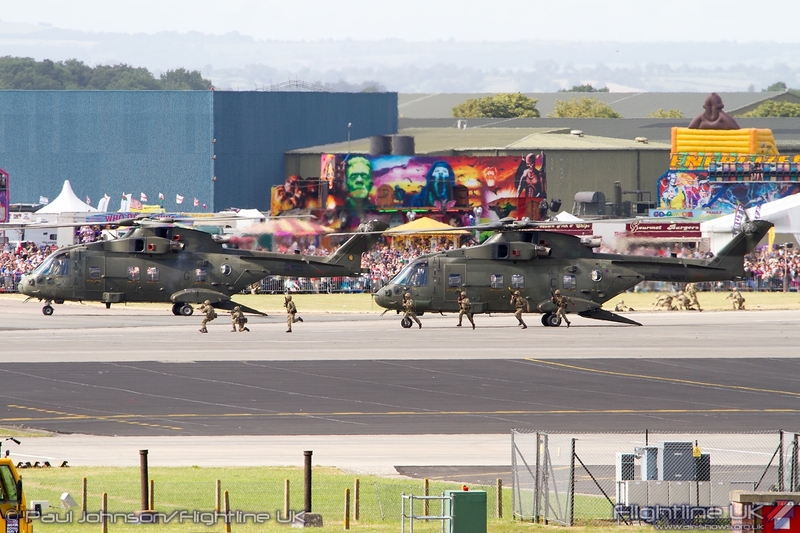 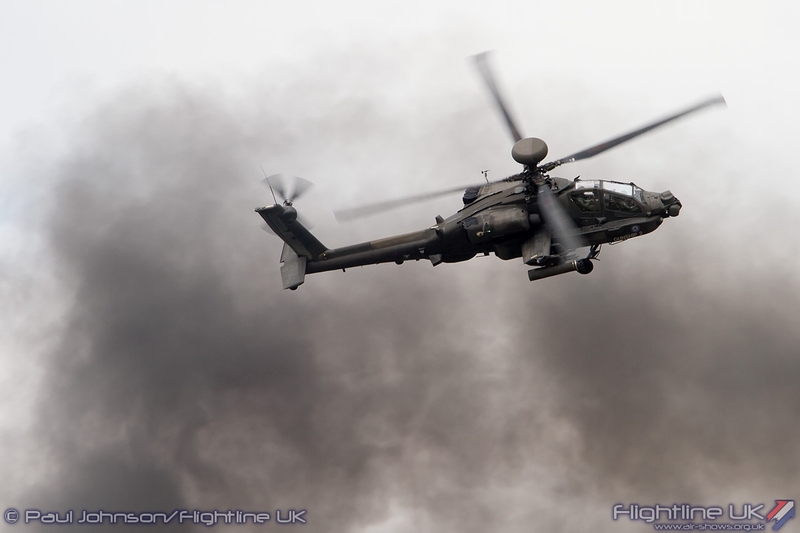 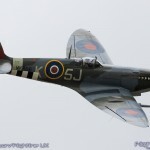 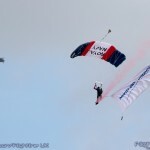 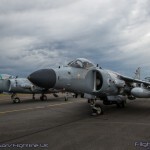 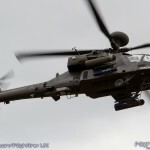 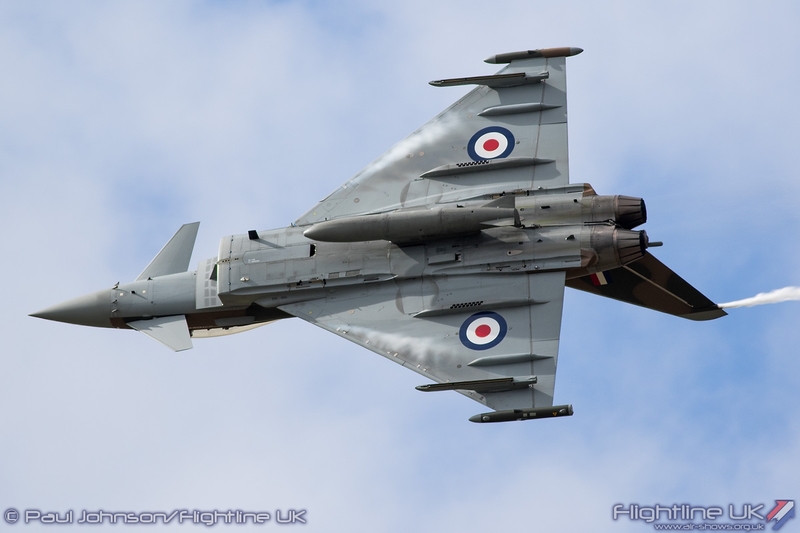 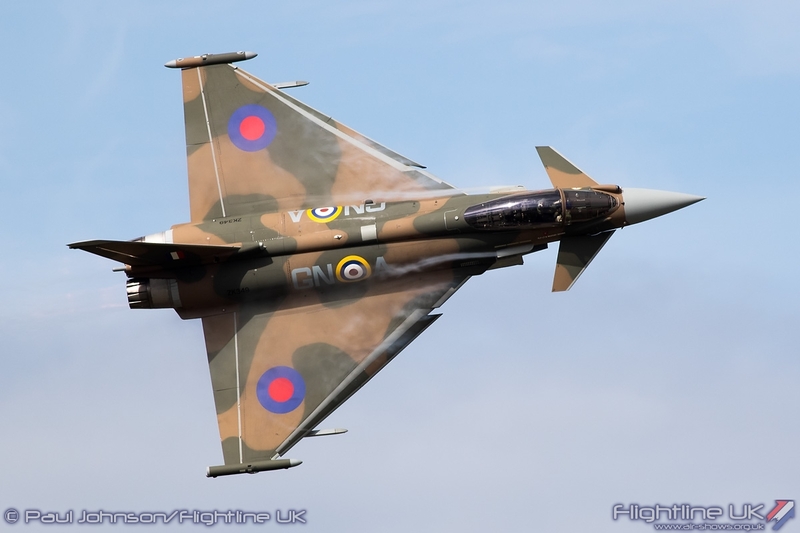 As well as the UK military, Air Day featured a superb selection of international military displays. 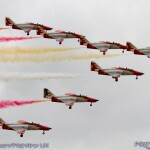 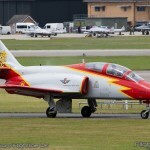 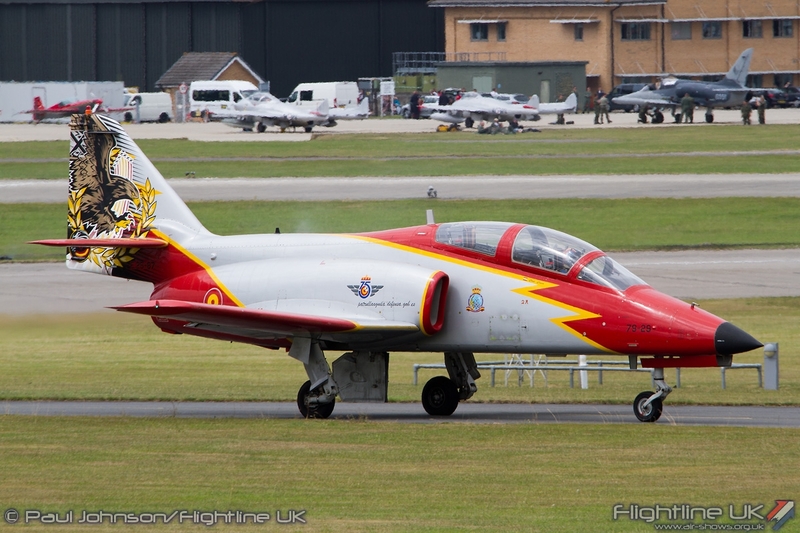 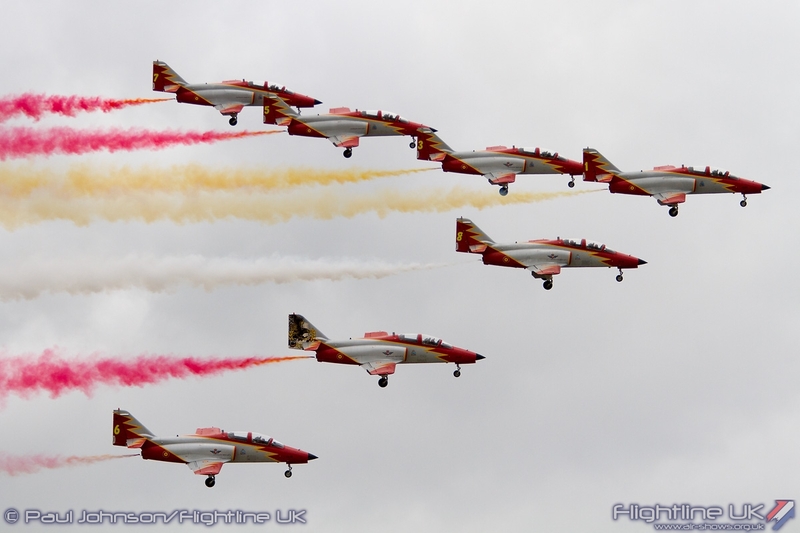 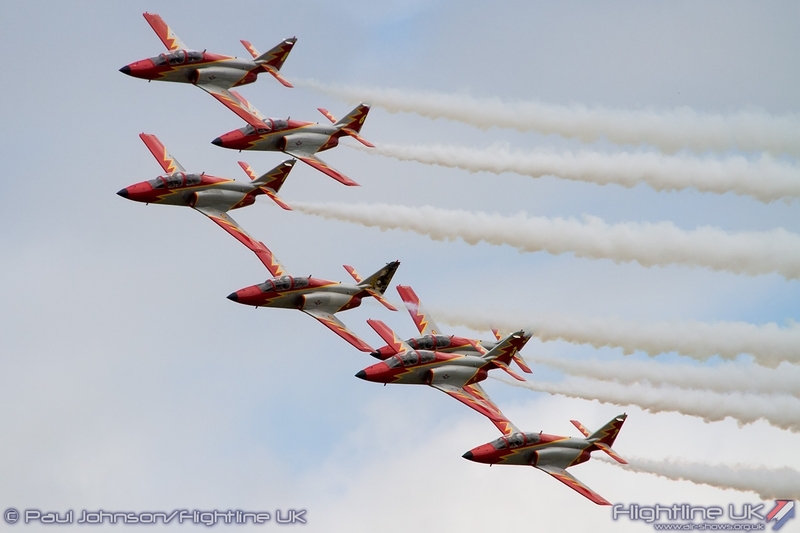 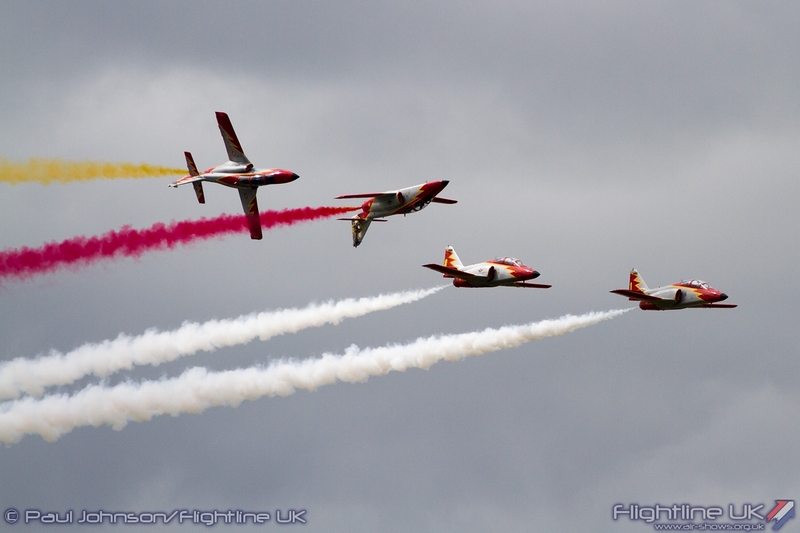 The Spanish Air Force National Display Team Patrulla Aguila made a welcome return to the UK with their CASA C.101 Aviojets. 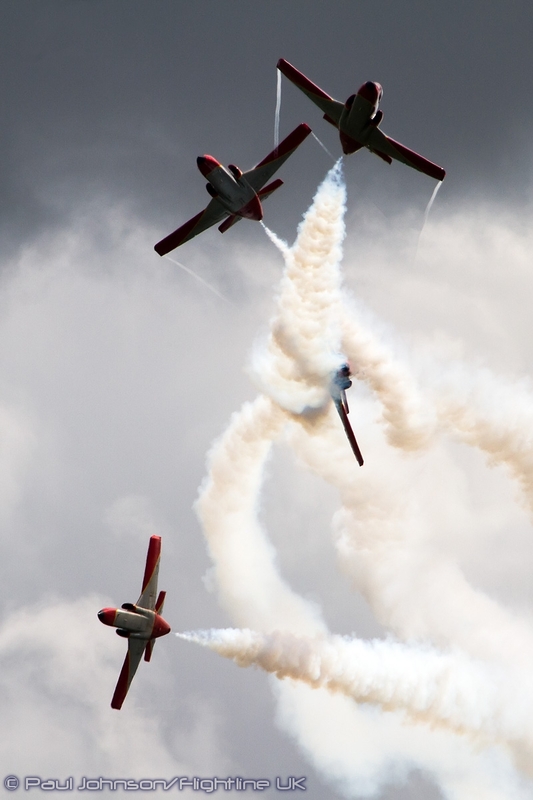 While the team were restricted by the cloudbase, they put in a fine performance of big formations and dynamic synchronised and solo aerobatics in their colourful machines. 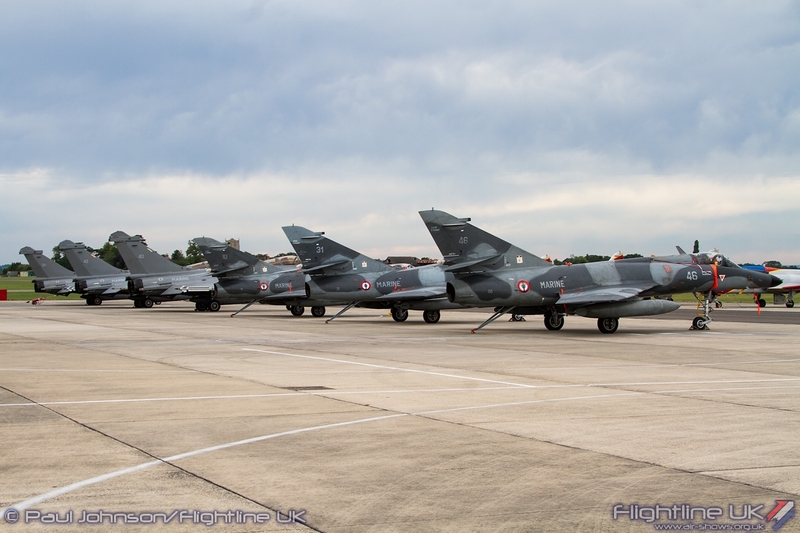 The Czech Air Force also made a very welcome return to Air Day. 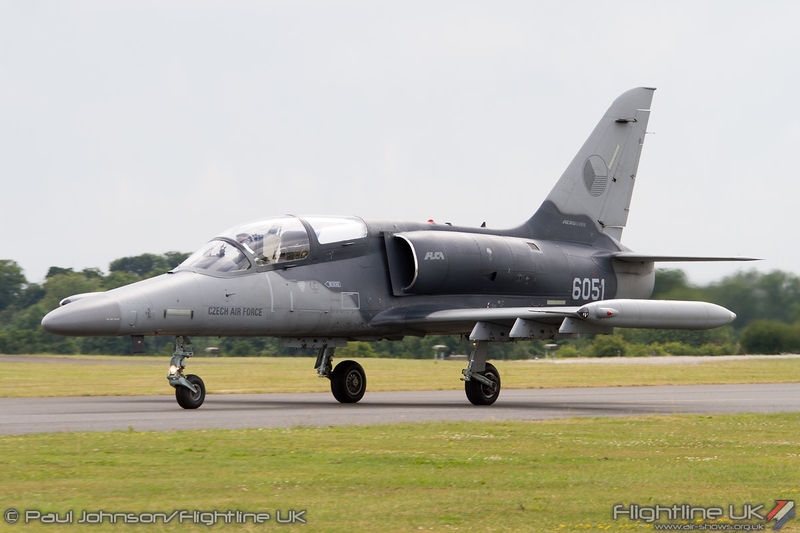 Sadly their JAS-39C Gripen was withdrawn for operational reasons, but the Aero Vodochody L-159 ALCA was an eye-catching replacement. 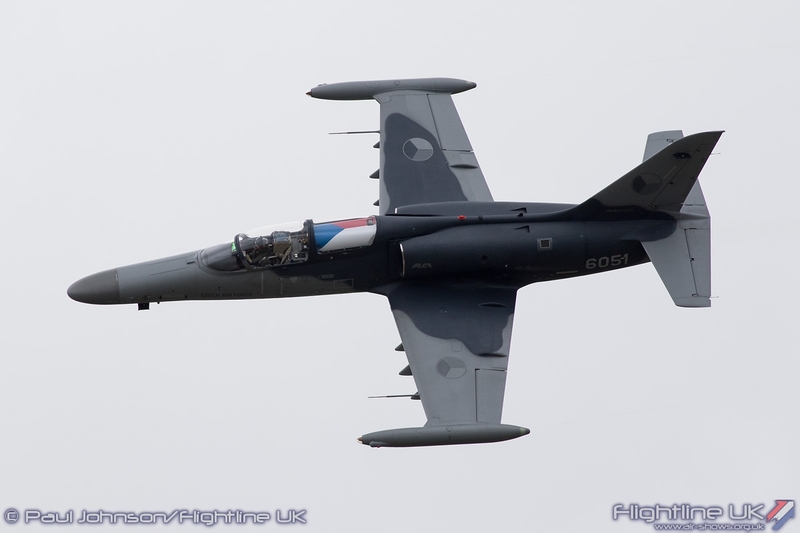 It was certainly a punchy and noisy display highlighting the great performance of this light strike aircraft developed from the L-39 series of jet trainers. 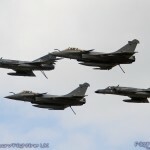 However, it was the French Navy that undoubtedly stole the whole show. 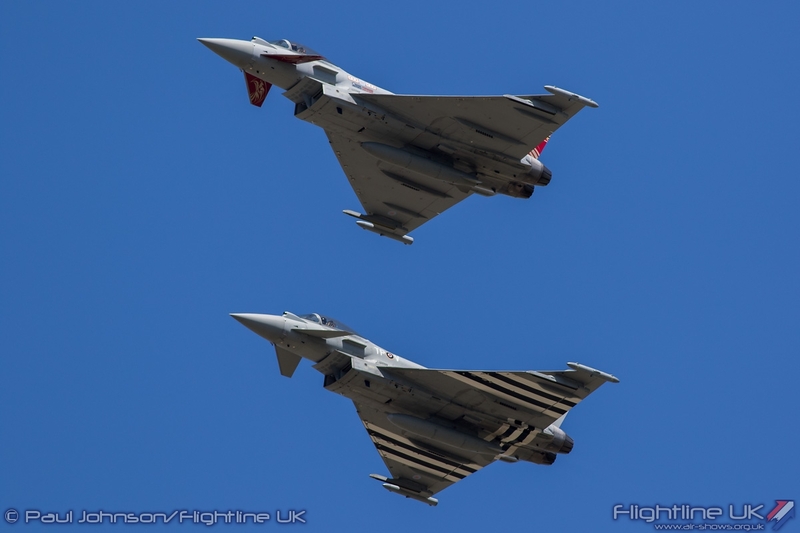 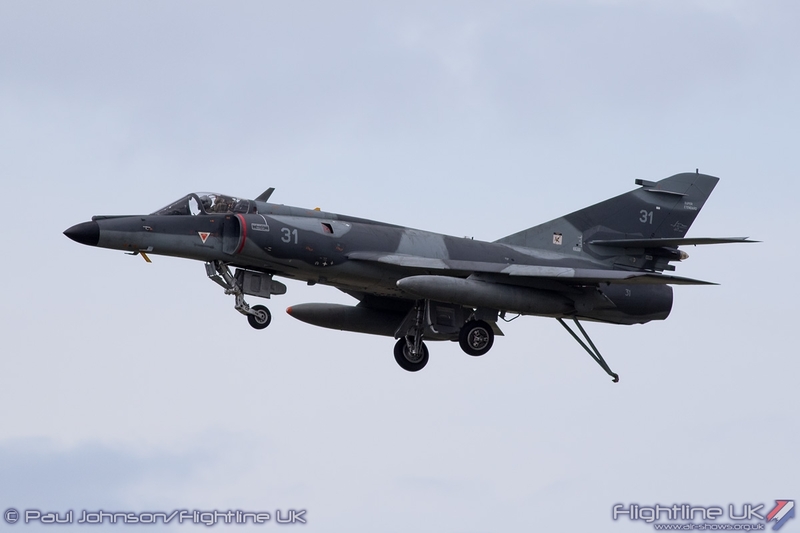 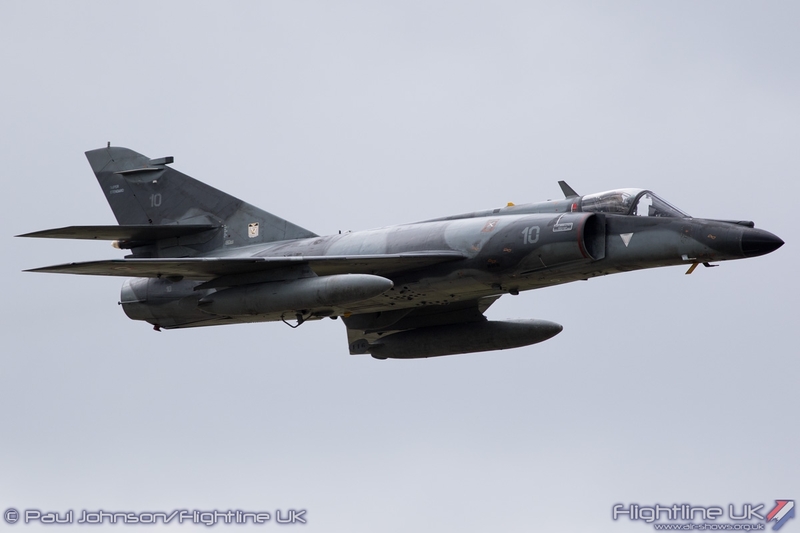 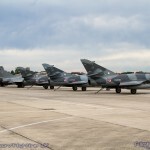 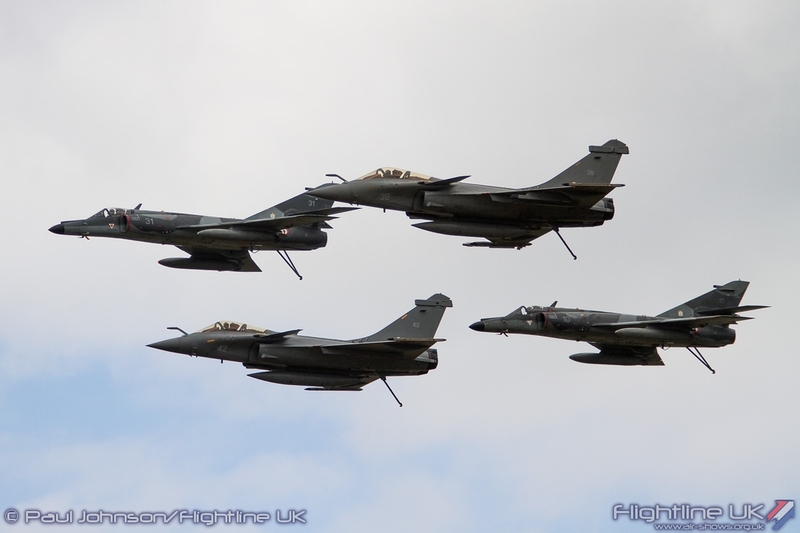 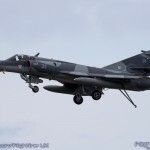 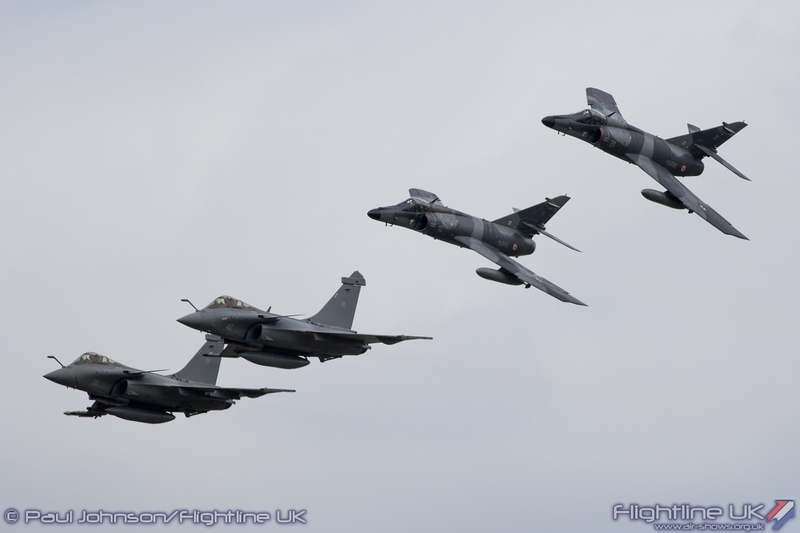 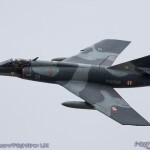 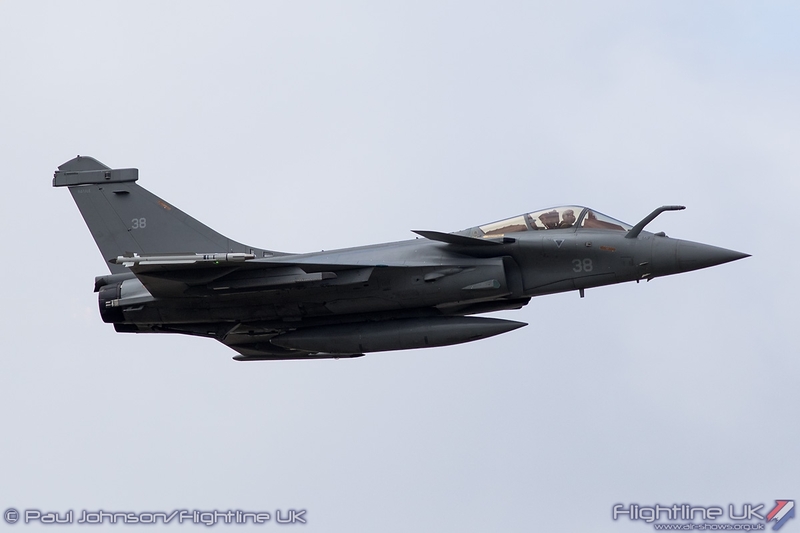 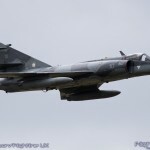 The Friday arrivals day saw the French arrive en-masse with three Dassault Rafale Ms and three Dassault Super Etendard Ms. Two of each type took part in the flying in a very exciting role demo which saw all four aircraft appear in close formation before splitting into pairs. 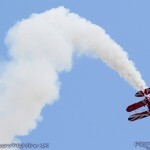 It was a sequence of almost constant action and noise and one the crowd could not fail to notice. 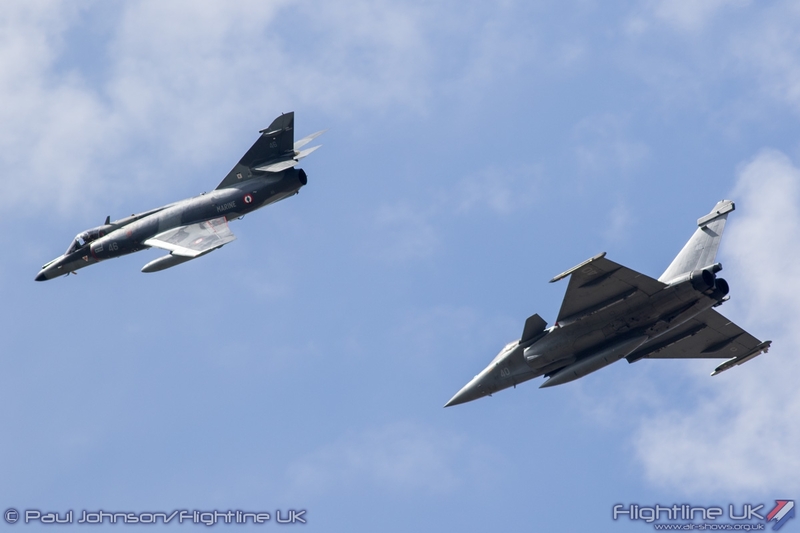 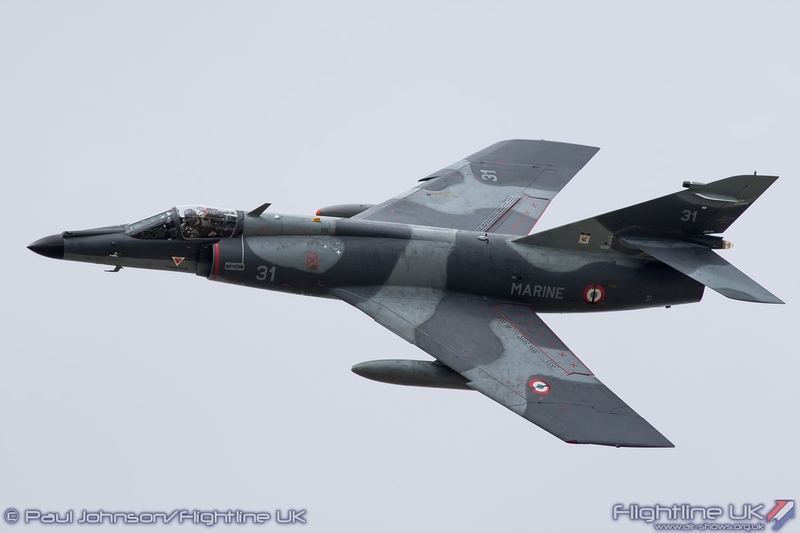 For the Super Etendards, it was their final UK show appearance before retirement and the two French Navy pilots certainly gave a great account on which to bow out on. 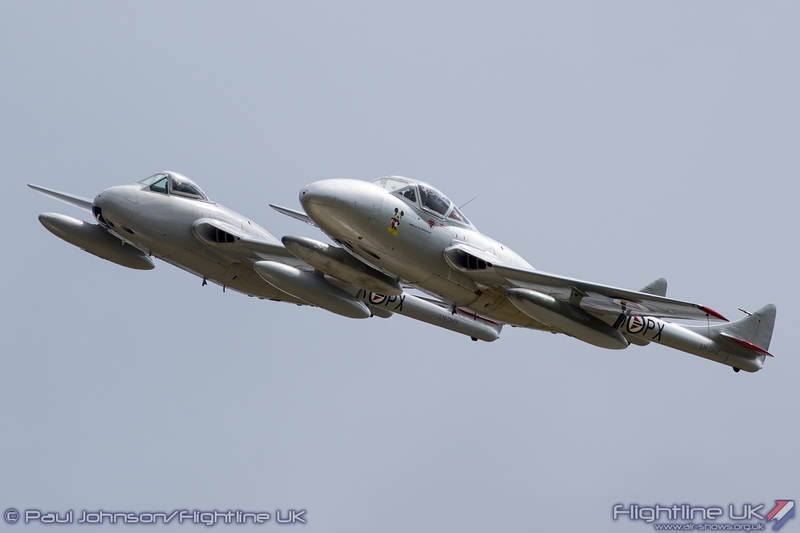 They showed off the aircraft at high and slow speed in opposition and tailchased around the cloud-dappled skies in a very memorable routine. 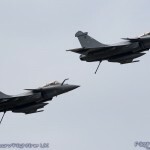 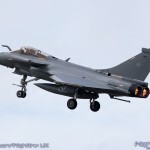 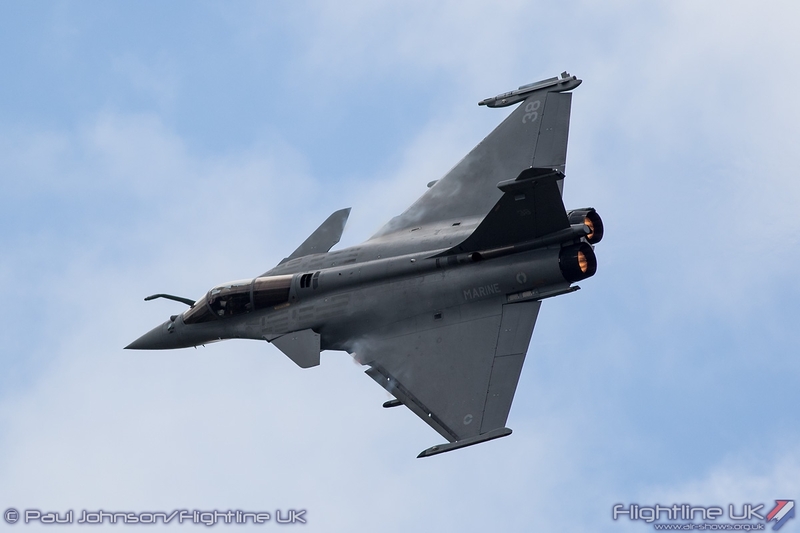 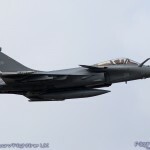 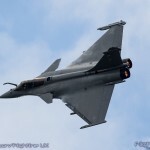 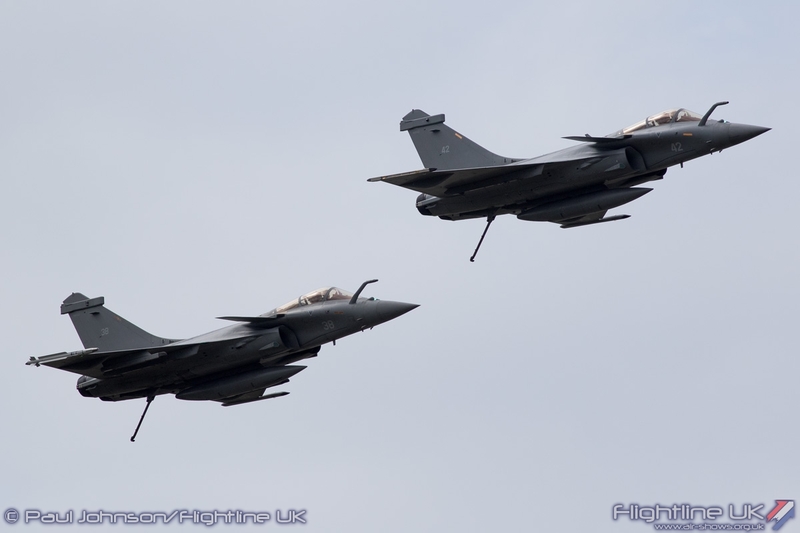 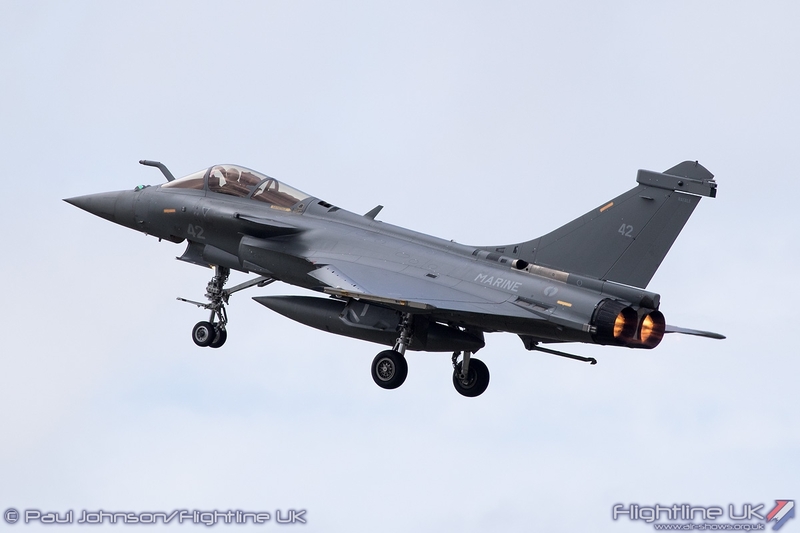 The Rafale pair up-ed the ante noise wise making full use of their reheat and outstanding agility to show off the future of French Naval air power. 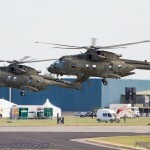 We hope they make many more visits to Air Day. 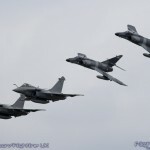 However, Air Day is very much about the home-team. 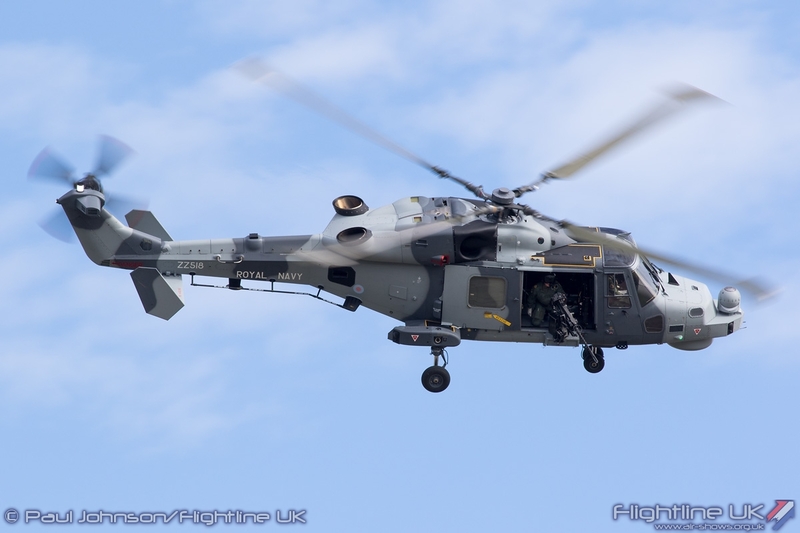 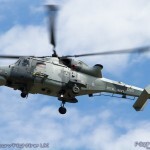 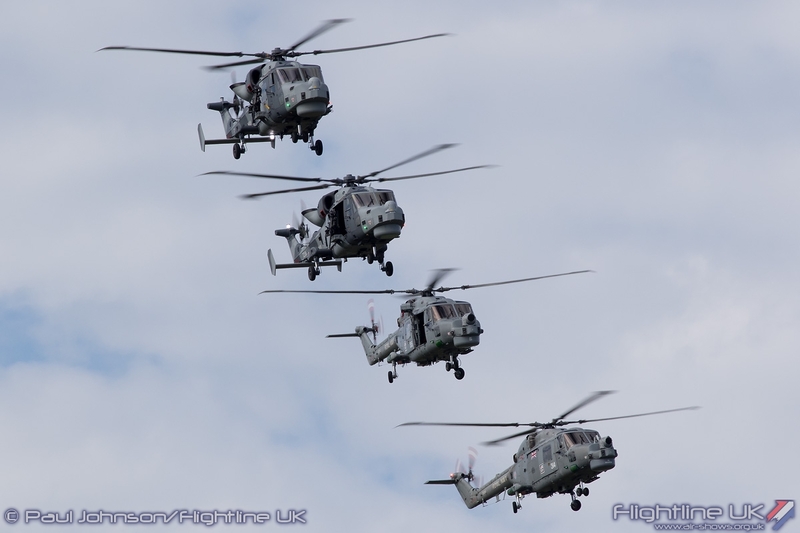 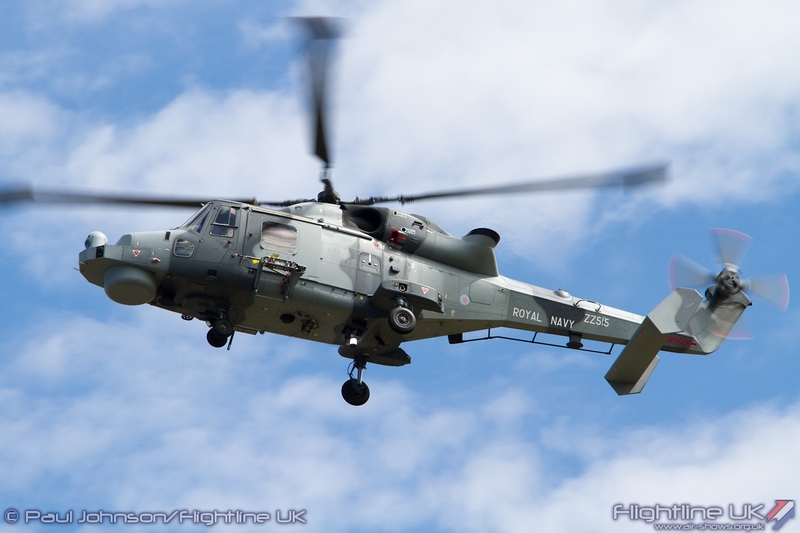 Opening the current Royal Navy displays were the Black Cats Helicopter Display Team who this year are drawn from 825 NAS and fly the AW159 Wildcat HMA2. 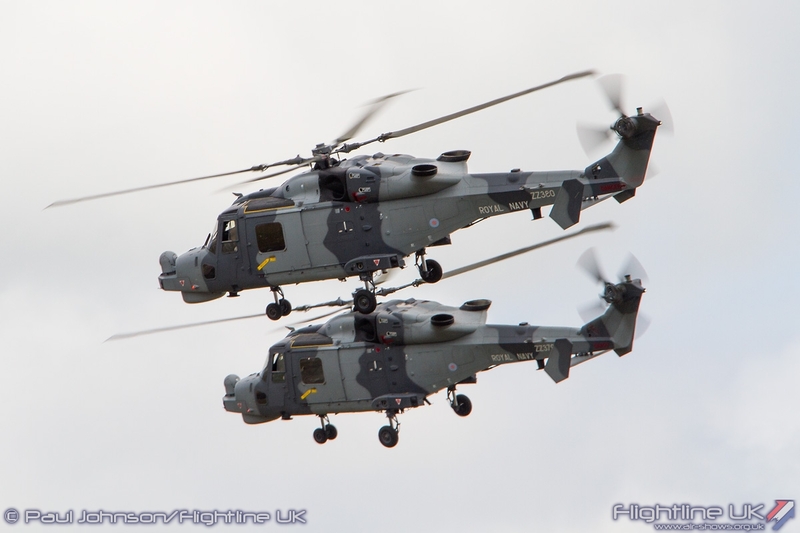 The Wildcat is very different to the old Lynx being heavier and more powerful but the team’s performance remains the same presenting some very precise manoeuvres and close formations for the crowd. 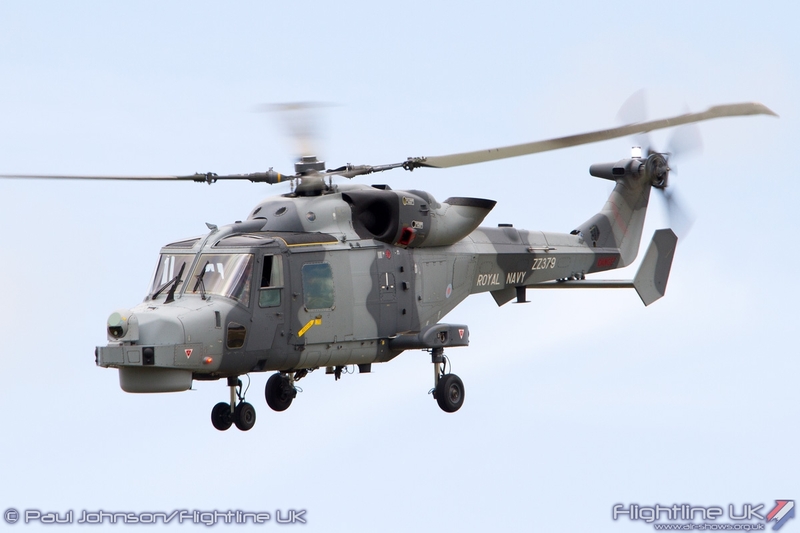 Further Wildcats alongside the older Westland Lynx HMA8 appeared later in the day with the “Maritime Role Demonstration.” This year, the demo had an anti-piracy theme teaming a pair of Wildcats alongside two Lynx helicopters to investigate a suspect boat. 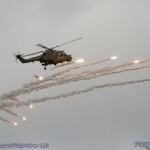 As well as the obligatory pyrotechnics, the demo also provided the first big flare firing of the afternoon for the photographers to try and capture. 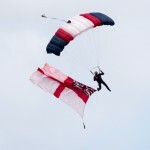 However, the big event of the afternoon for the based personnel is the traditional Commando Assault finale. 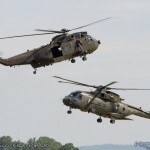 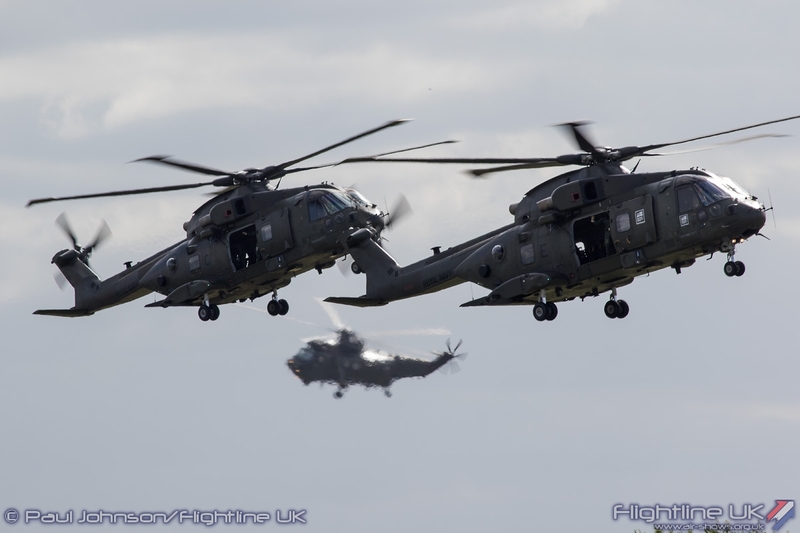 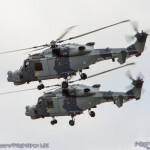 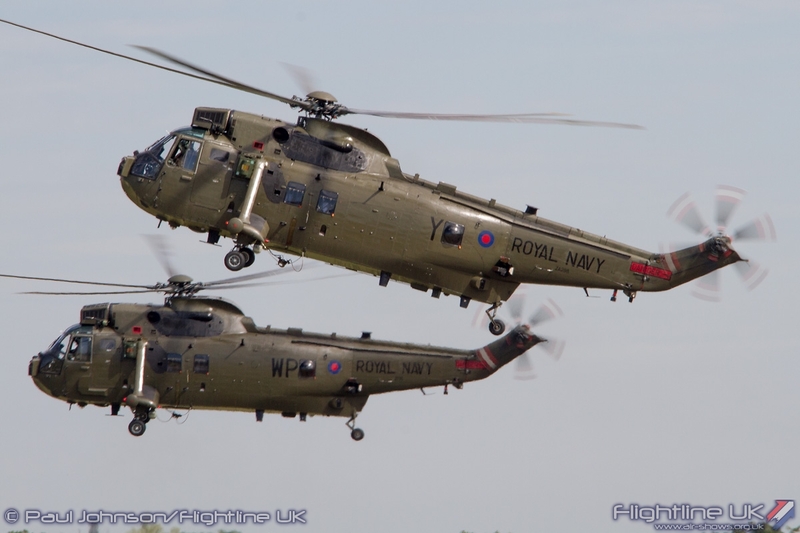 2015 was certainly a very unique year for the finale as it was the first and last time Royal Navy Sea King HC4s and Merlin HC3s would appear together. 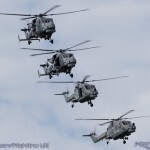 It certainly made the whole event much more impressive with four Sea King HC4s and four Merlin HC3s joined by the pair of Apaches, a pair of Lynx HMA8 and a pair of Wildcat HMA2 plus a supporting BAE Systems Hawk T1 from 736NAS. 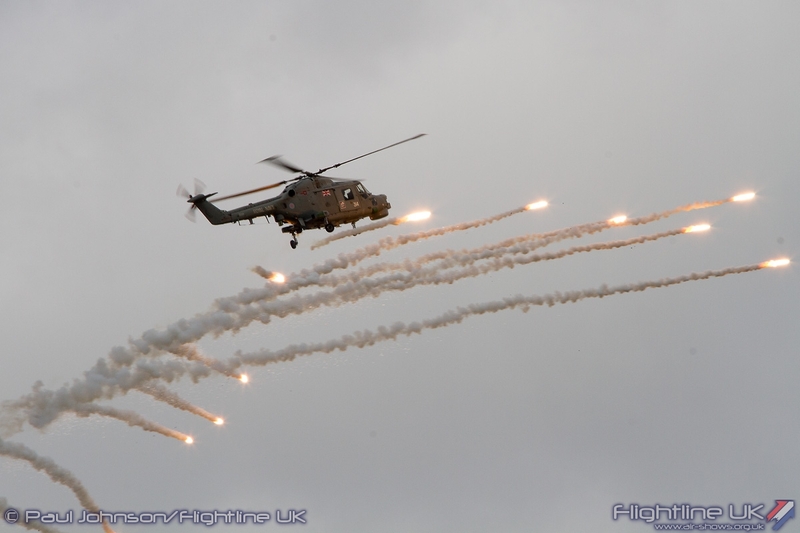 As ever a group of enemy combatants were neutralised by the combined efforts of the Royal Navy, Royal Marines and Army Air Corps though an impressive array of fast-roping, equipment re-supply and air strikes. 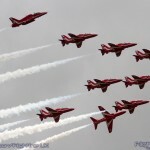 In my honest opinion, it remains the best display at any UK air show for its sheer scale and constant action. 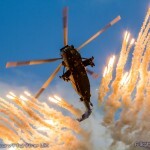 It is brought to close by the most impressive salute to the crowds by the men and aircraft against the backdrop of a wall of fire. 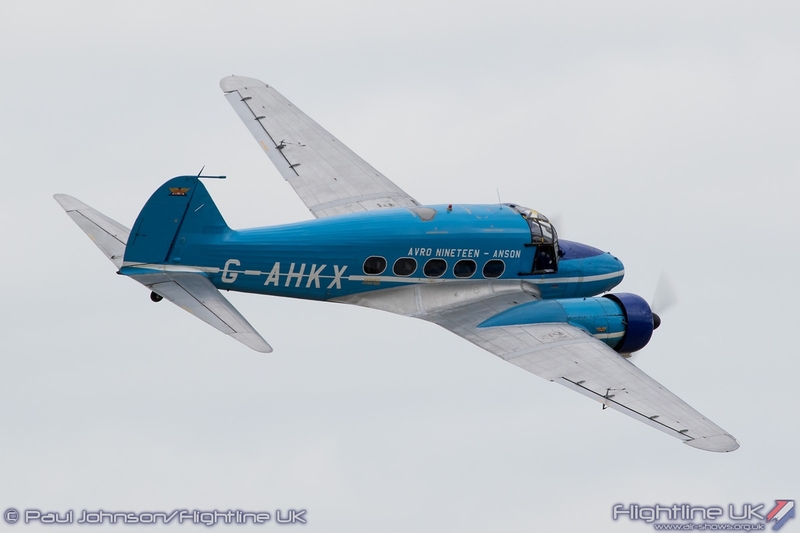 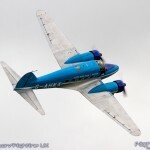 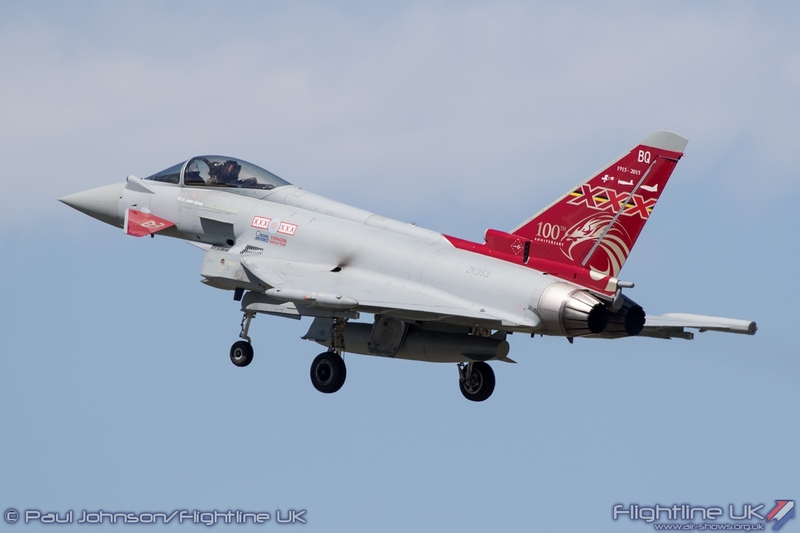 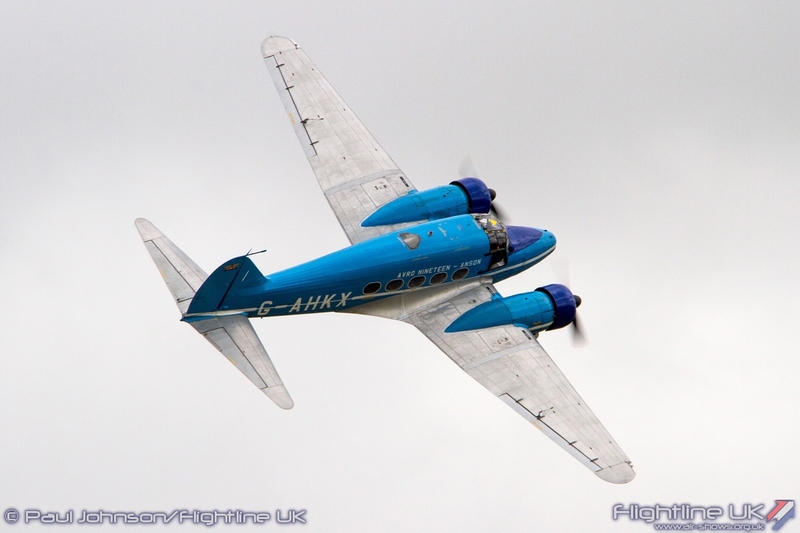 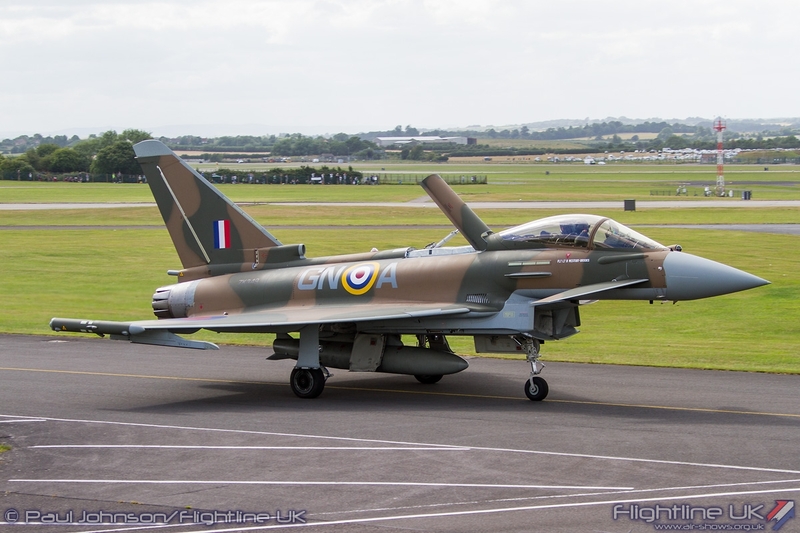 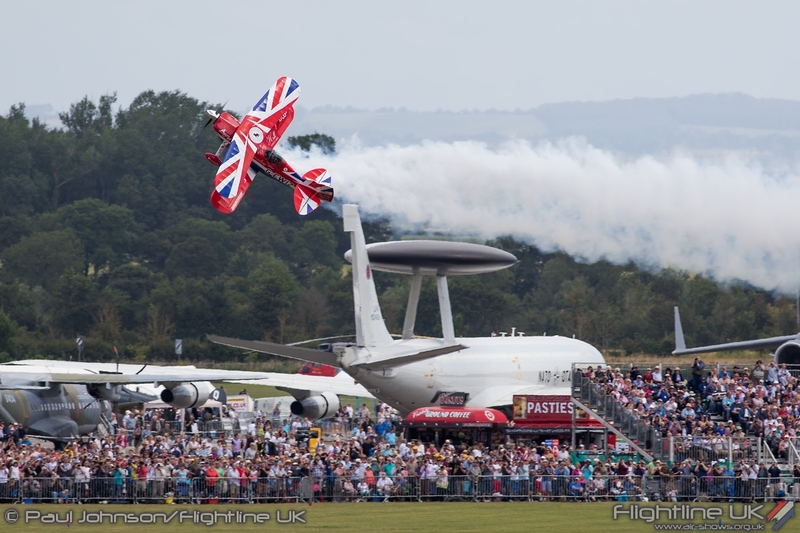 Air Day is always a fine show, but the 2015 event will certainly live long in the memory. 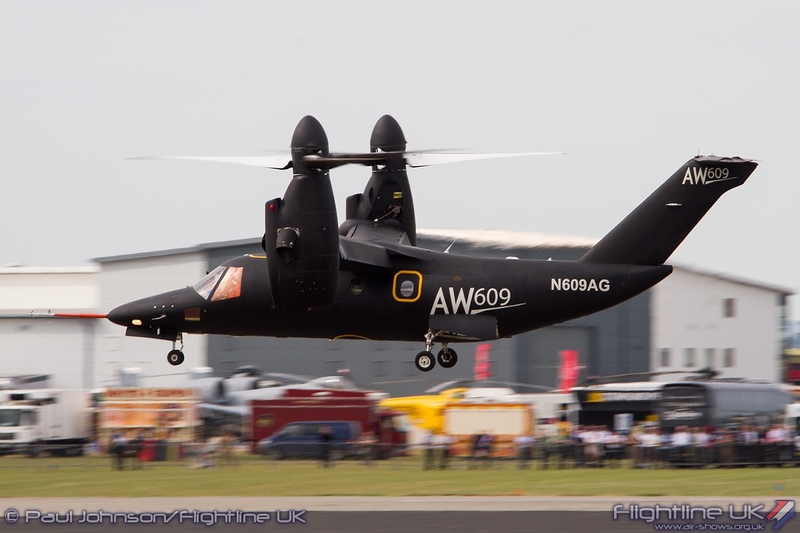 The likes of the French Navy Role Demonstration, the AW609 Tiltrotor, the V-Jet Formation and the Commando Assault will all be in top highlights of the 2015 display season and it is incredible to think they all happened on one summer’s afternoon in Somerset. 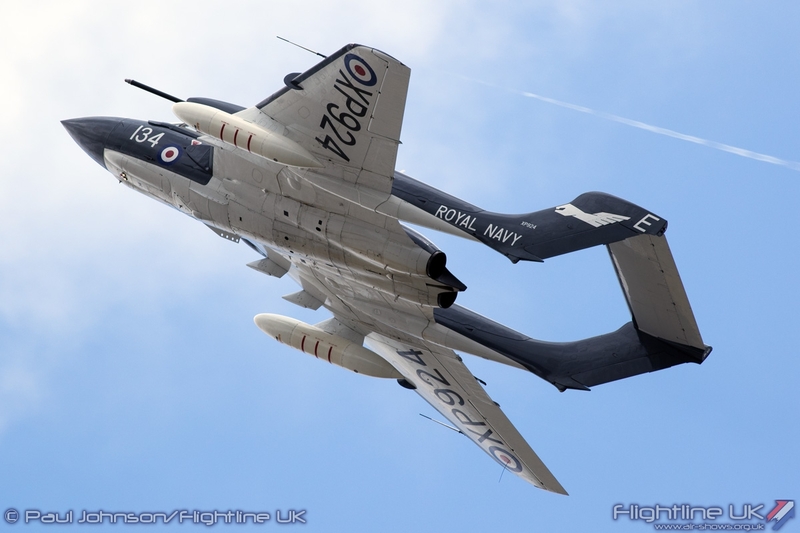 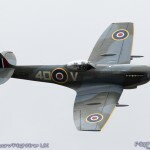 Air Day is one of the greatest adverts for the good work of the Royal Navy and its allies as well as being a very fine day out for all the family and long may it continue.